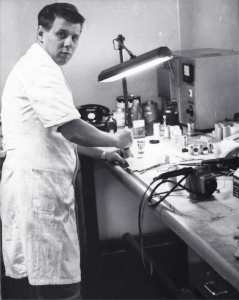 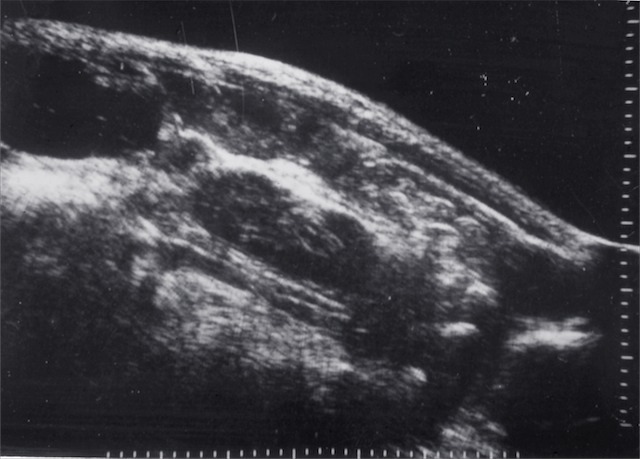 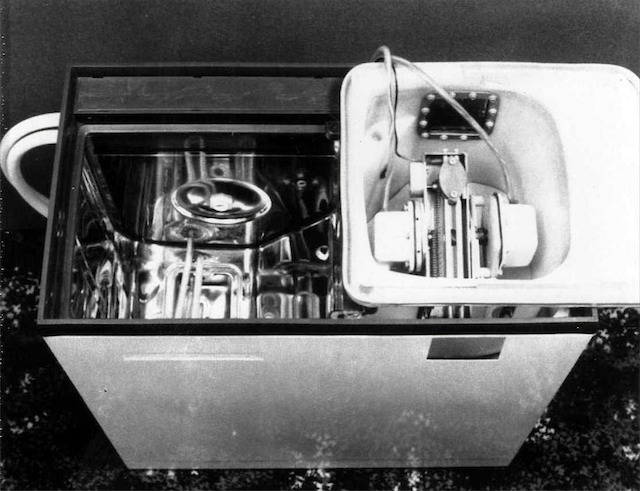 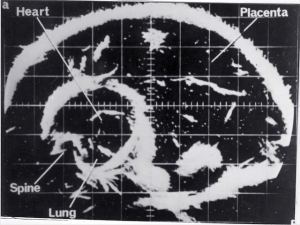 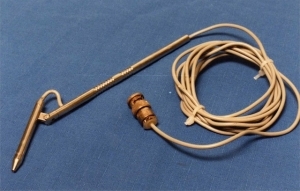 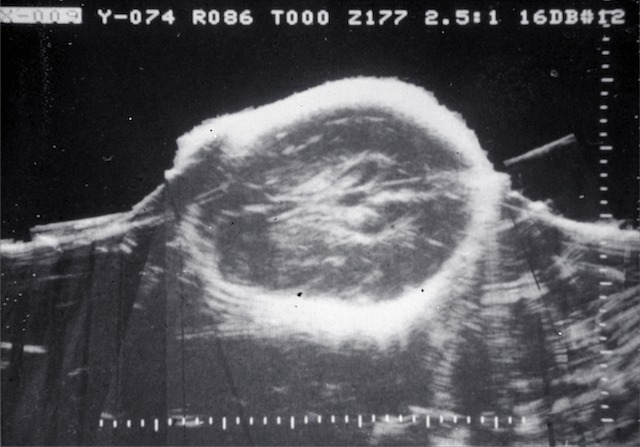 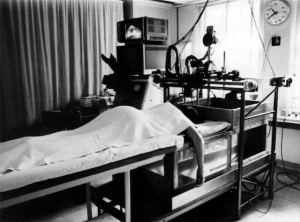 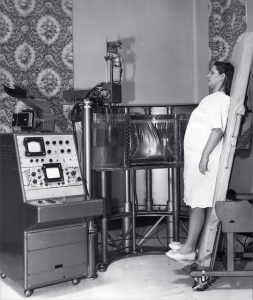 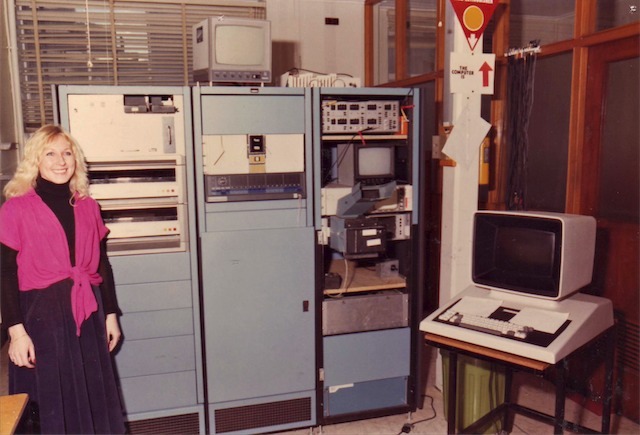 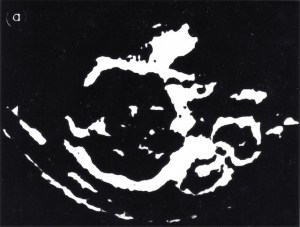 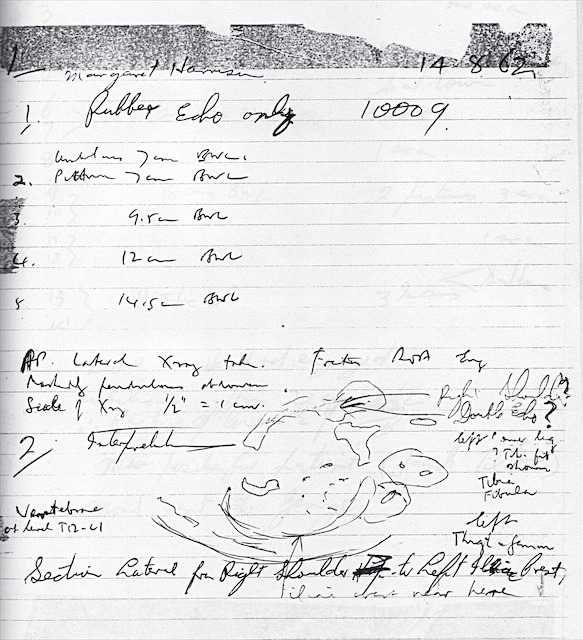 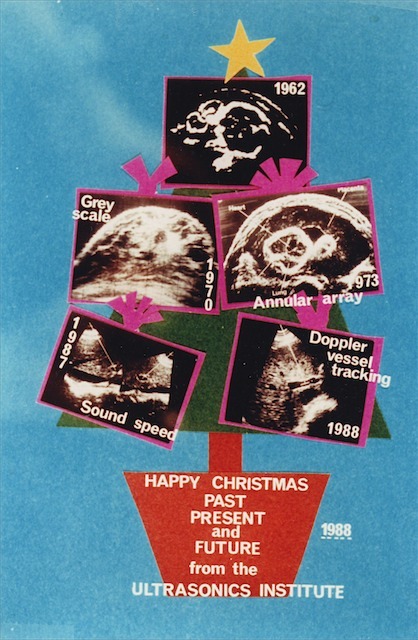 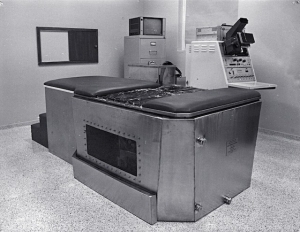 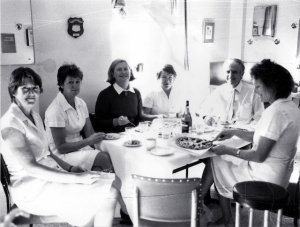 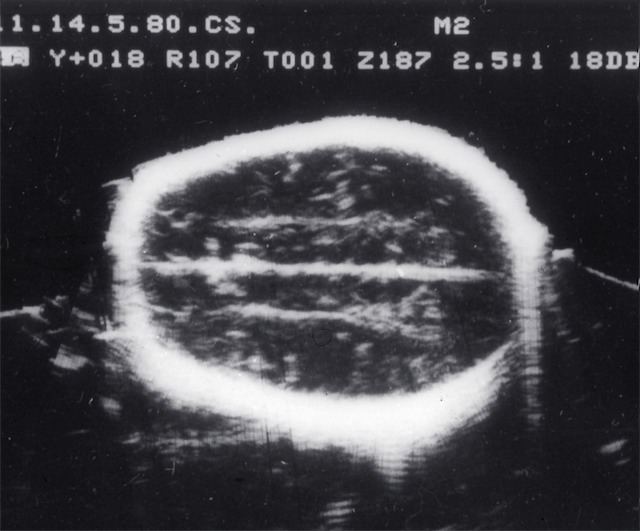 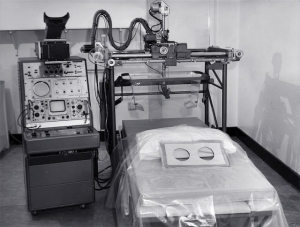 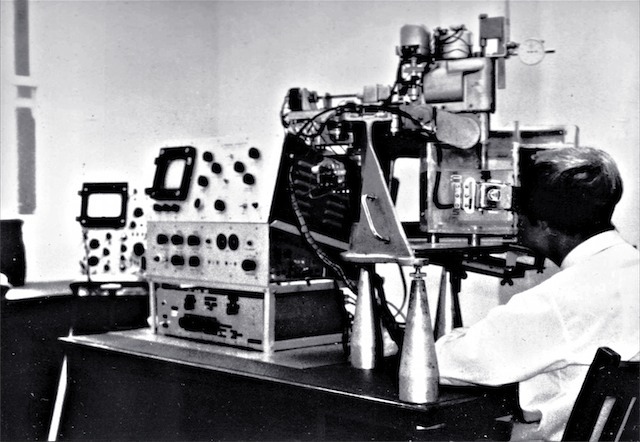 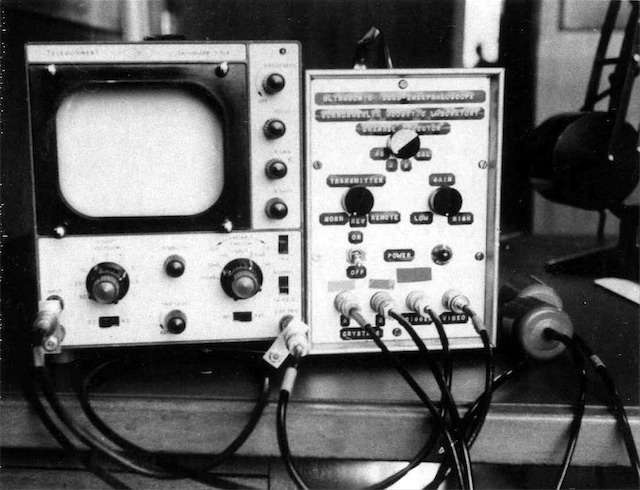 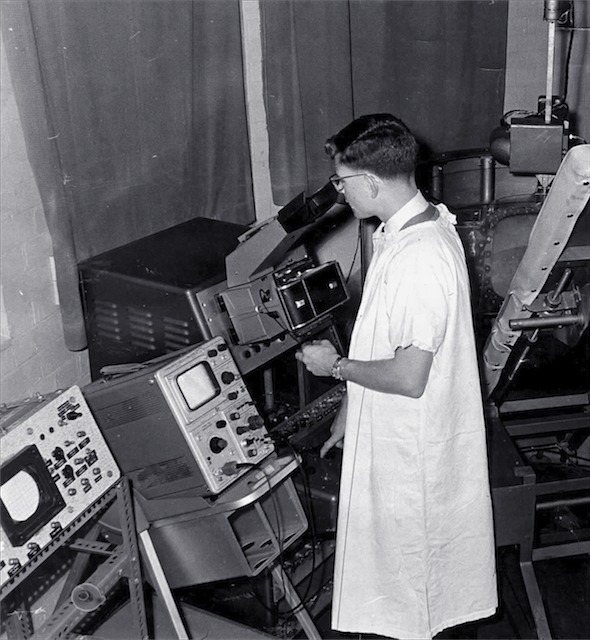 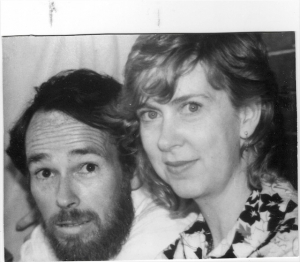 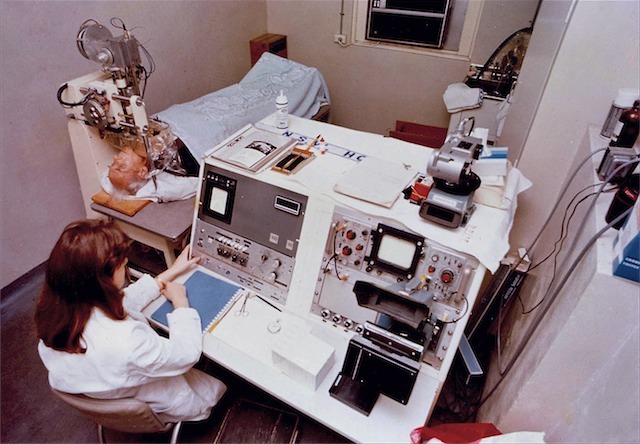 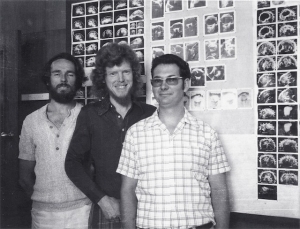 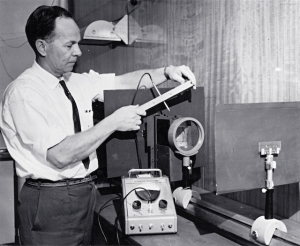 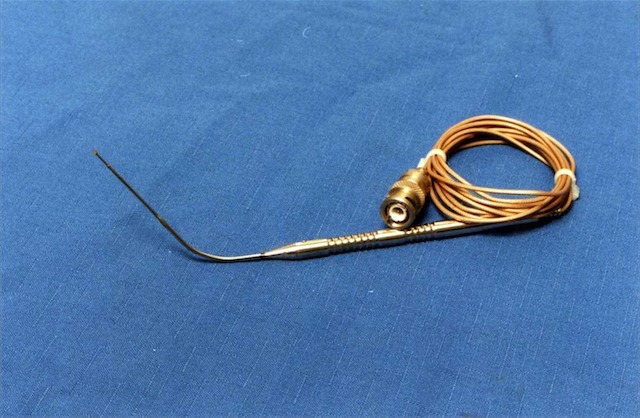 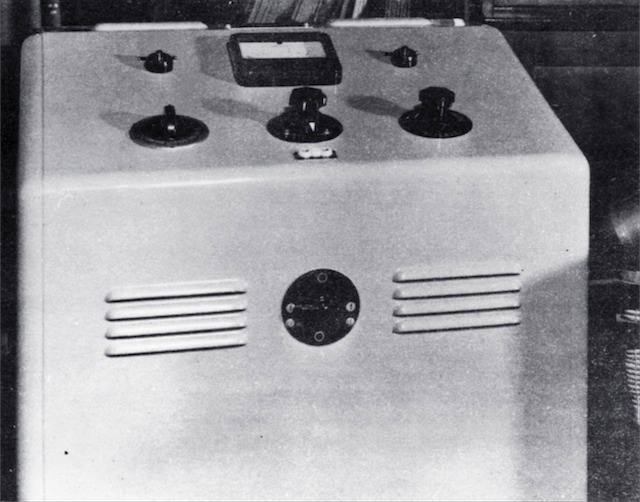 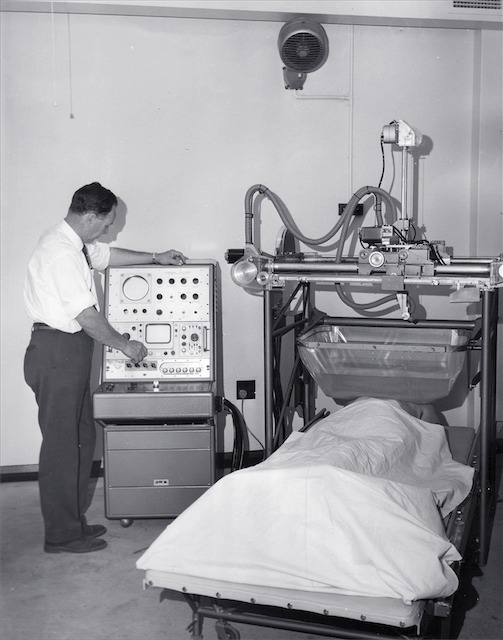 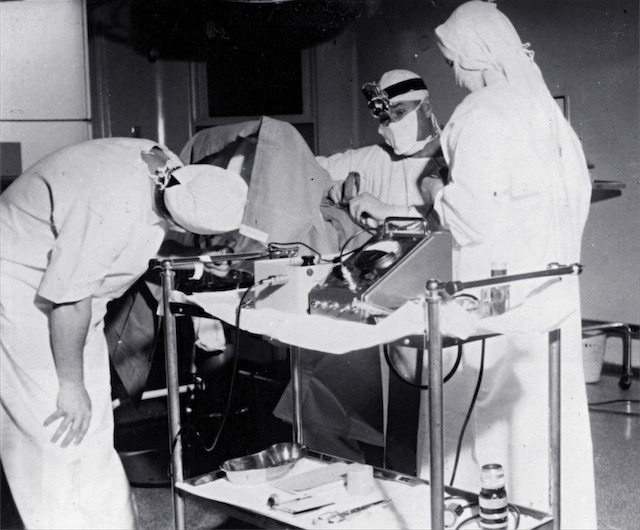 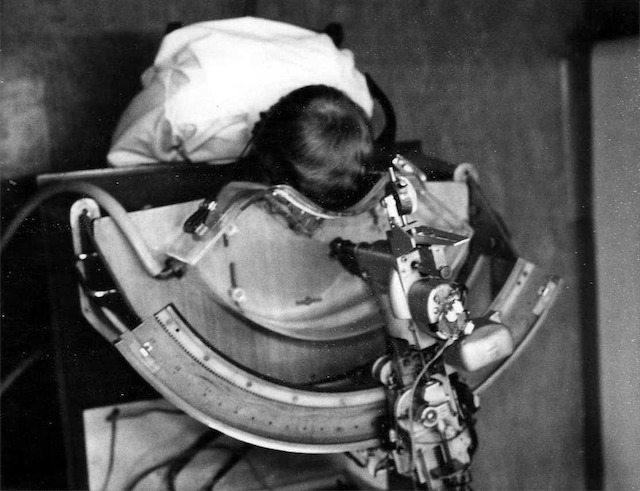 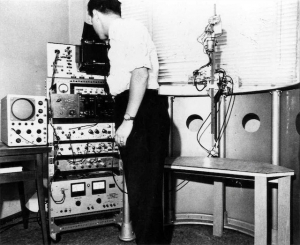 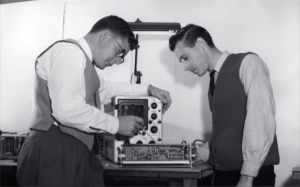 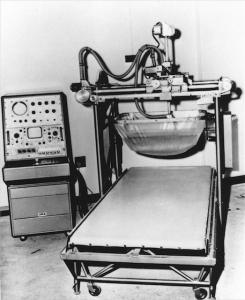 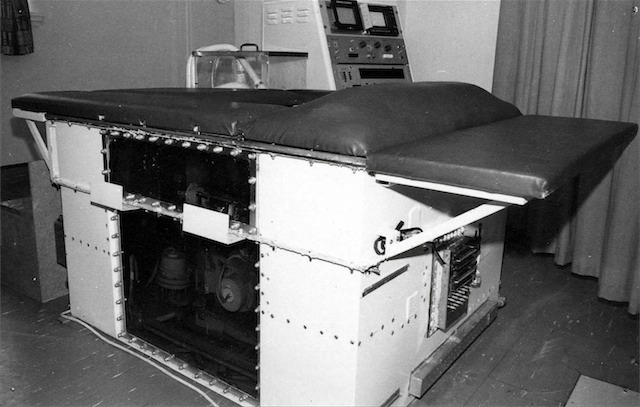 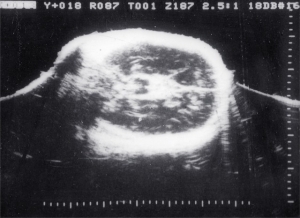 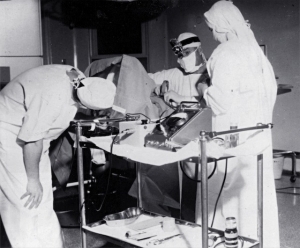 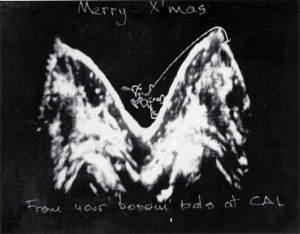 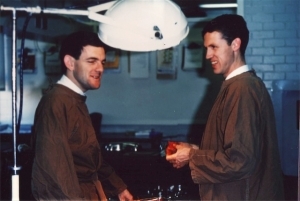 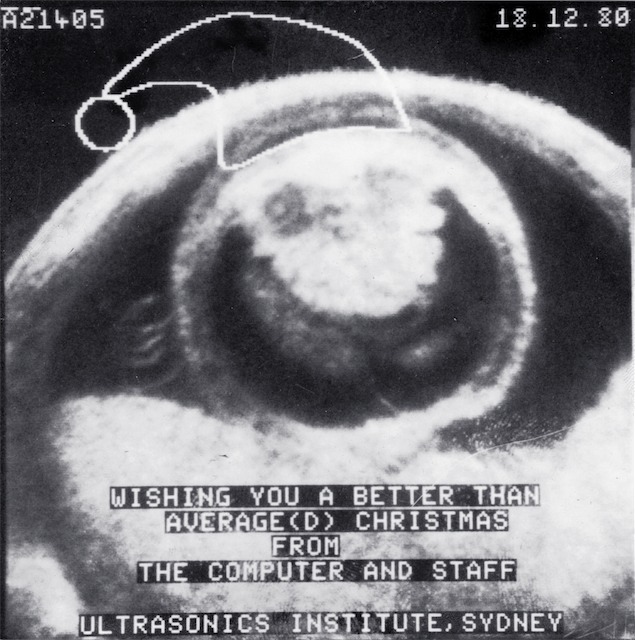 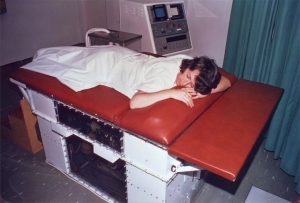 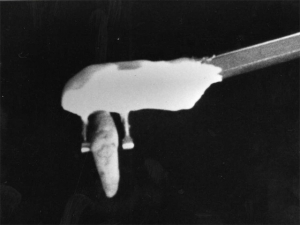 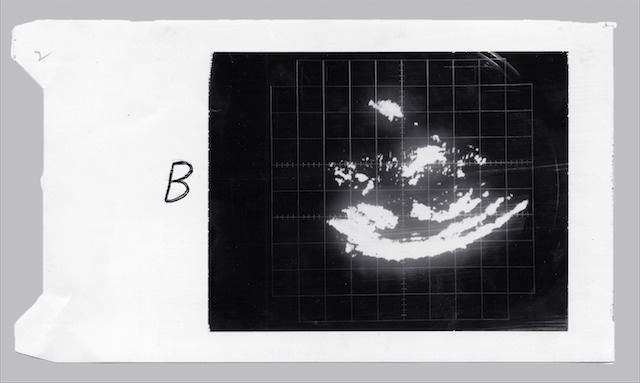 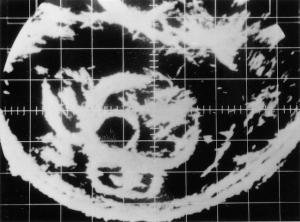 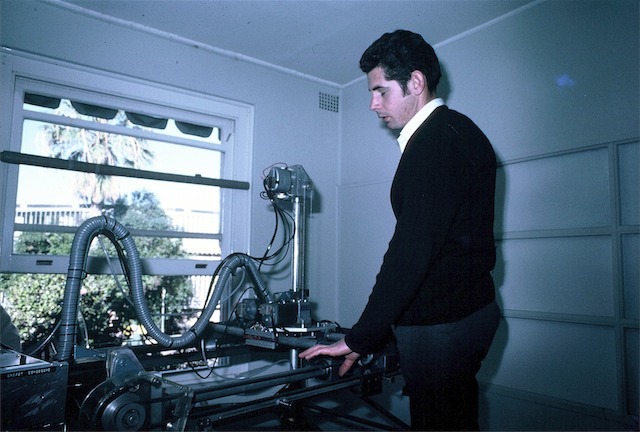 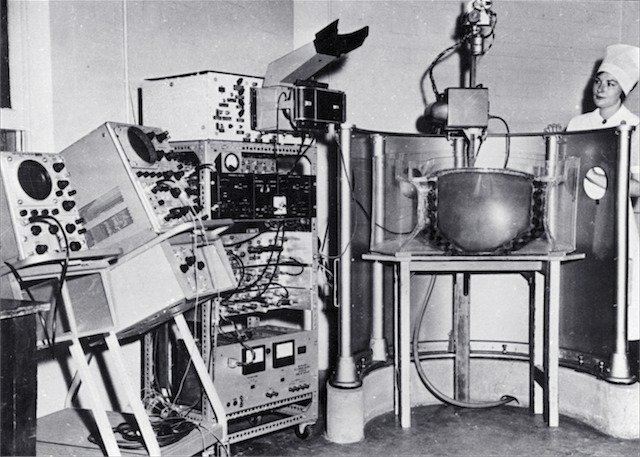 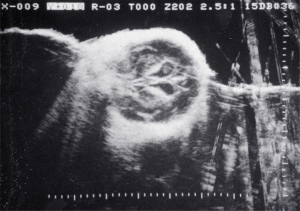 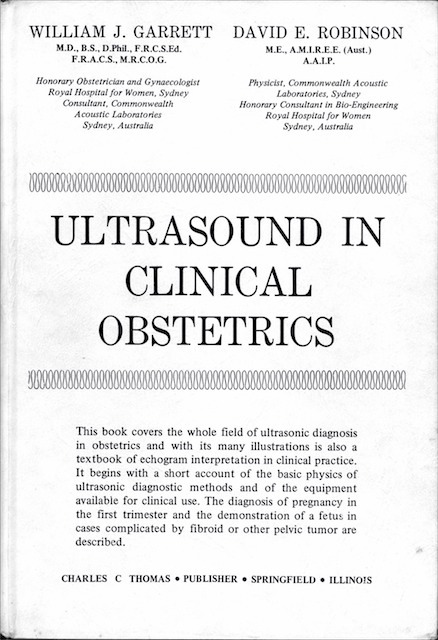 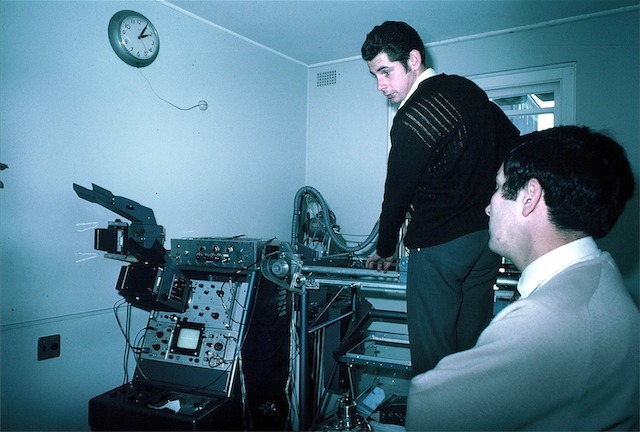 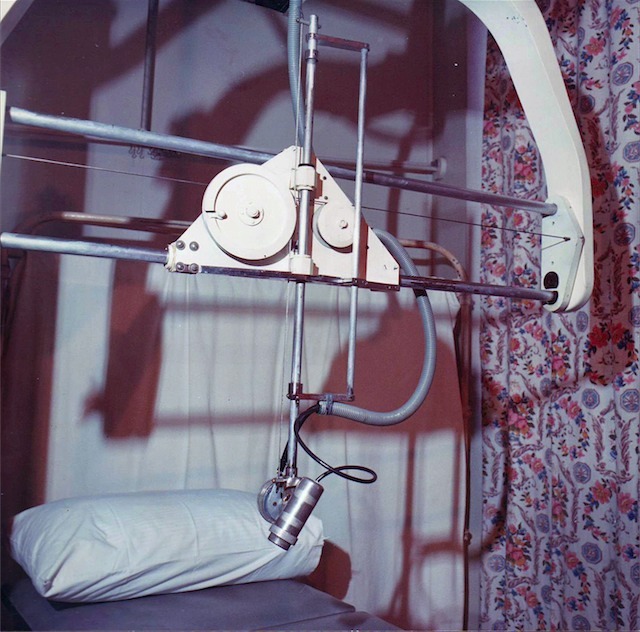 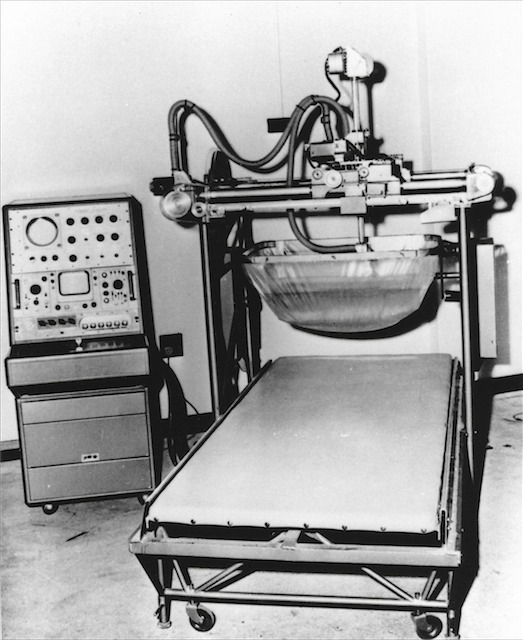 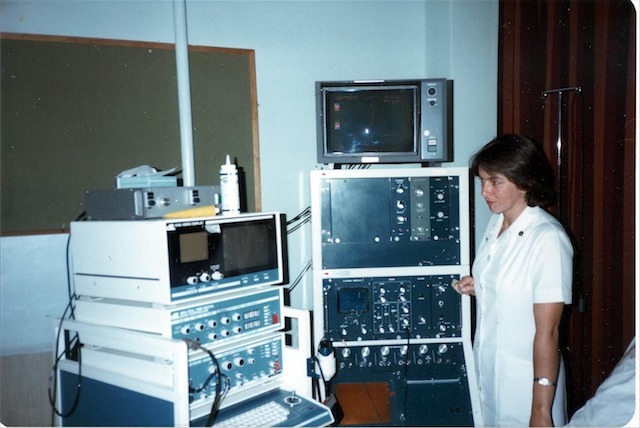 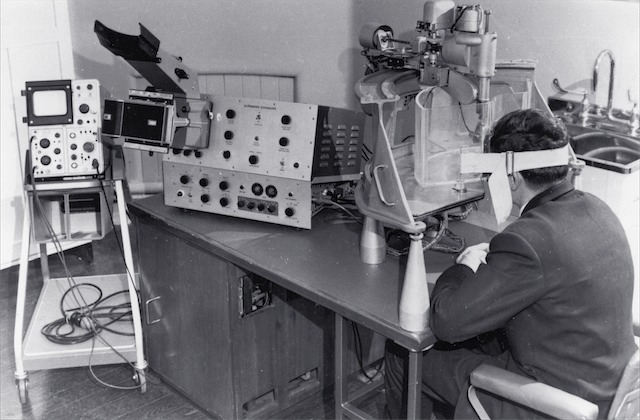 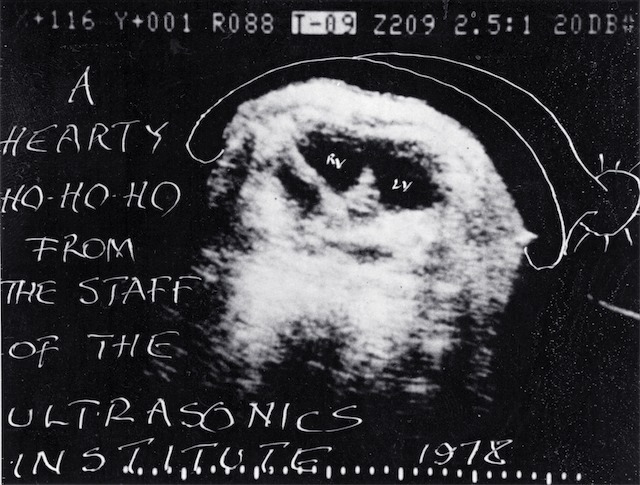 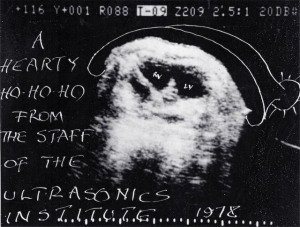 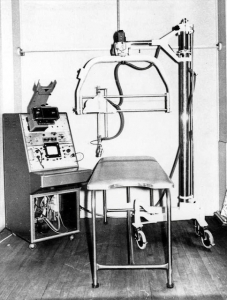 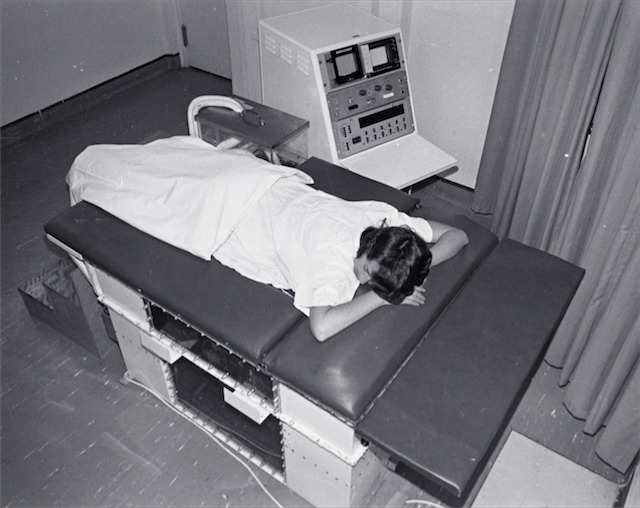 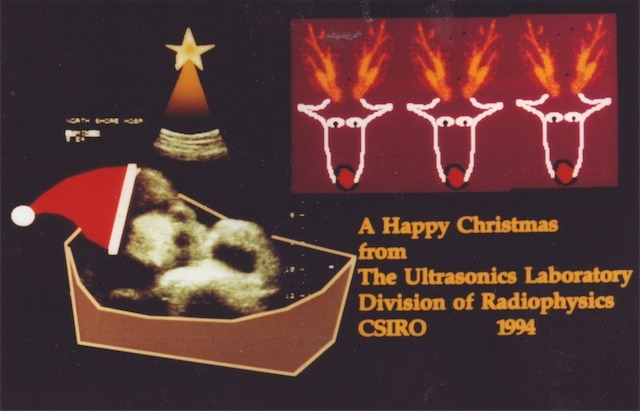 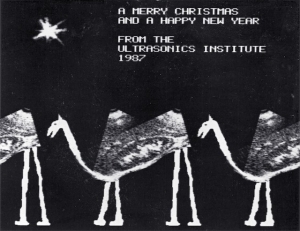 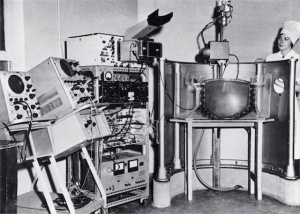 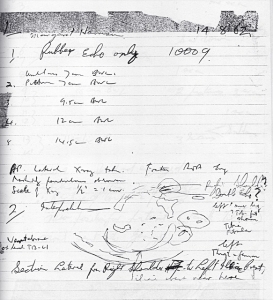 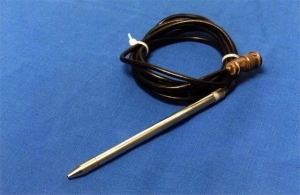 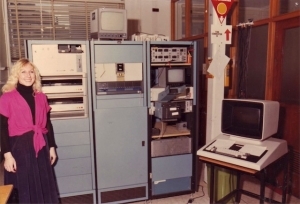 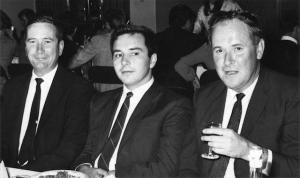 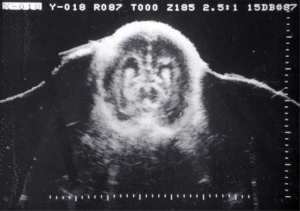 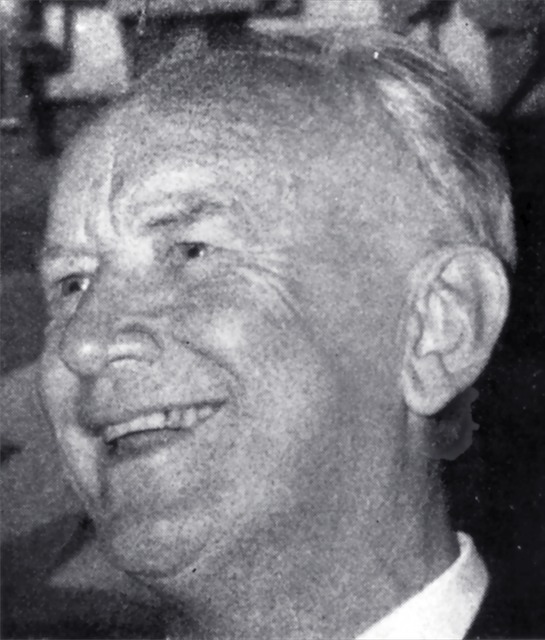 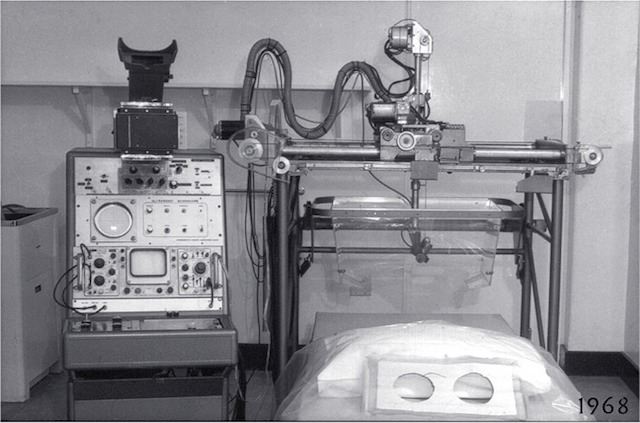 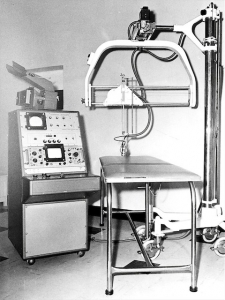 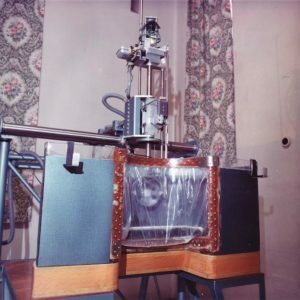 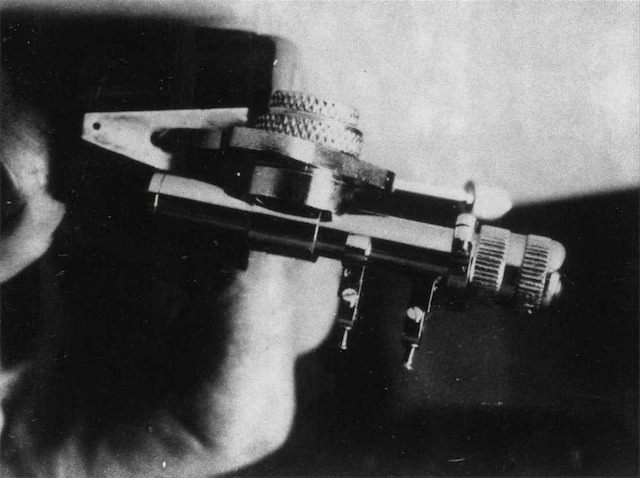 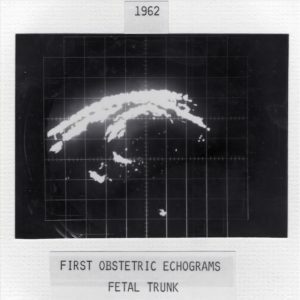 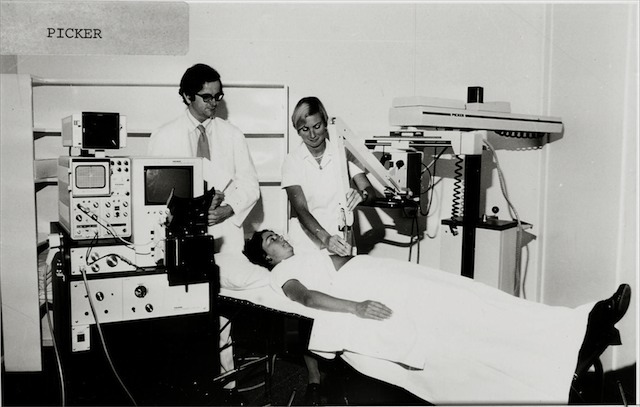 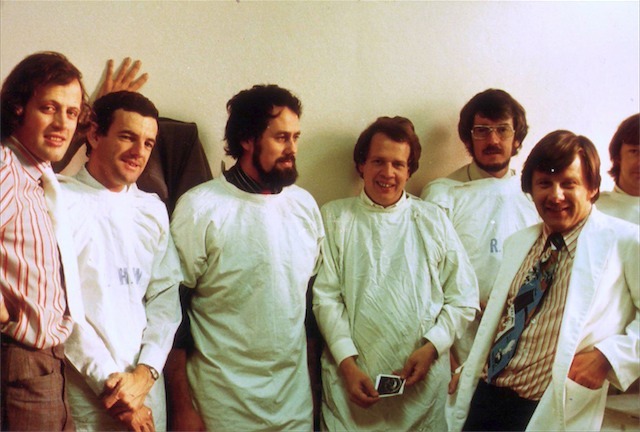 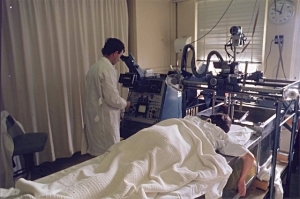 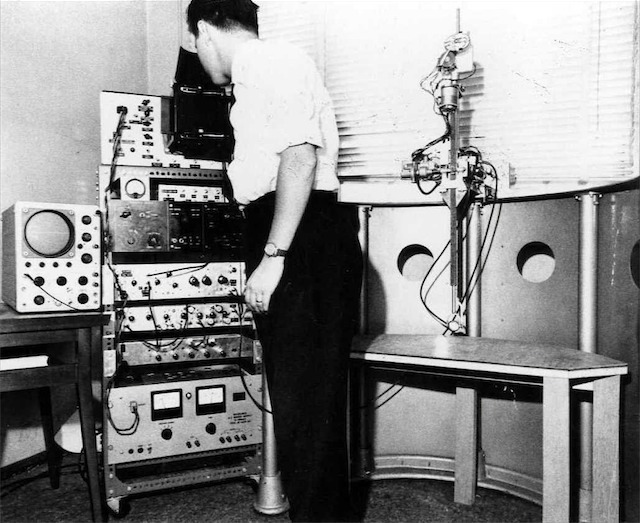 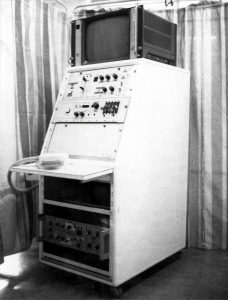 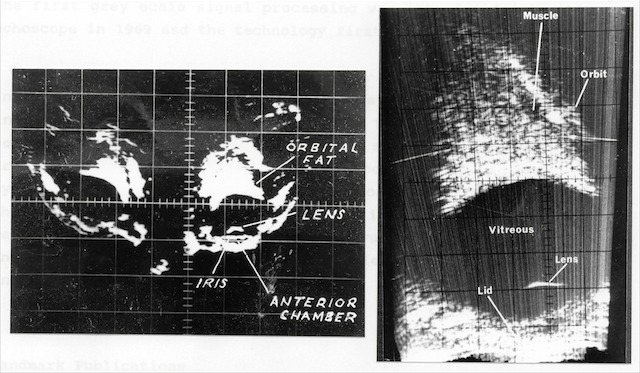 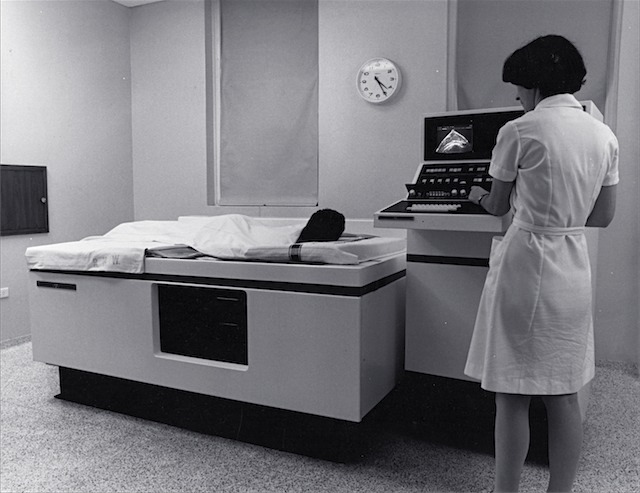 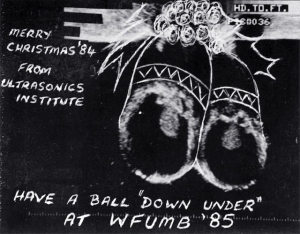 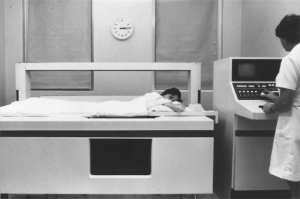 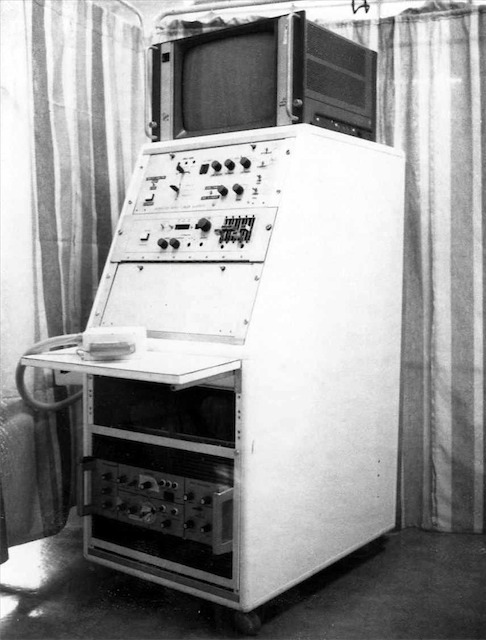 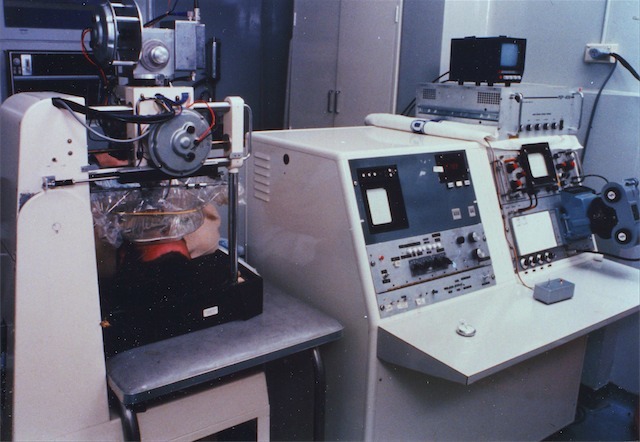 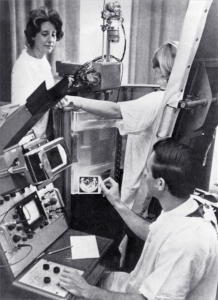 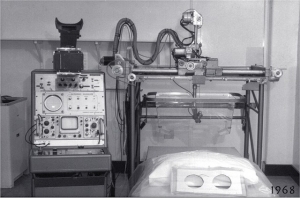 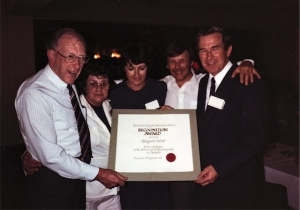 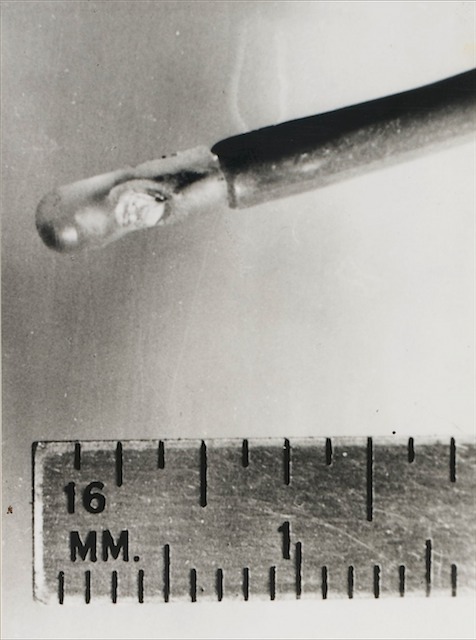 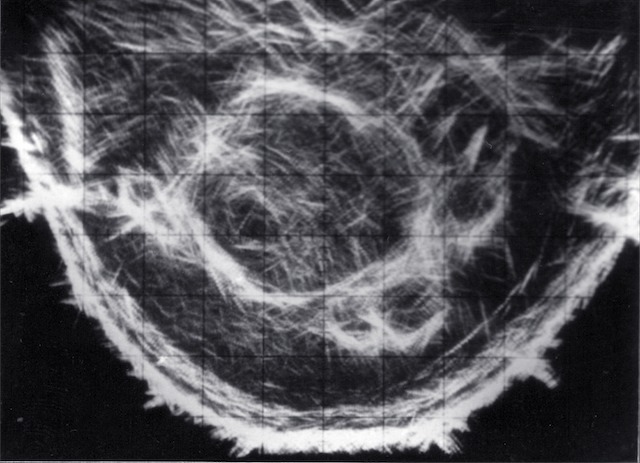 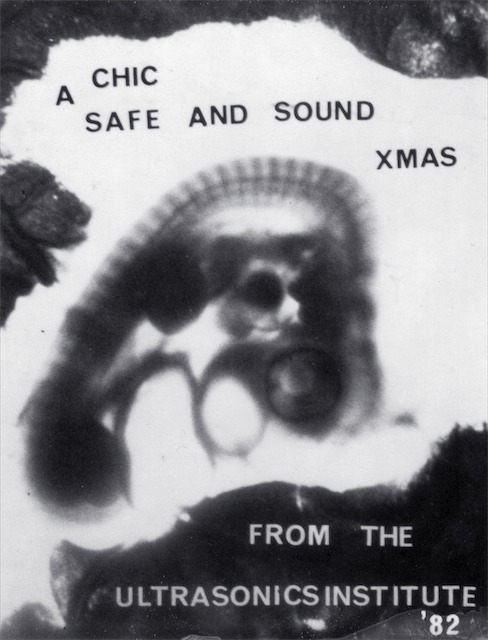 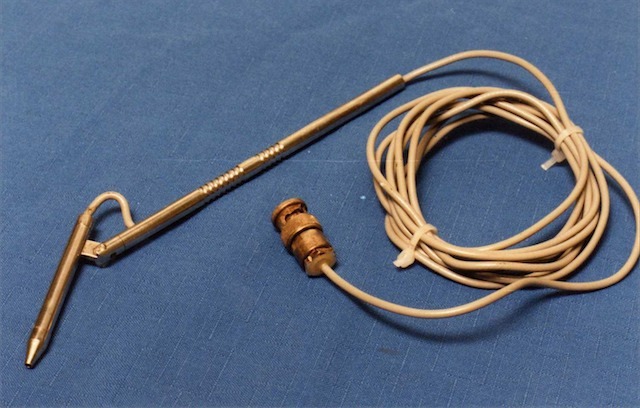 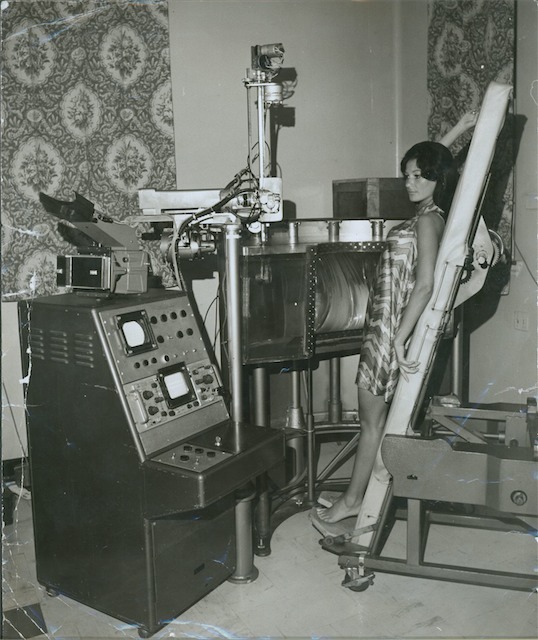 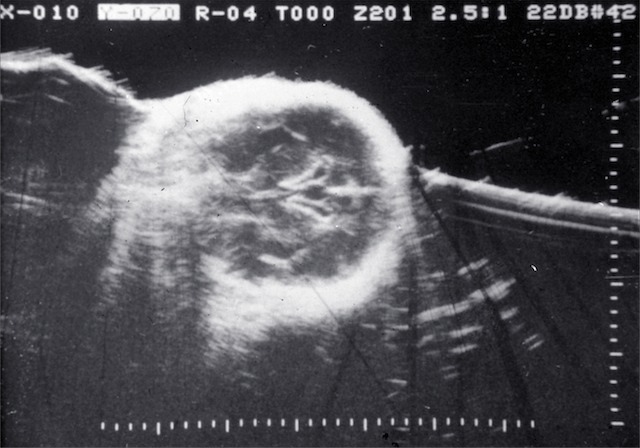 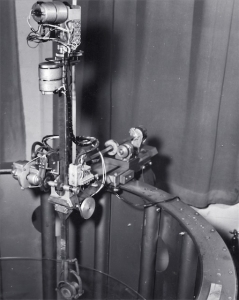 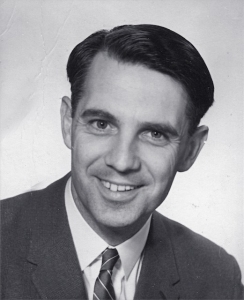 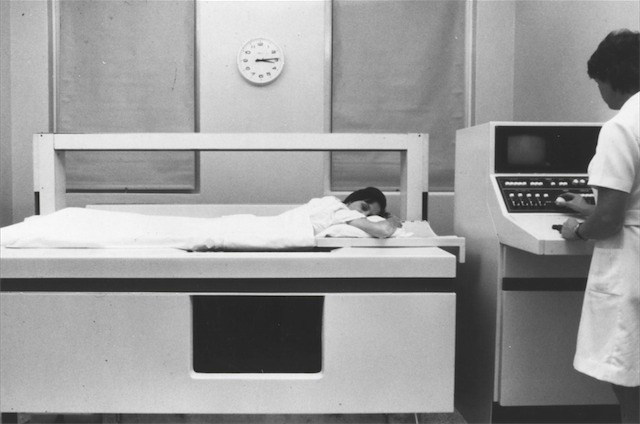 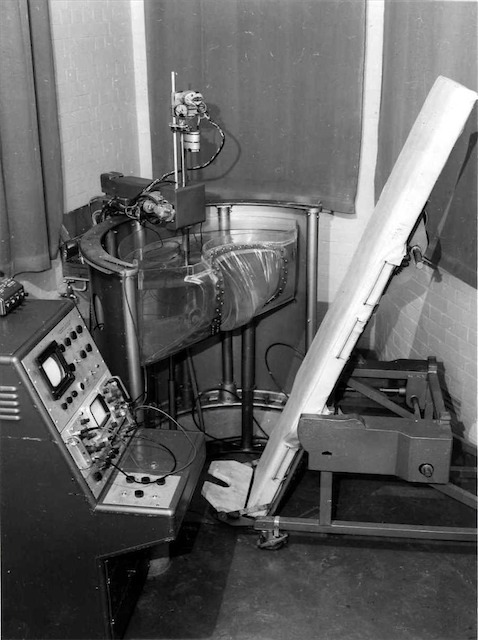 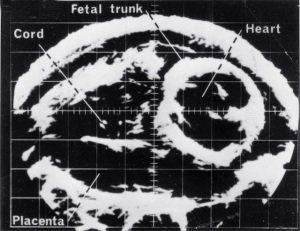 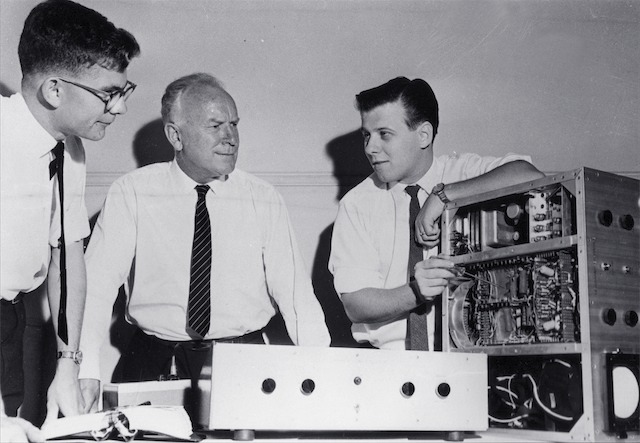 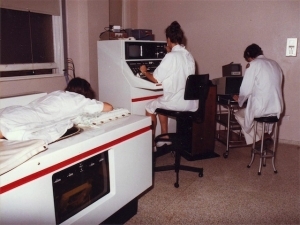 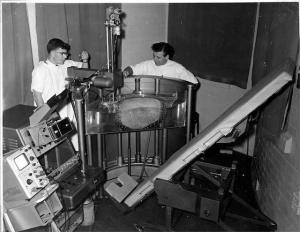 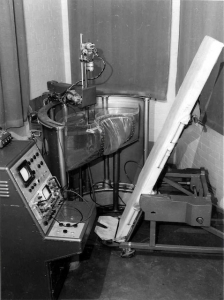 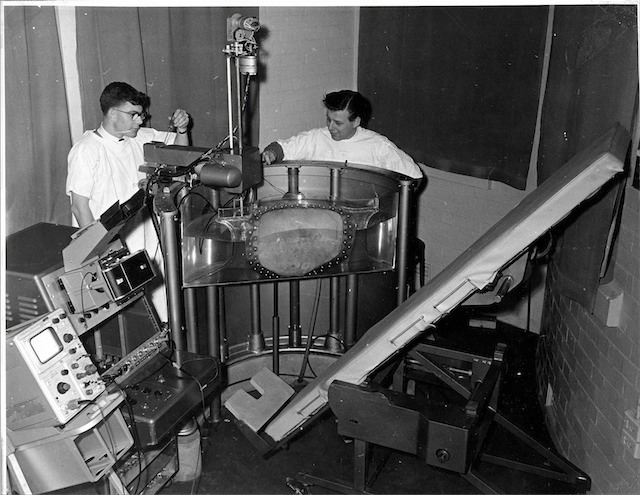 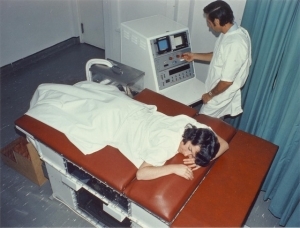 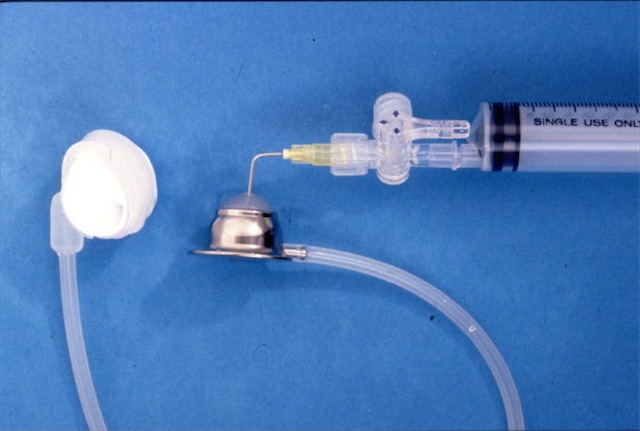 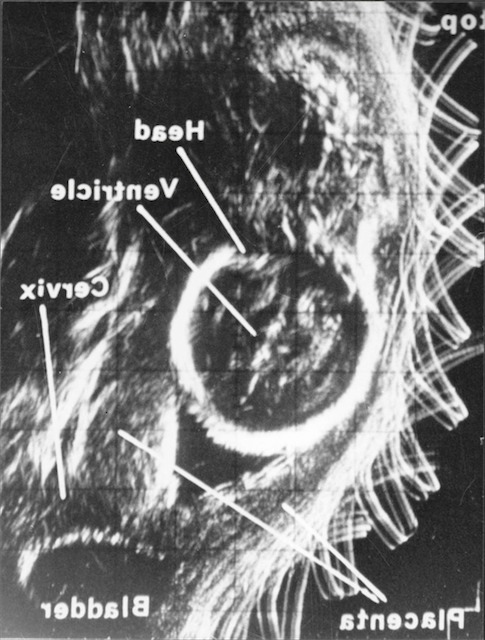 The story of Australian medical ultrasound began 50 years ago with the establishment in 1959 of an Ultrasound Research Section within the Commonwealth Acoustic Laboratories. 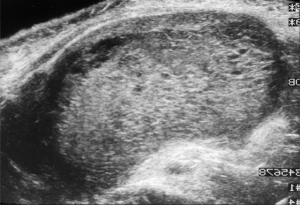 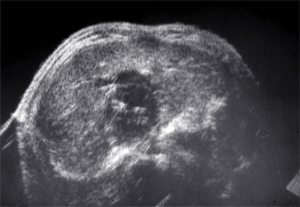 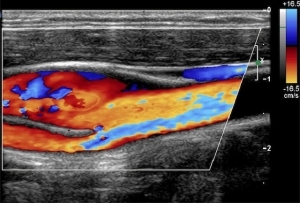 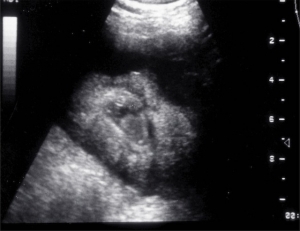 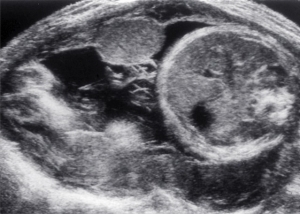 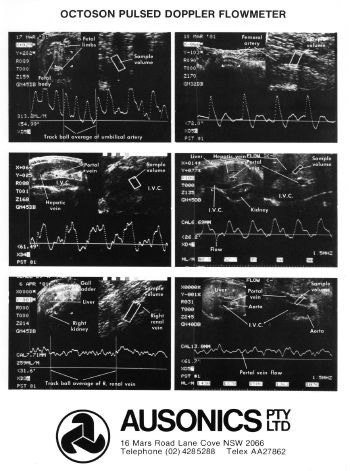 Within a few years the group was recognised as one of the leading ultrasound research groups in the world. 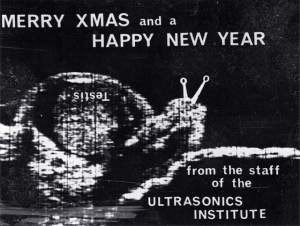 In 1975 the group became a separate entity and its name was changed to the Ultrasonics Institute (or UI). 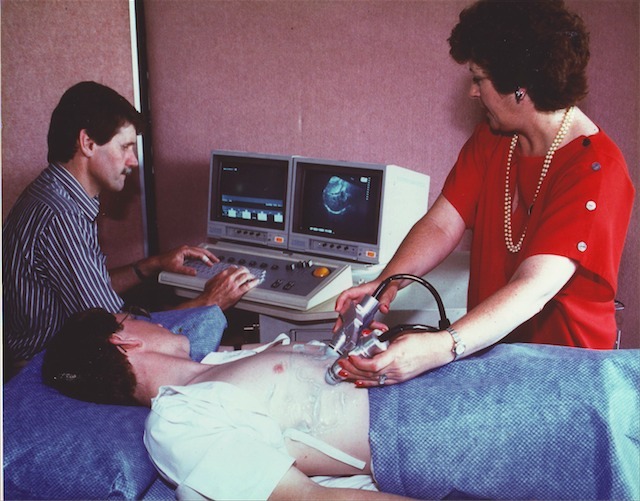 The Institute contributed vigorously to the development of the technology and clinical applications of diagnostic ultrasound until 1997. 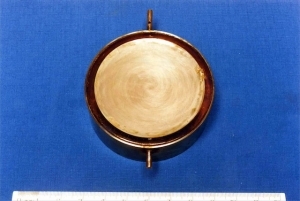 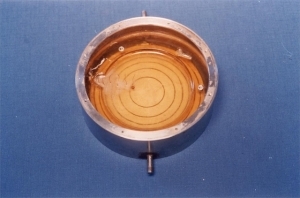 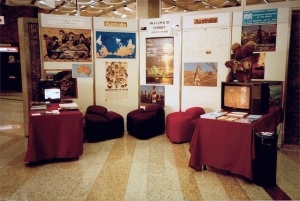 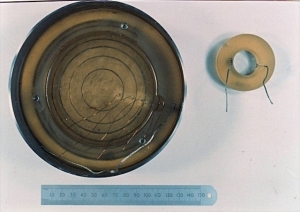 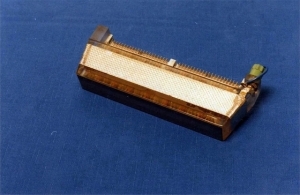 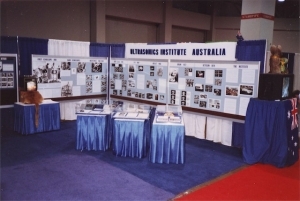 The materials presented in this section of the ASUM History website were assembled by a group of former UI staff and medical collaborators for the purpose of mounting a display at the WFUMB 2009 Conference. The encouragement and support of ASUM and the WFUMB 2009 Organising Committee are gratefully acknowledged. 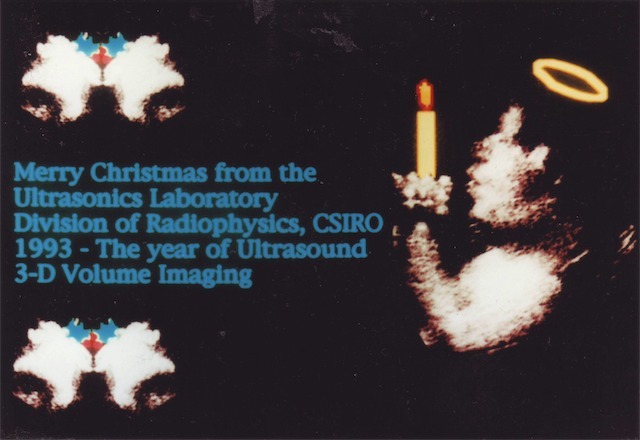 These posters come from a large collection of early Ultrasonics Institute historical material held by the PowerHouse Museum in Sydney. We are most grateful for their assistance in photographing the posters for this web-site. 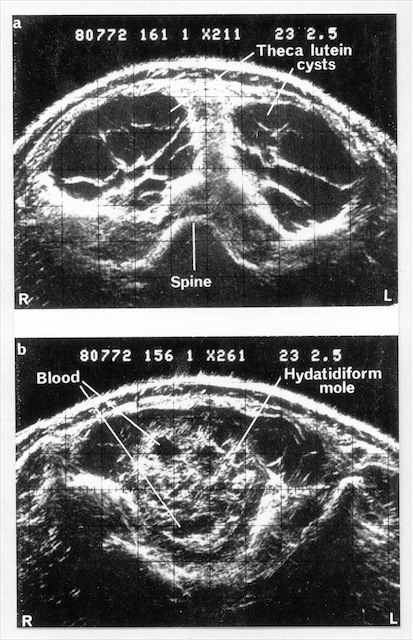 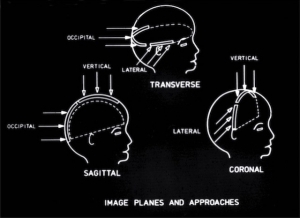 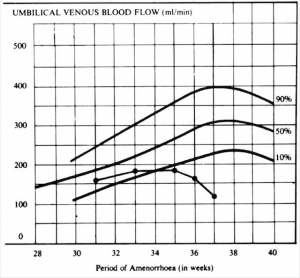 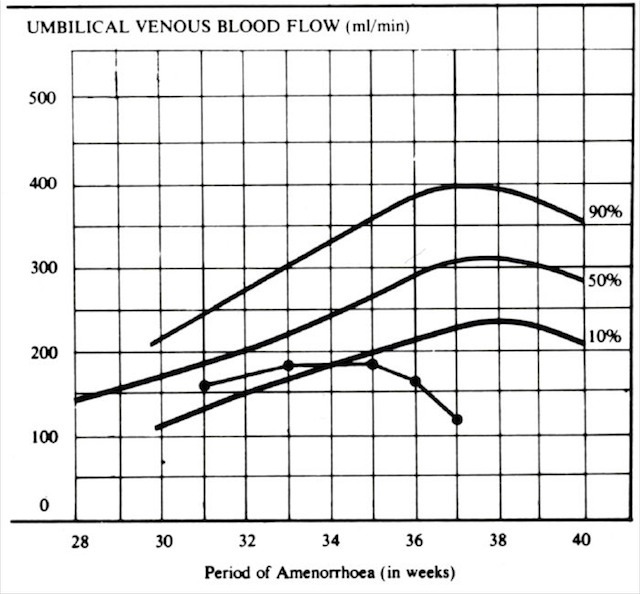 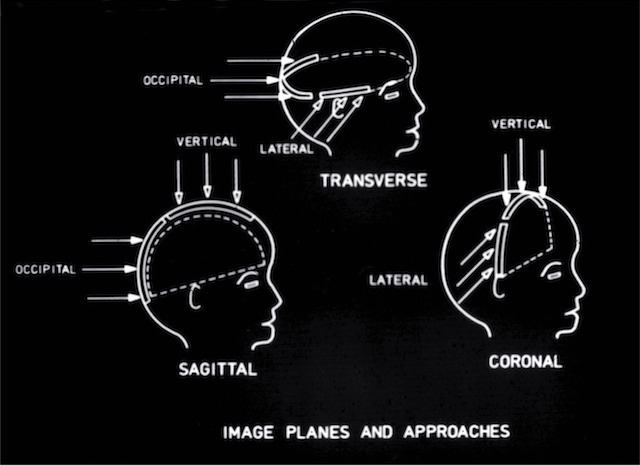 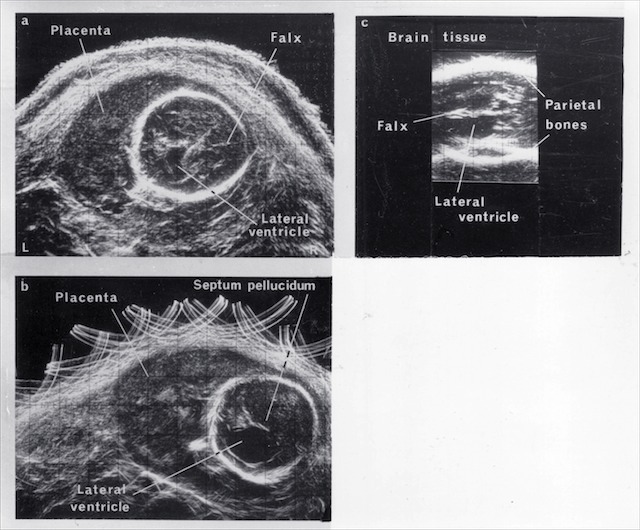 * Information from: Diagnostic Ultrasound, Peter Verco, Australasian Radiology 1981; 25th Anniversary Issue 115-123. 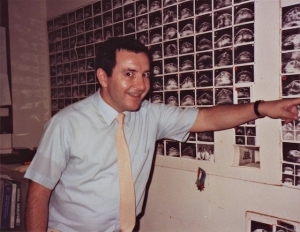 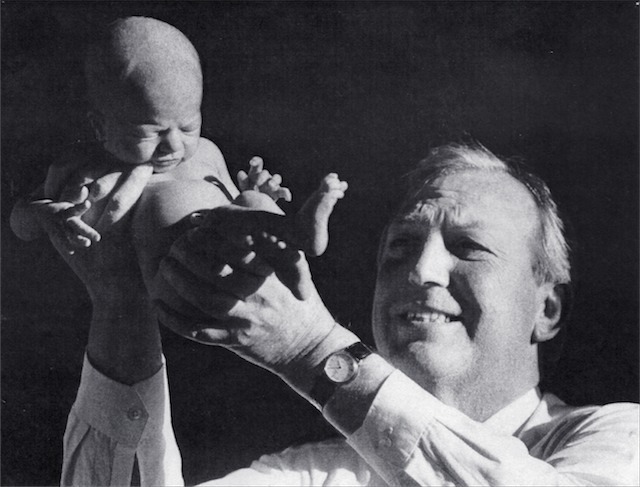 Advances in the Technology of Sonography Introduced by the Ultrasonics Institute, George Kossoff, Address to History of Medical Ultrasound Symposium, Washington DC 1988. 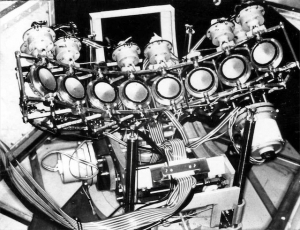 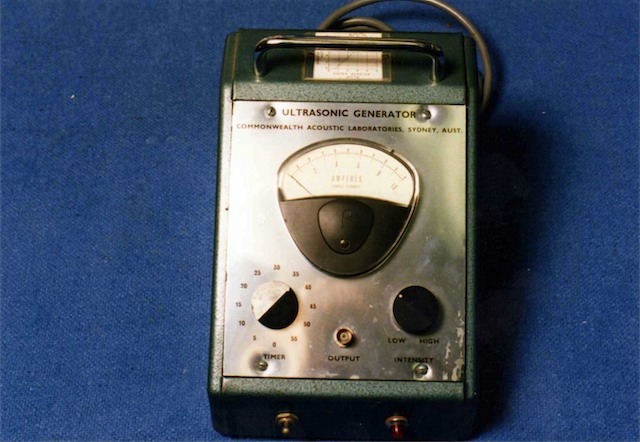 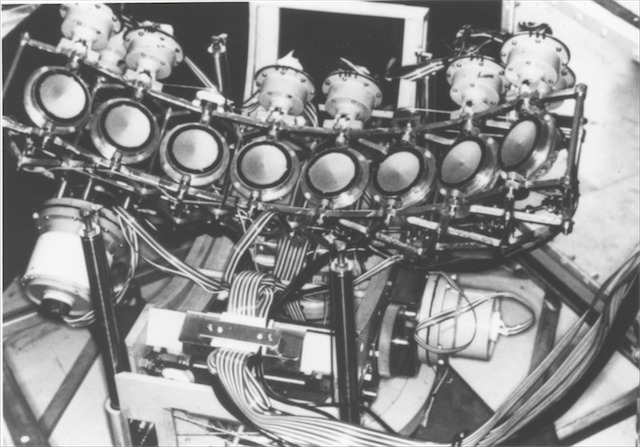 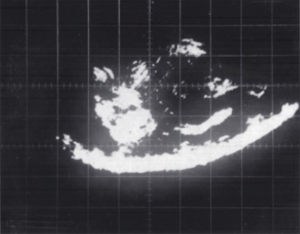 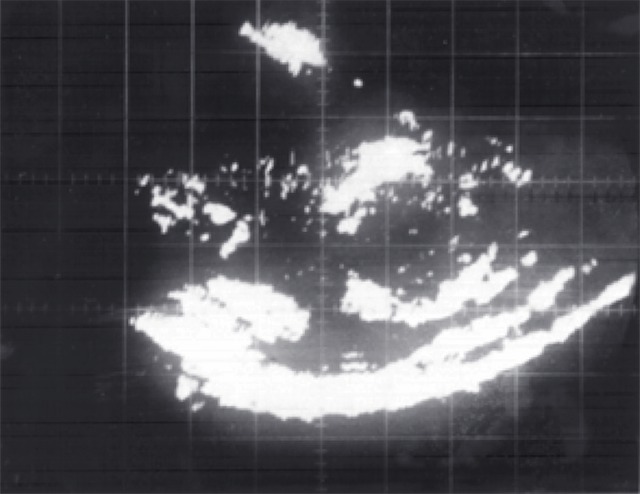 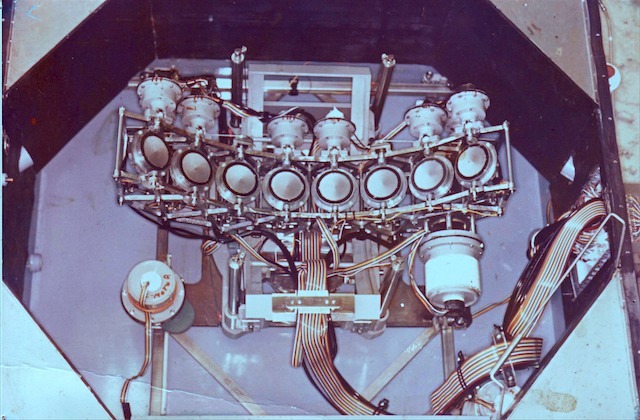 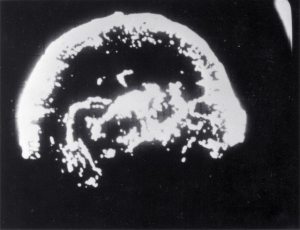 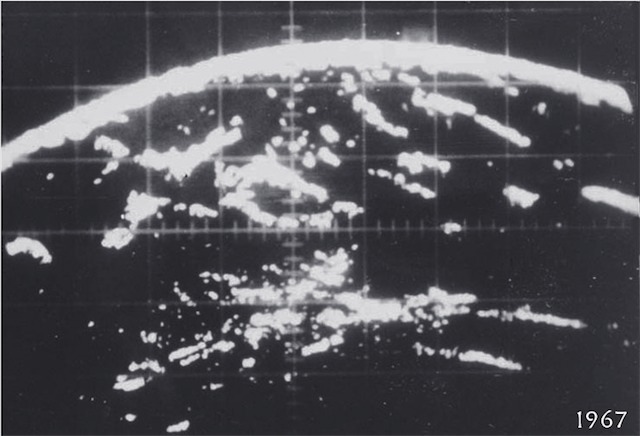 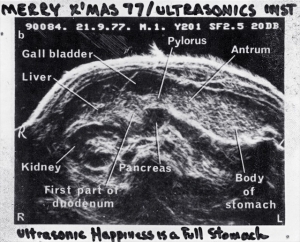 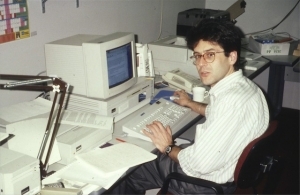 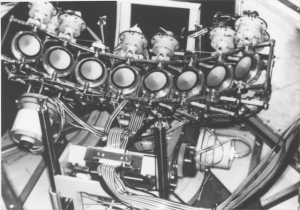 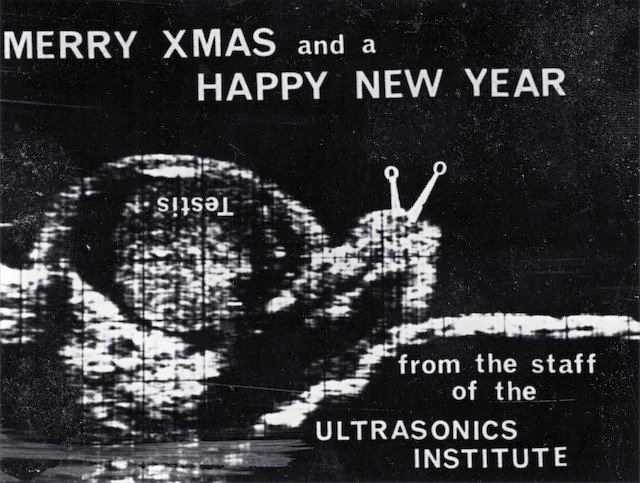 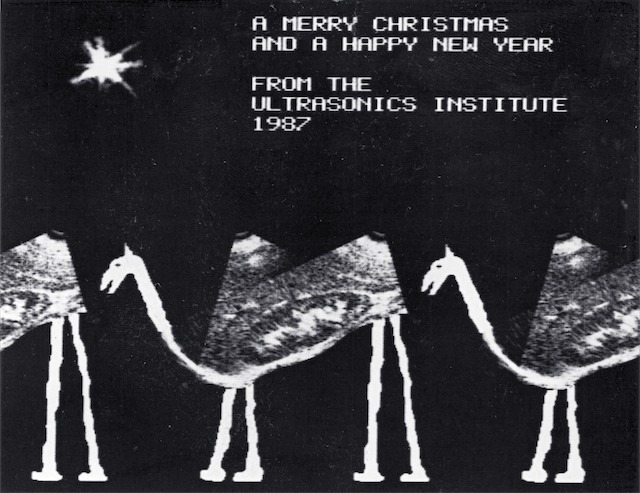 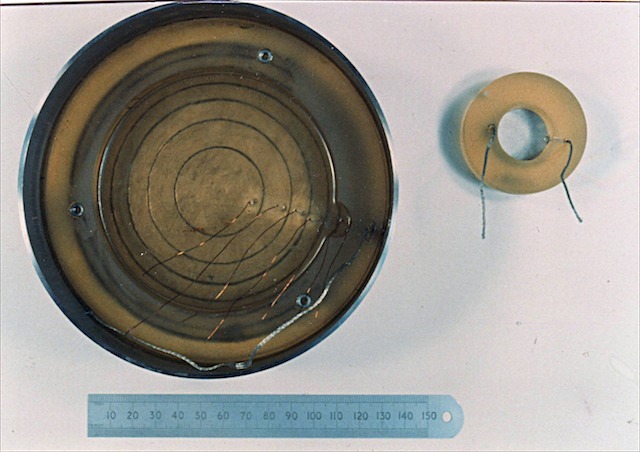 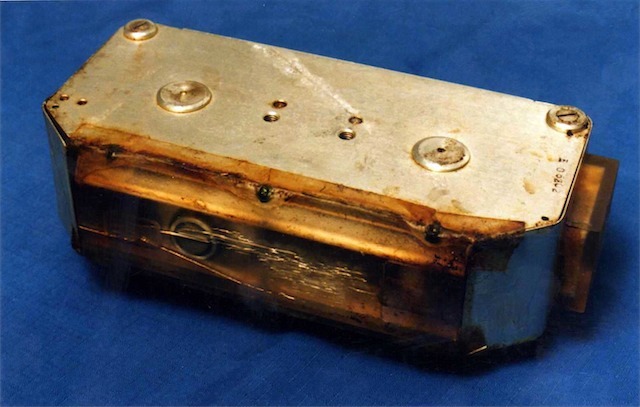 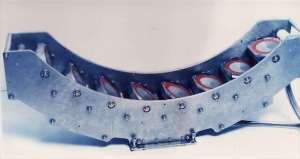 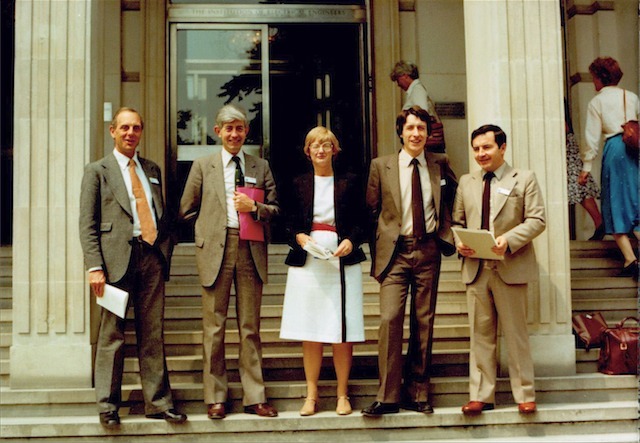 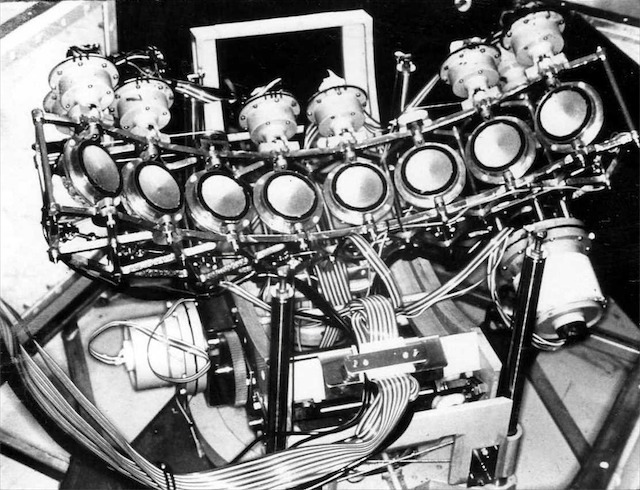 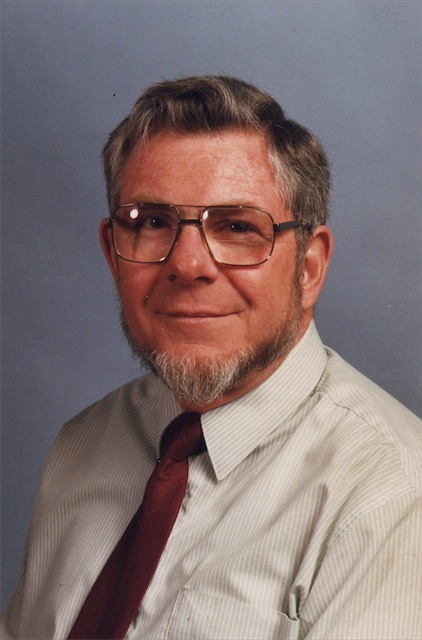 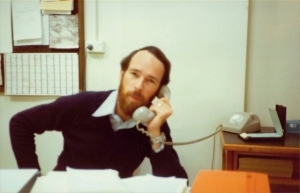 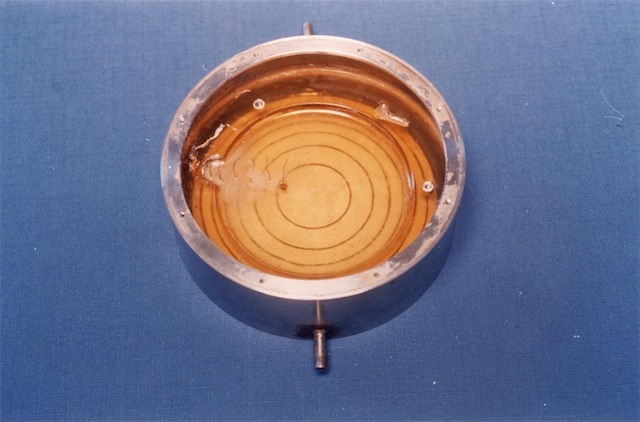 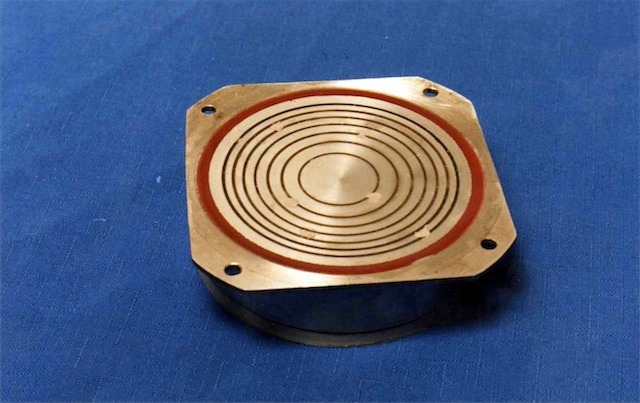 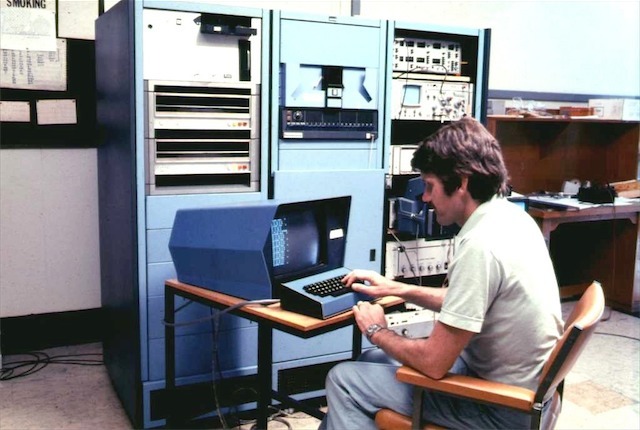 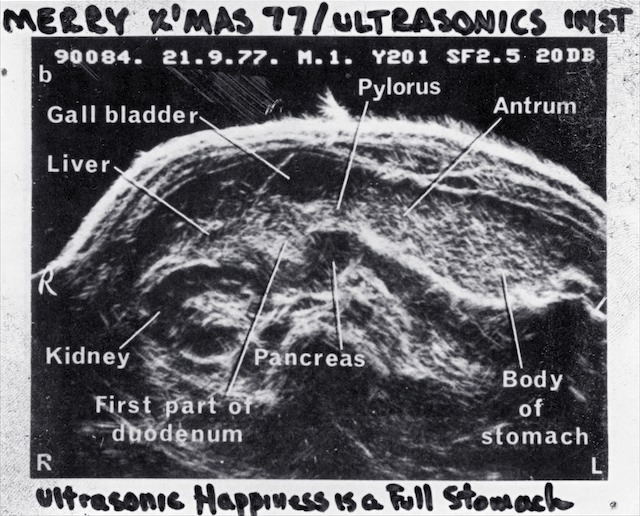 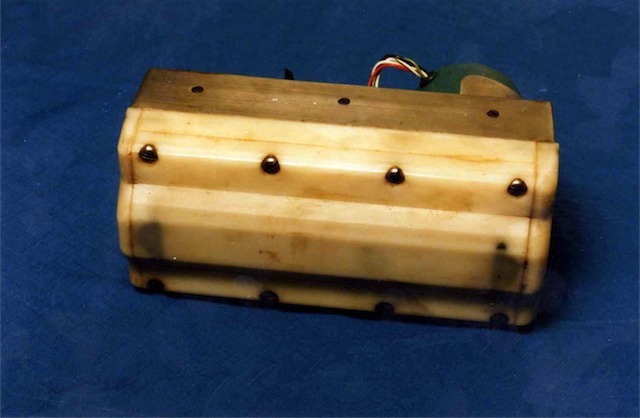 History of the Ultrasonics Institute, (warning – this is a large file!) 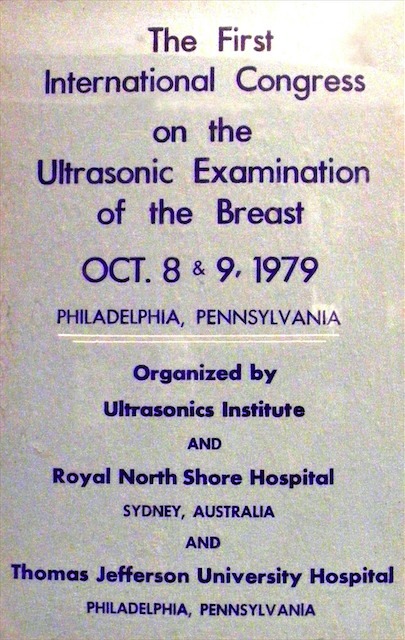 A Record of an Historical Exhibit at the World Congress for Ultrasound in Medicine and Biology, WFUMB’88 Washington DC, October 1988. 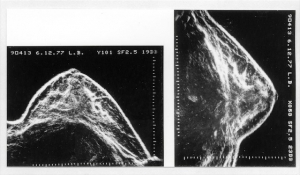 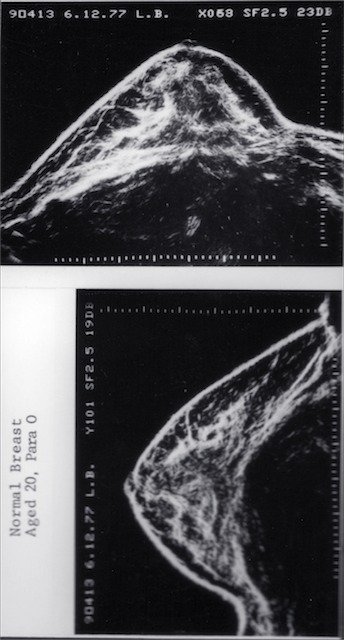 Australia’s Contribution to Breast Ultrasound, George Kossoff, Breast News, Bulletin of National Breast Cancer Centre 2000; 6(1): 5. How Research into Medical Ultrasound Began in Australia, George Kossoff, ASUM Bulletin 2000; 3(4): 8-13. 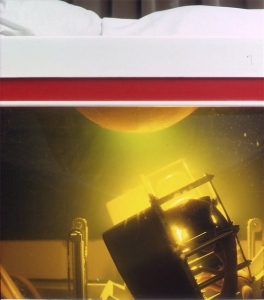 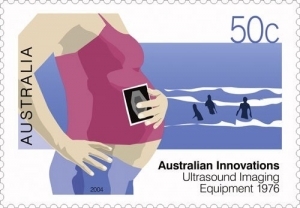 Australian Innovations postage stamp series, excerpt from Australian Stamp Bulletin No. 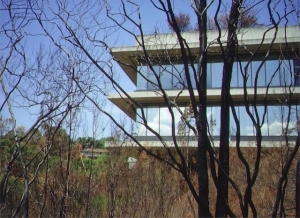 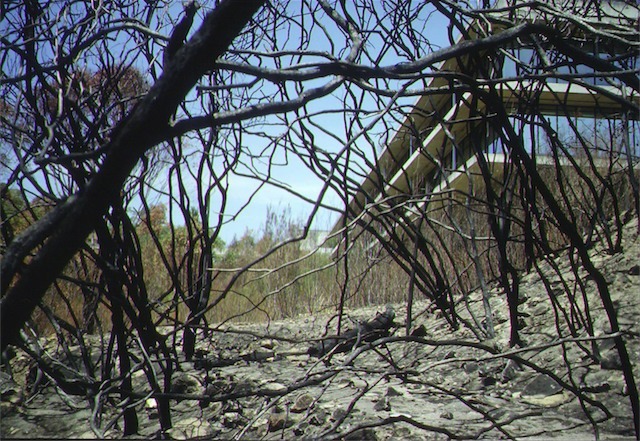 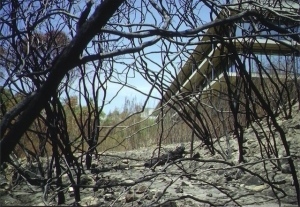 274, March-May 2004. 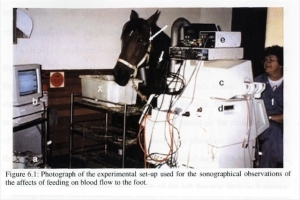 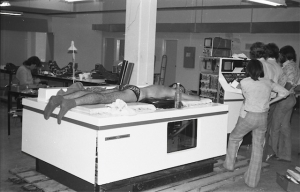 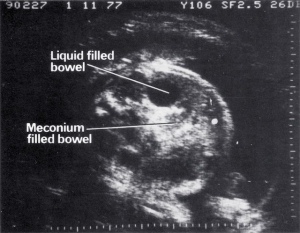 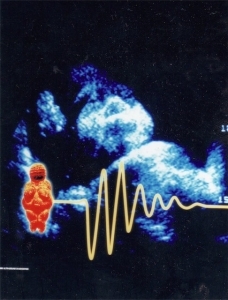 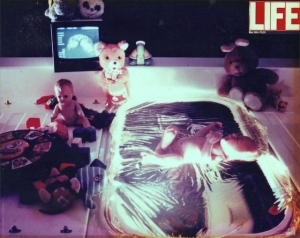 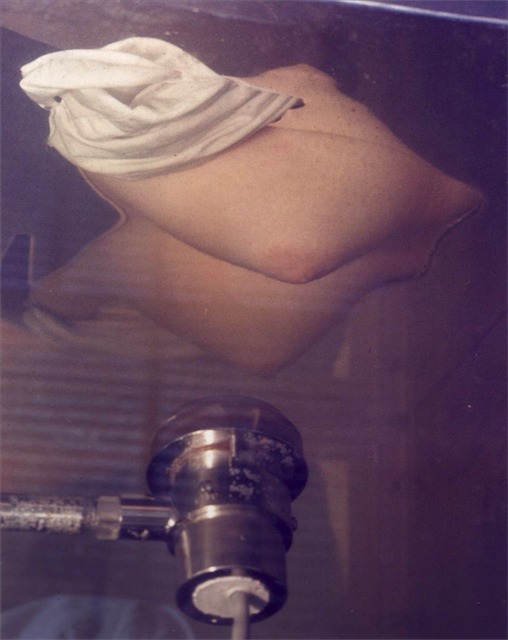 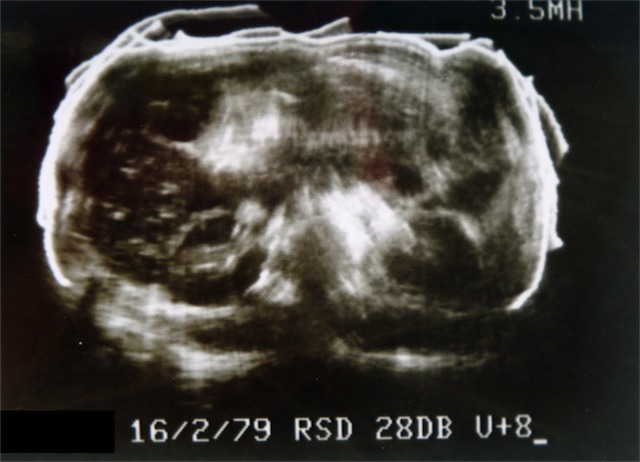 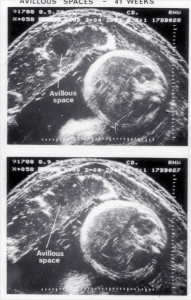 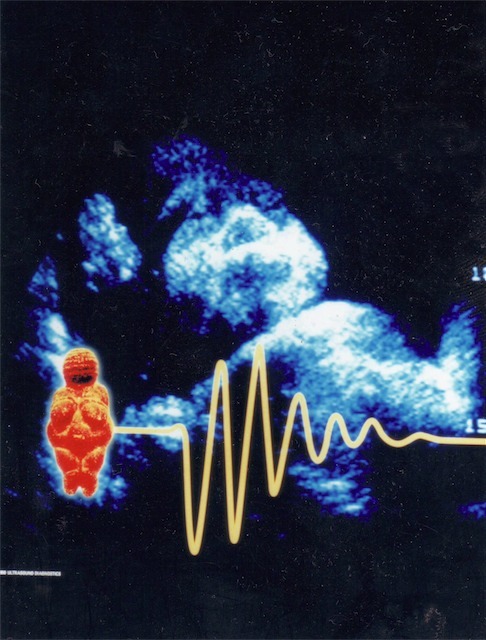 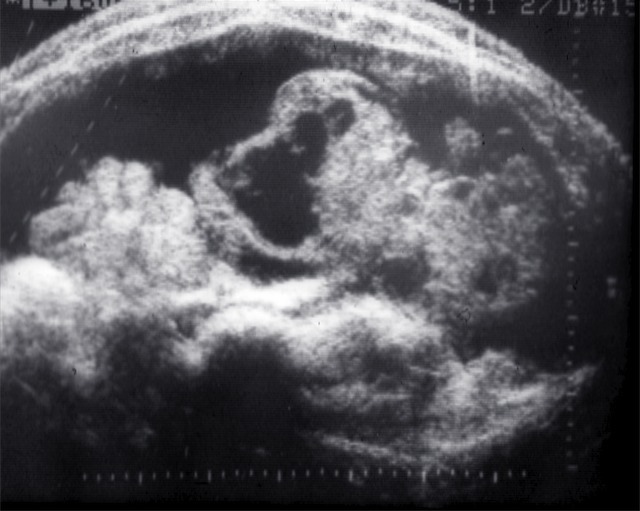 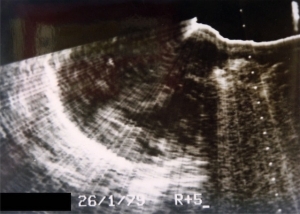 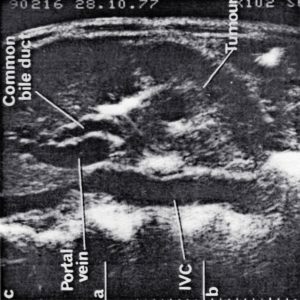 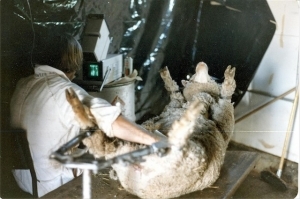 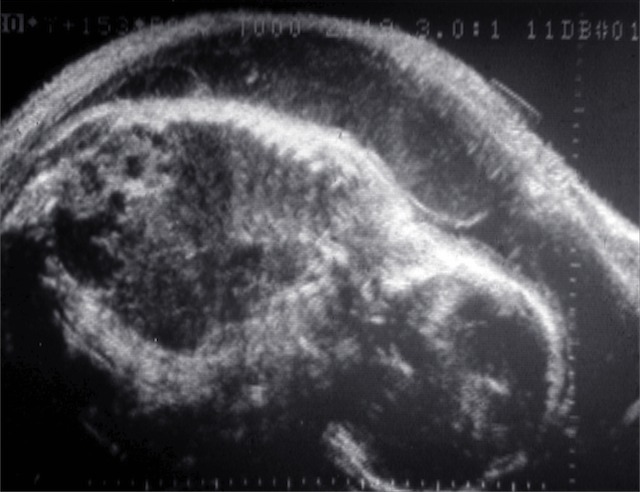 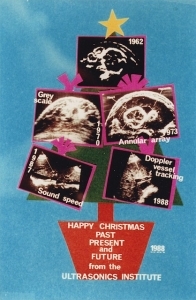 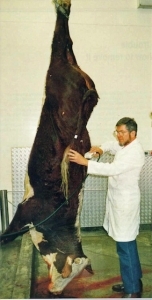 A historical look at ultrasound as an Australian innovation on the occasion of the ultrasound stamp issued by Australia Post – 18 May 2004, Kaye Griffiths, ASUM Bulletin 2004; 7(3): 22-26. 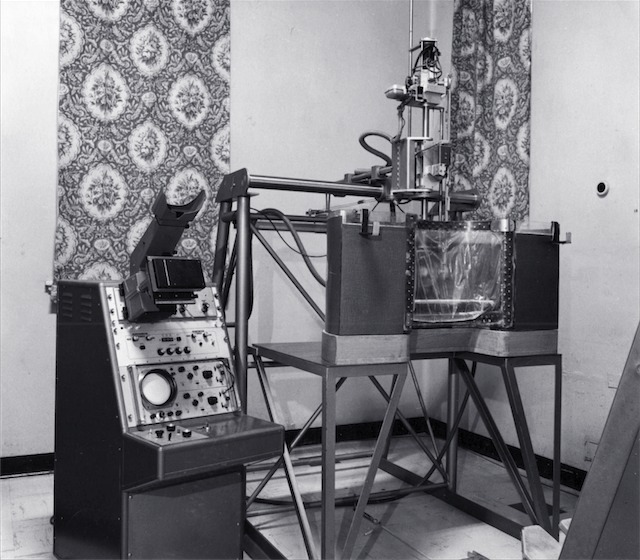 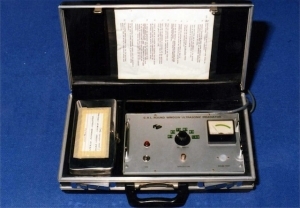 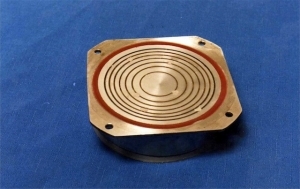 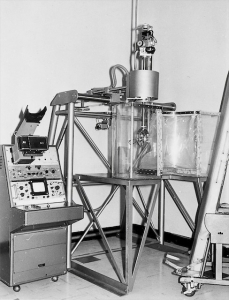 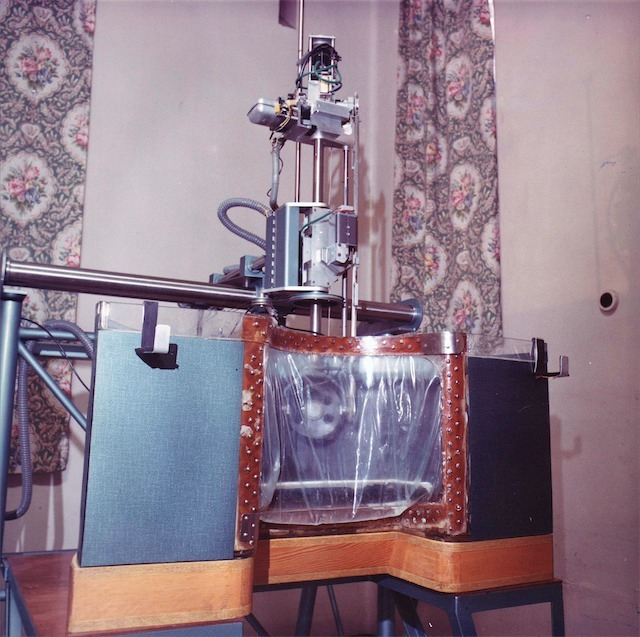 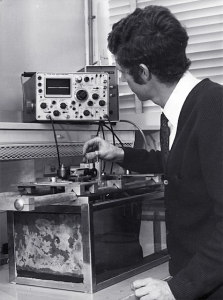 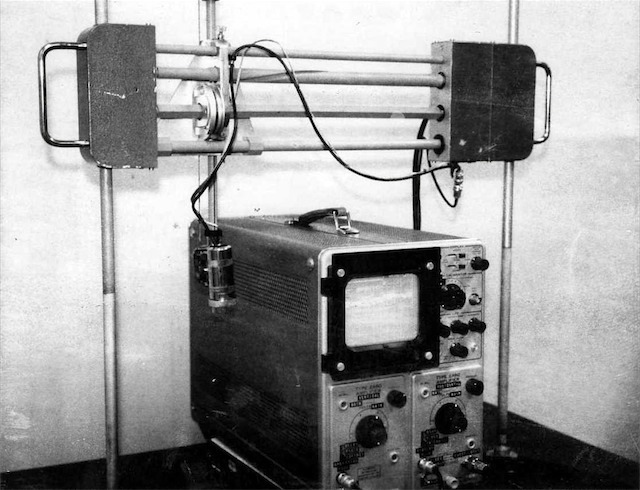 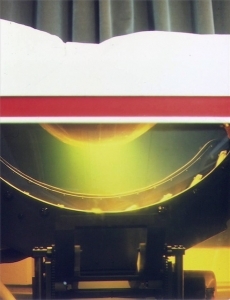 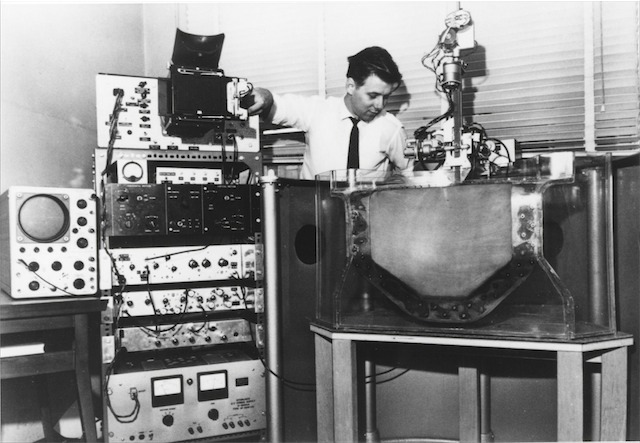 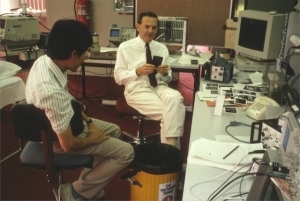 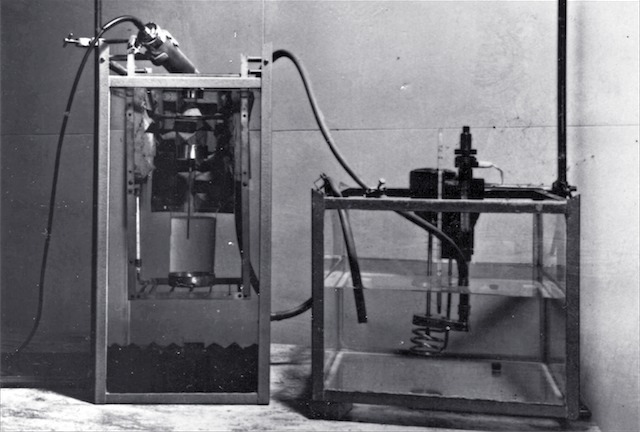 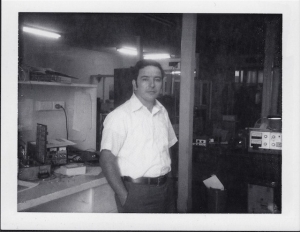 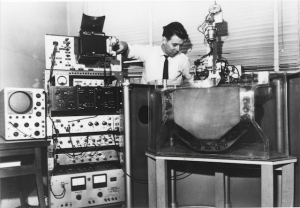 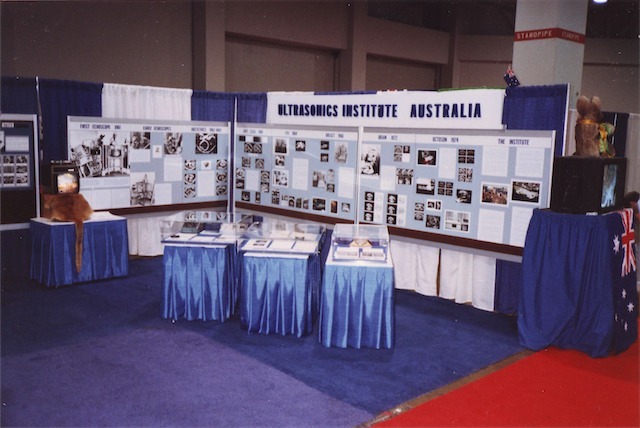 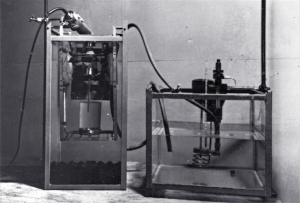 A Short History of the Ultrasonics Institute 1959 – 1997, prepared for WFUMB 2009 History Booth. 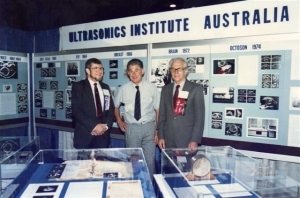 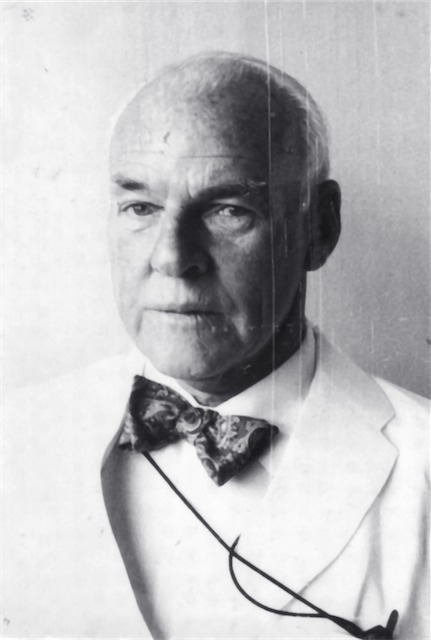 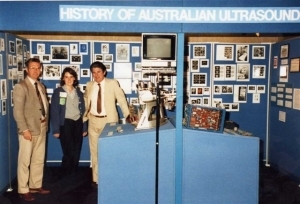 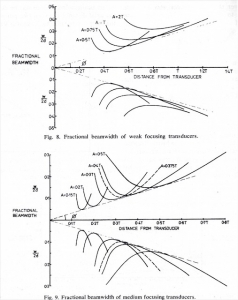 Ultrasonics Research in Medicine in Australia – A Review, George Kossoff, Ultrasonics International 1973; 199-205. 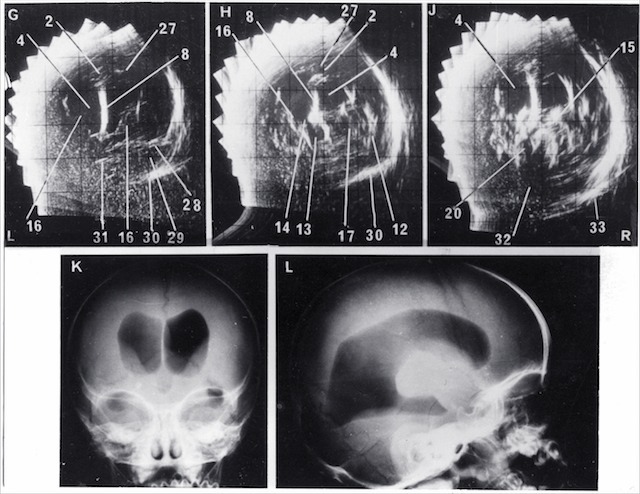 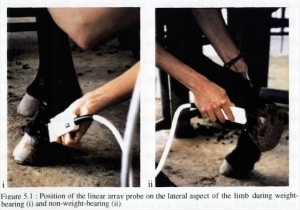 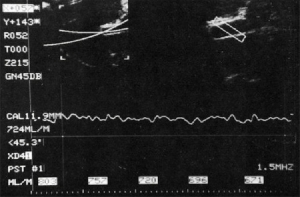 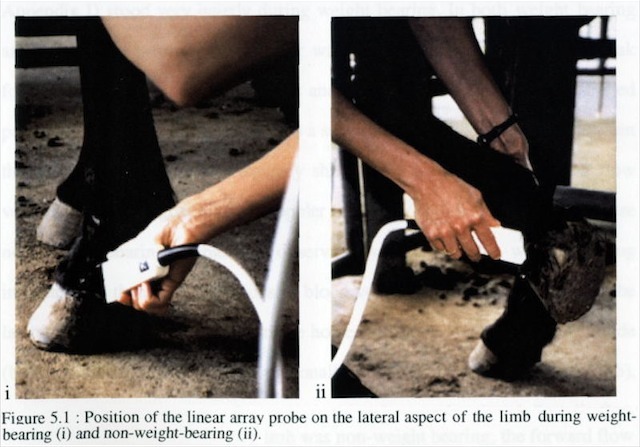 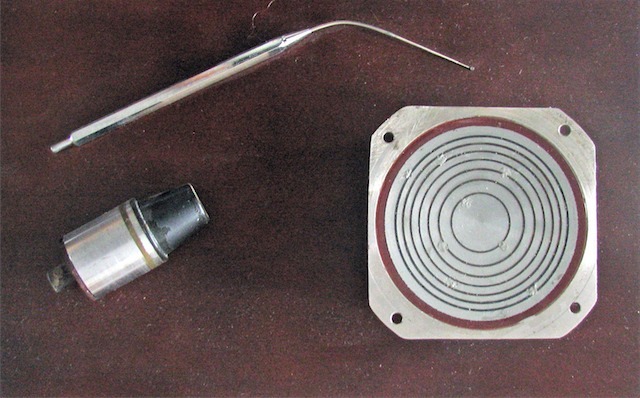 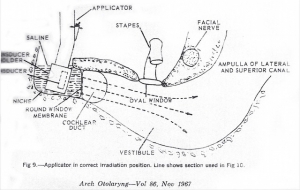 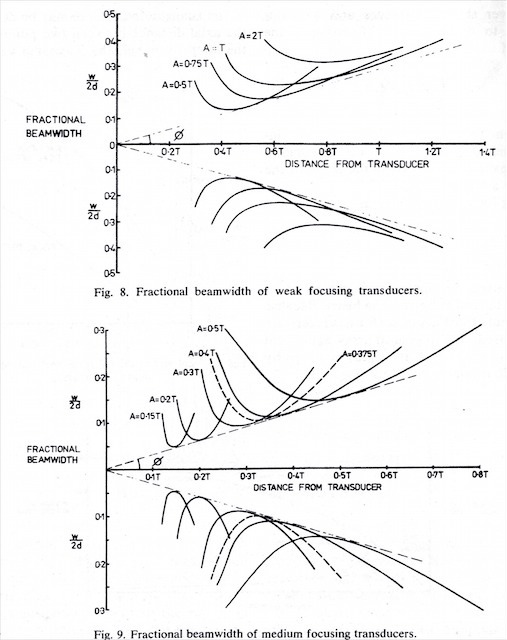 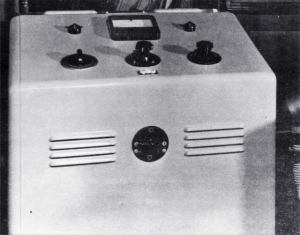 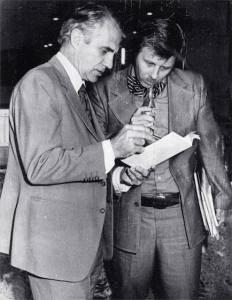 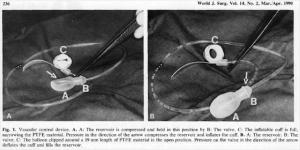 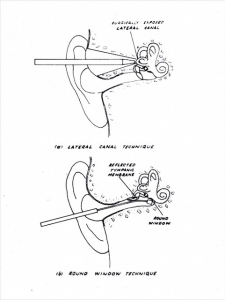 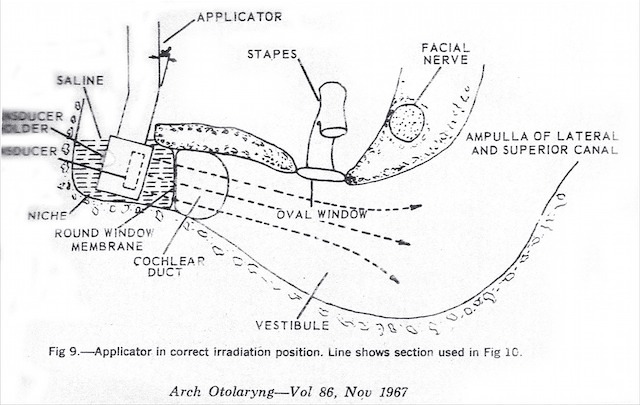 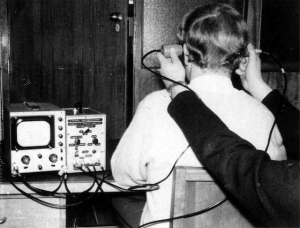 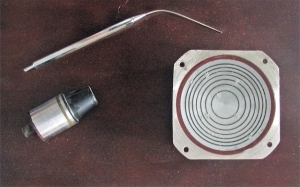 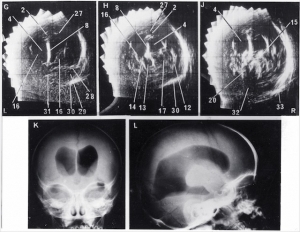 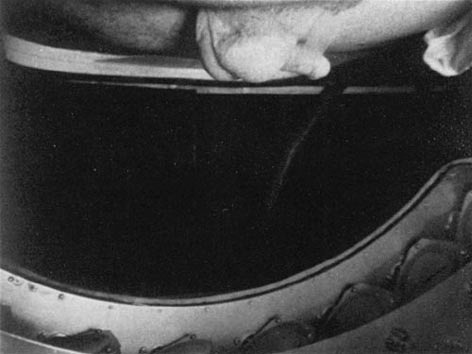 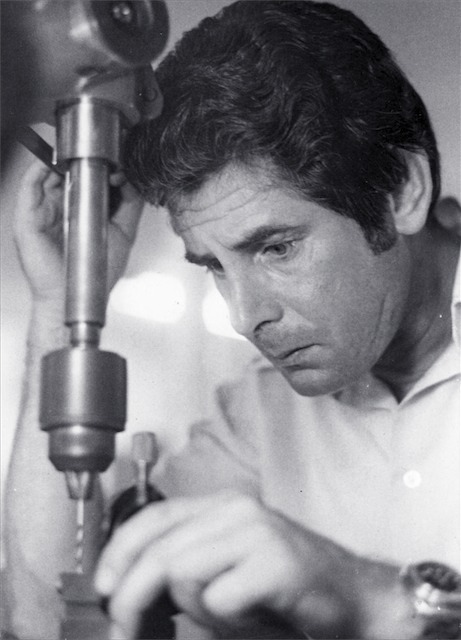 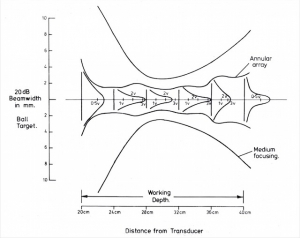 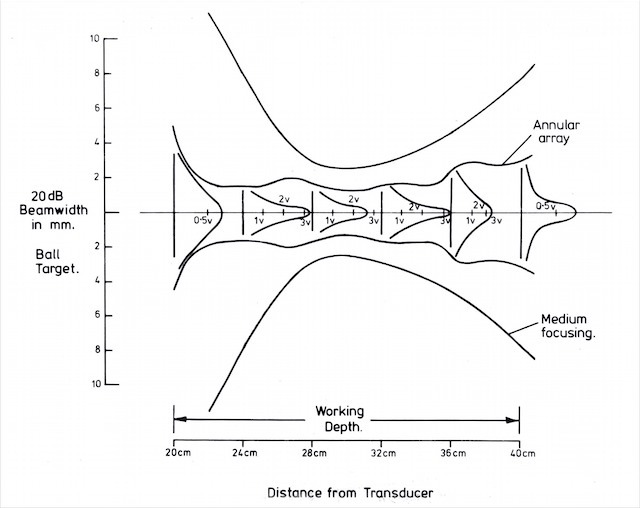 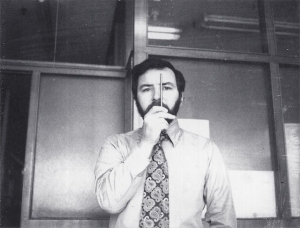 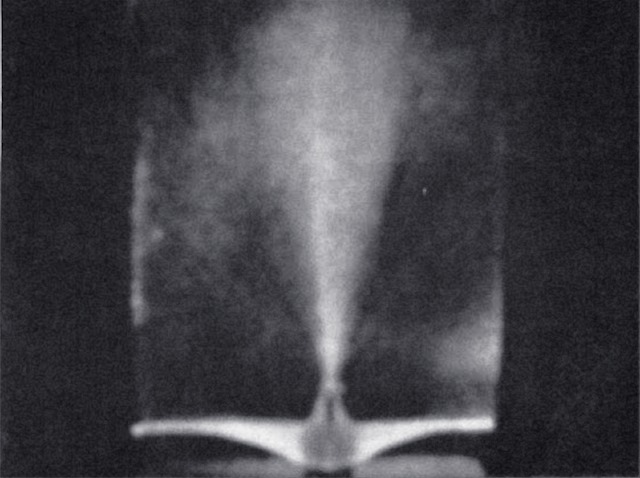 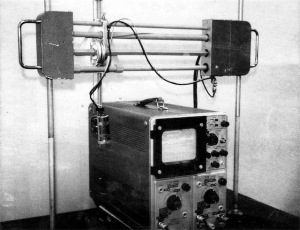 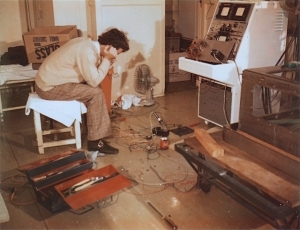 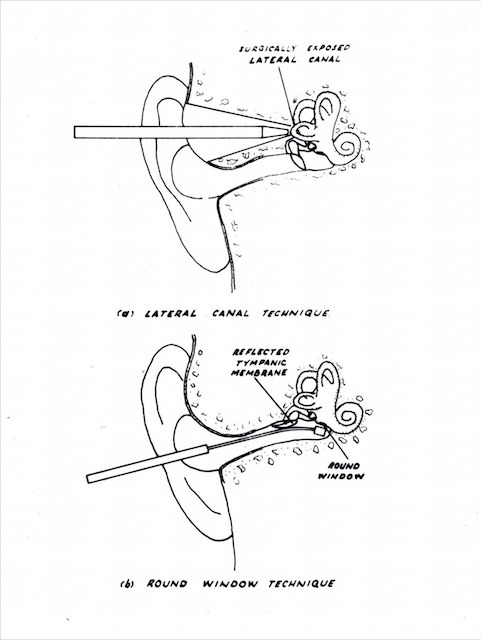 An Historical Review of Ultrasonic Investigations at the National Acoustic Laboratories, George Kossoff, Journal of Clinical Ultrasound 1975; 3(1): 39-43. 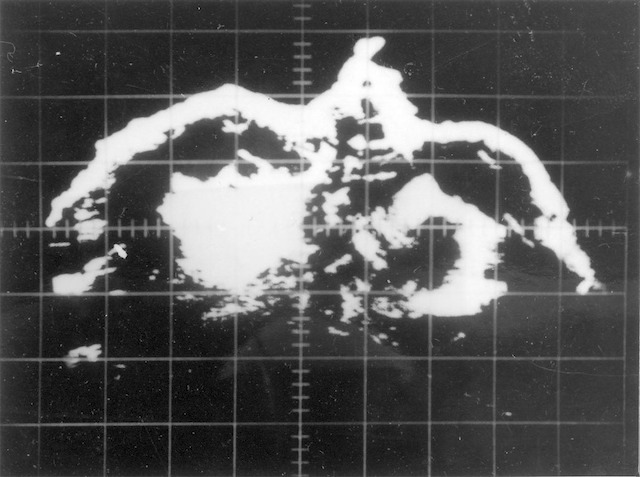 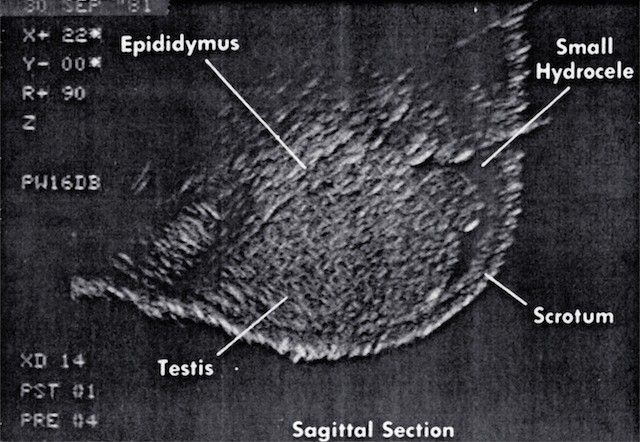 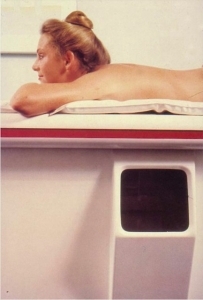 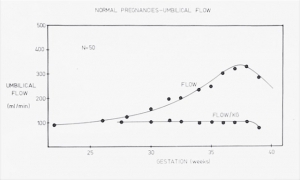 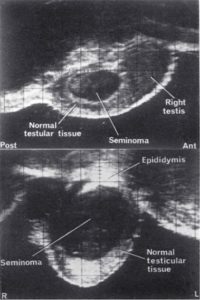 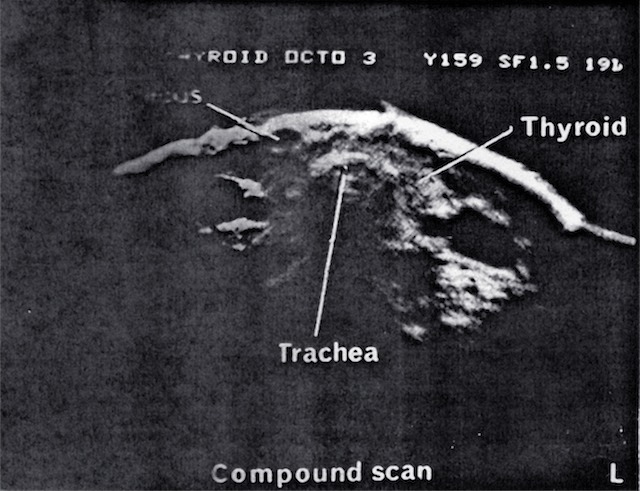 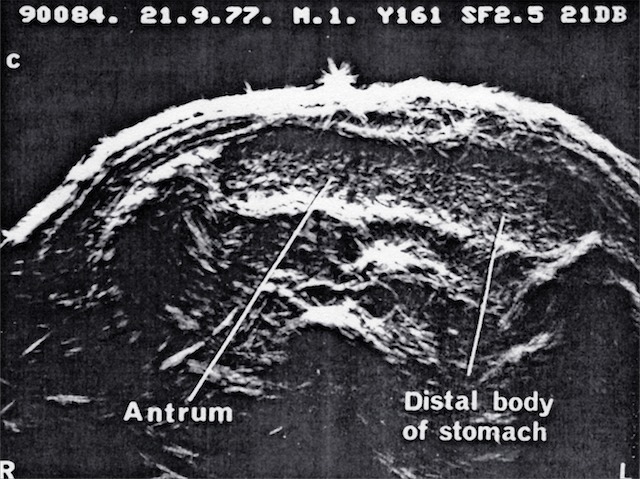 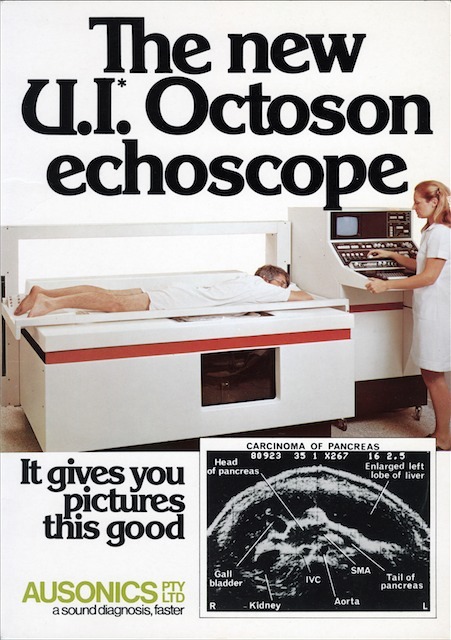 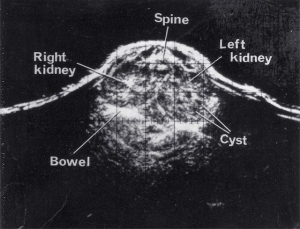 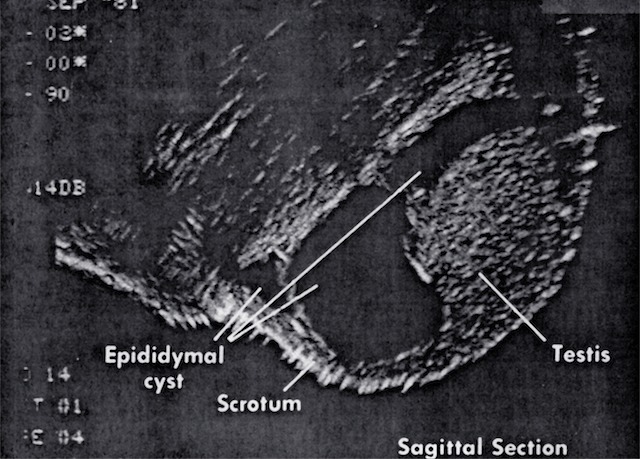 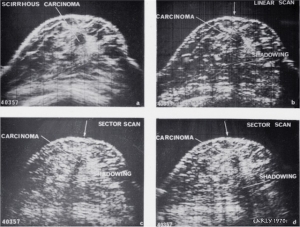 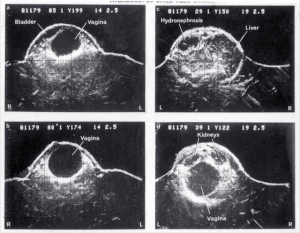 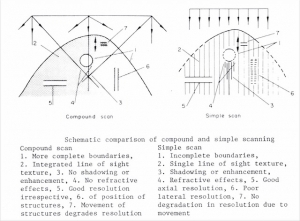 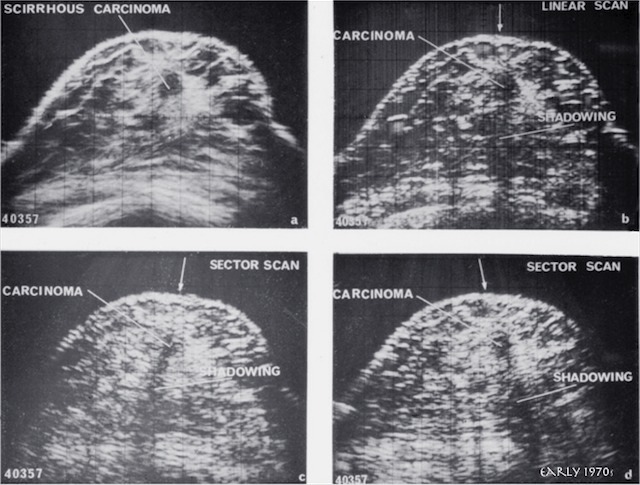 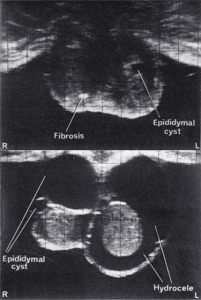 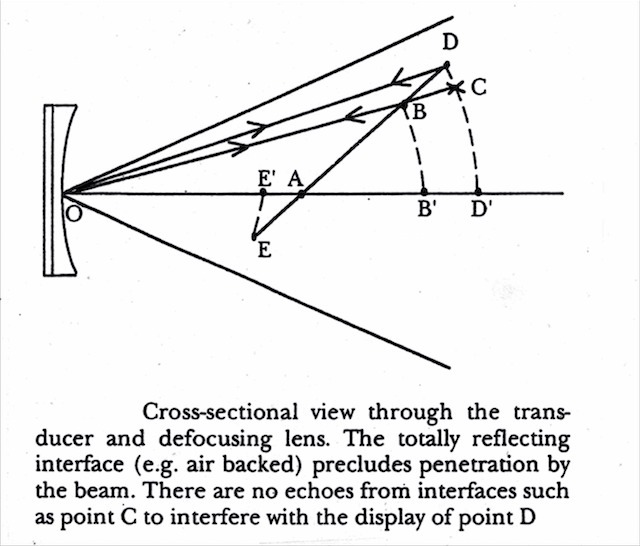 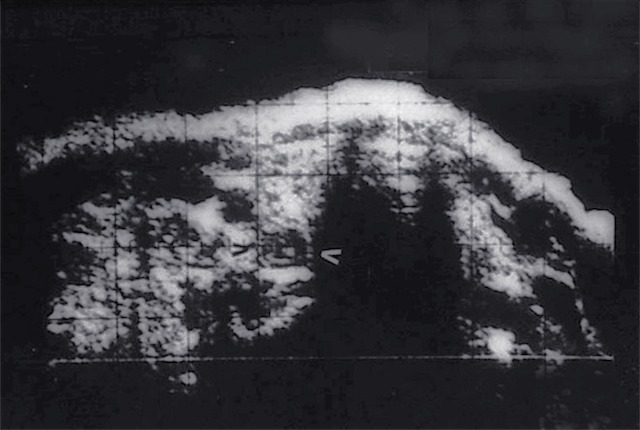 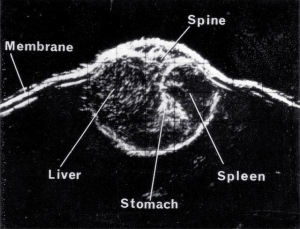 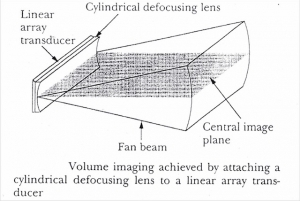 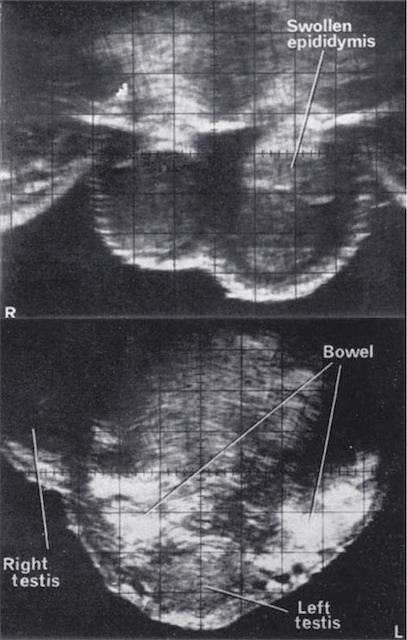 Diagnostic Ultrasound – The View from Down Under, George Kossoff, Journal of Clinical Ultrasound 1978; 6(3):144-149. 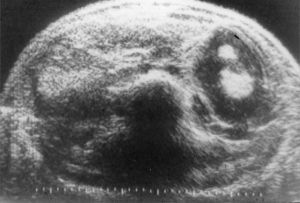 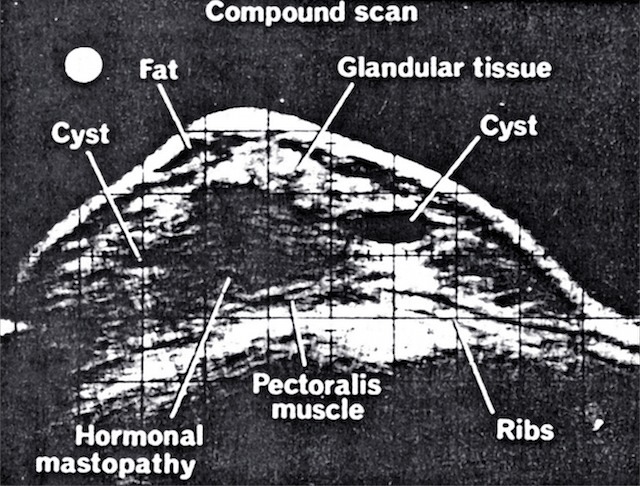 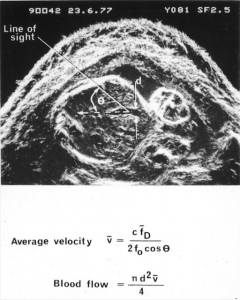 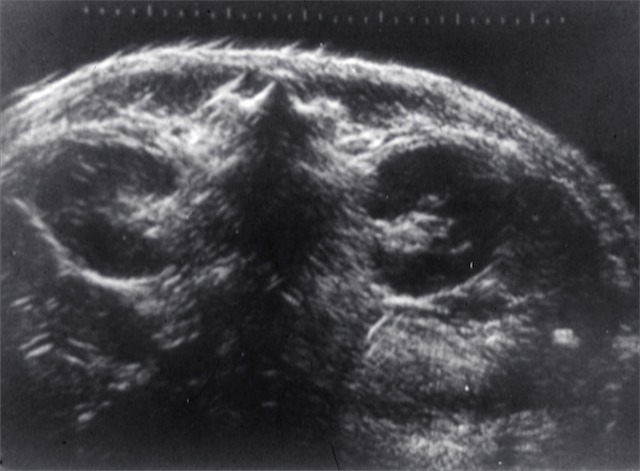 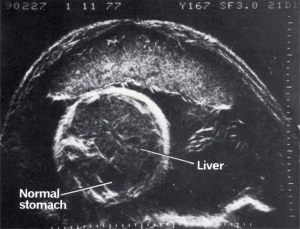 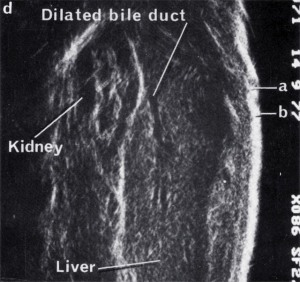 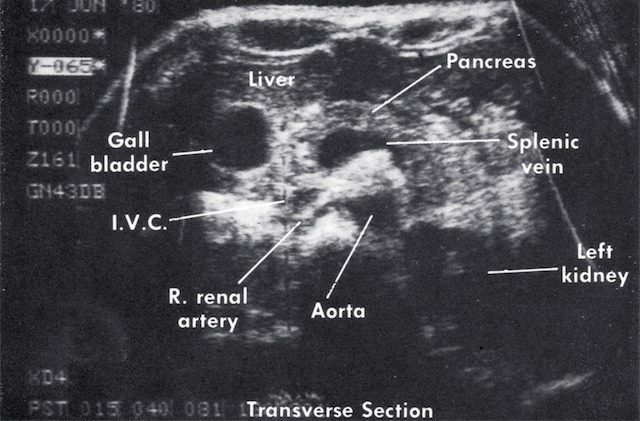 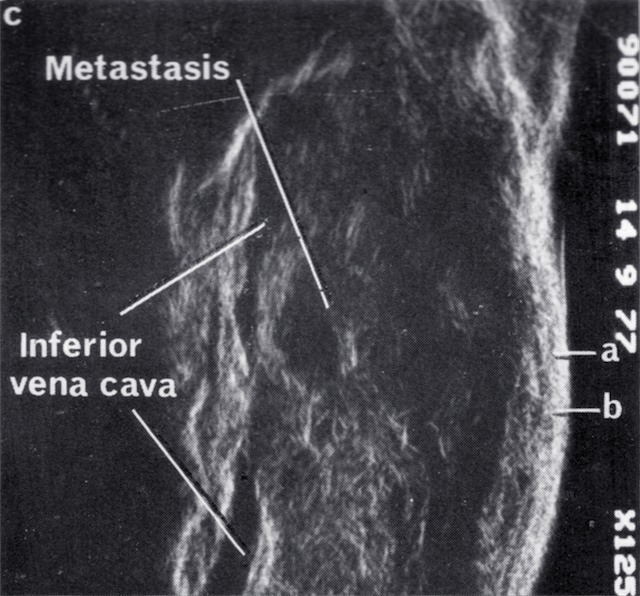 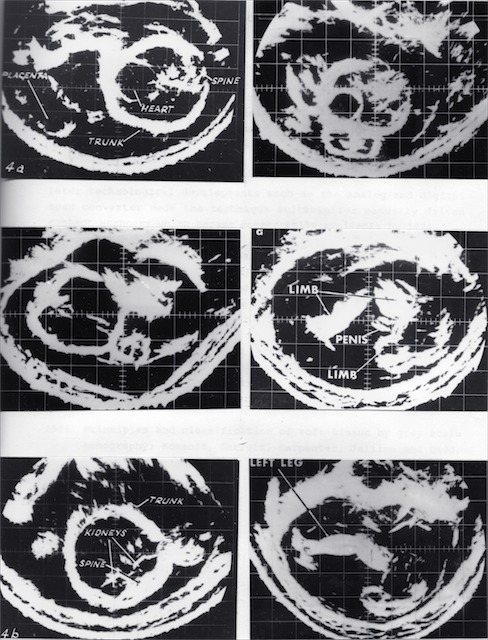 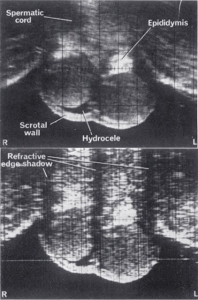 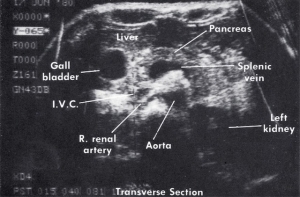 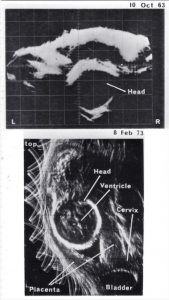 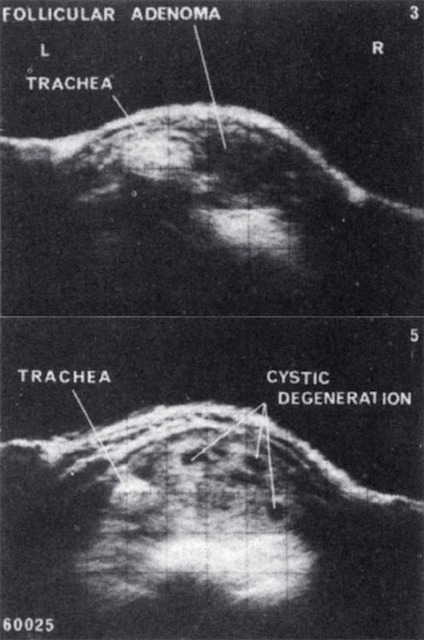 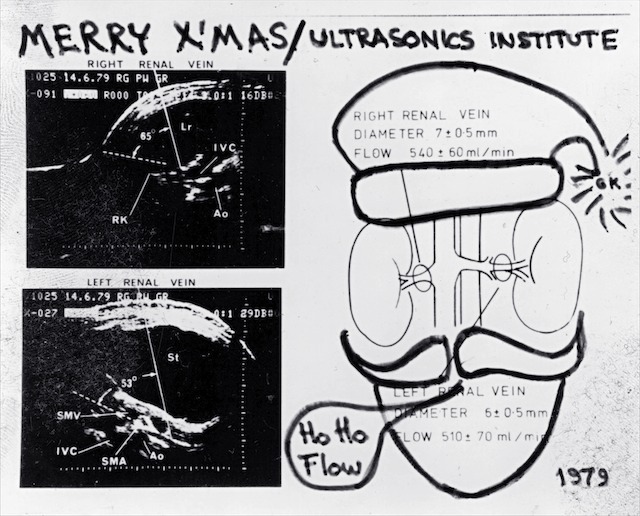 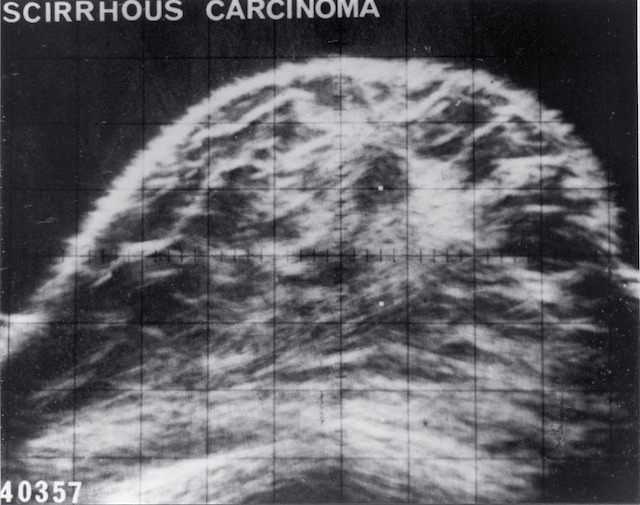 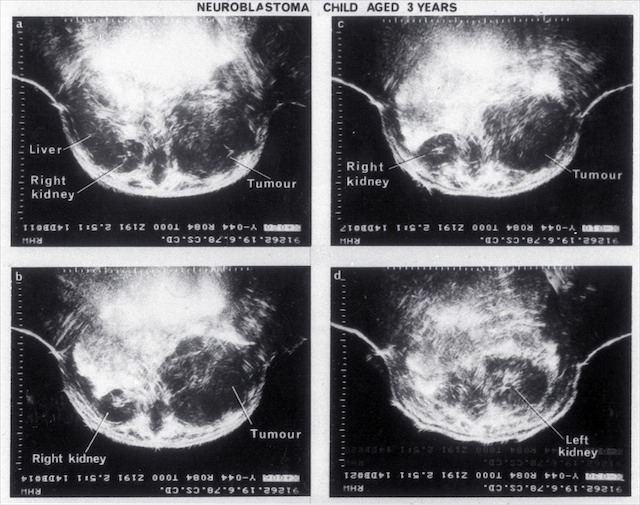 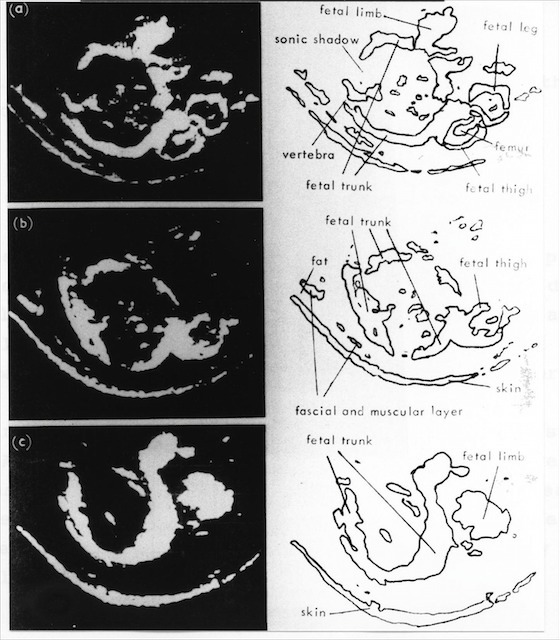 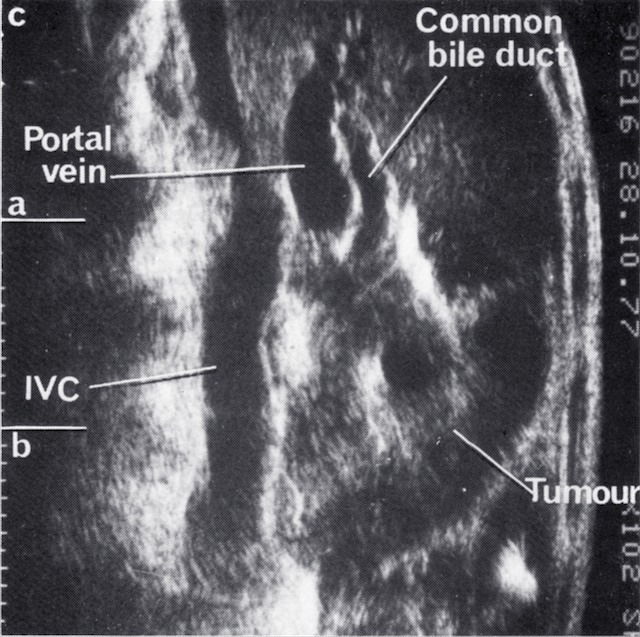 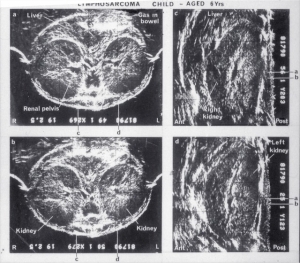 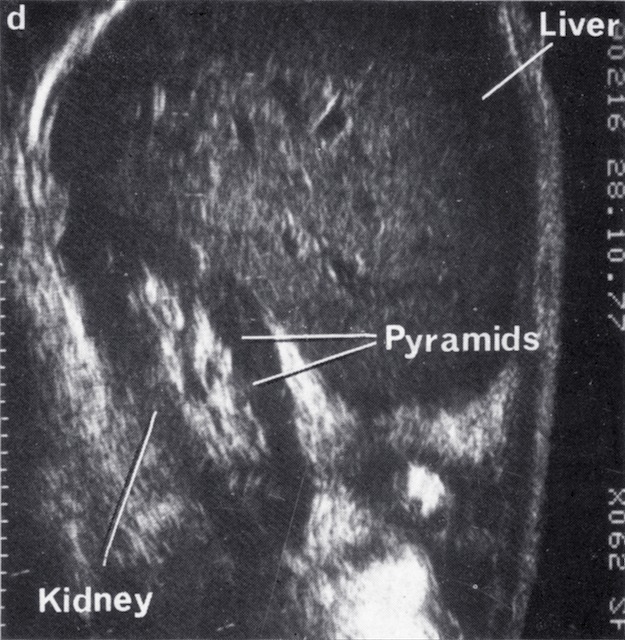 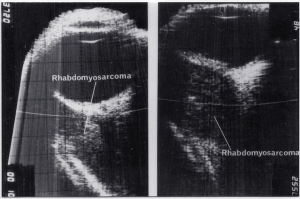 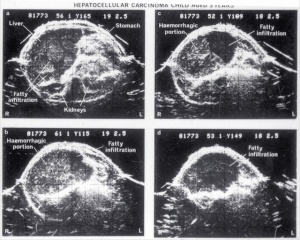 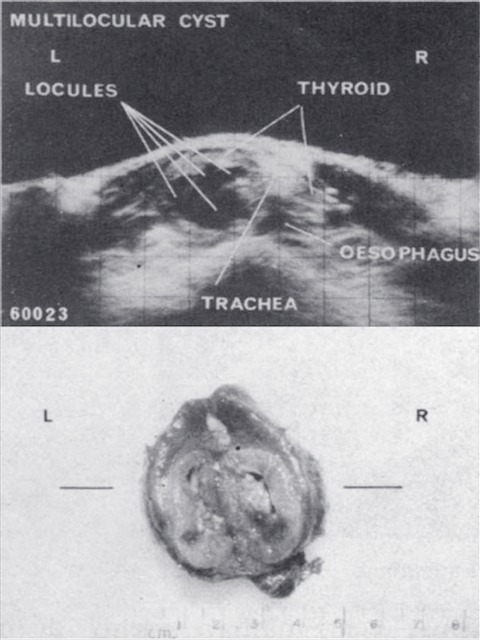 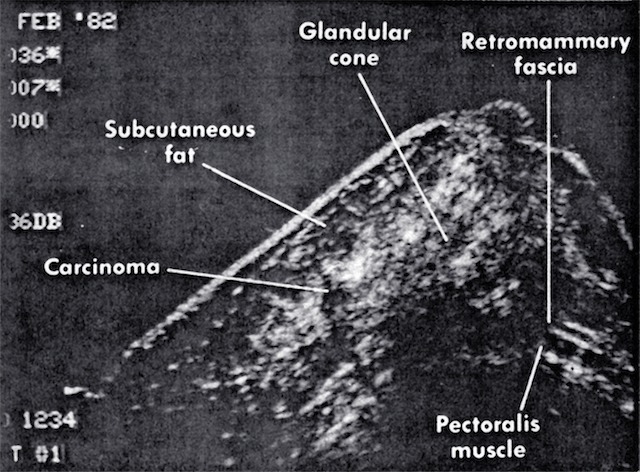 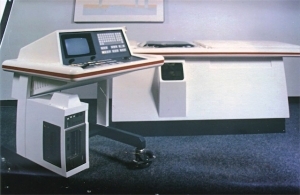 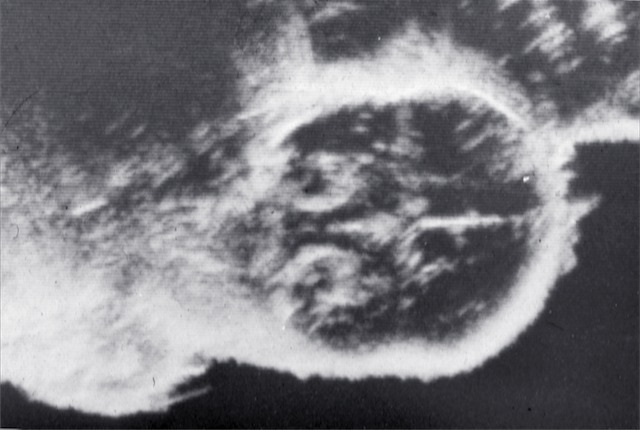 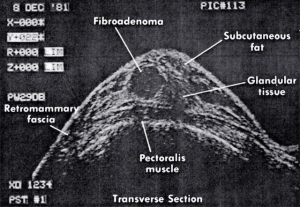 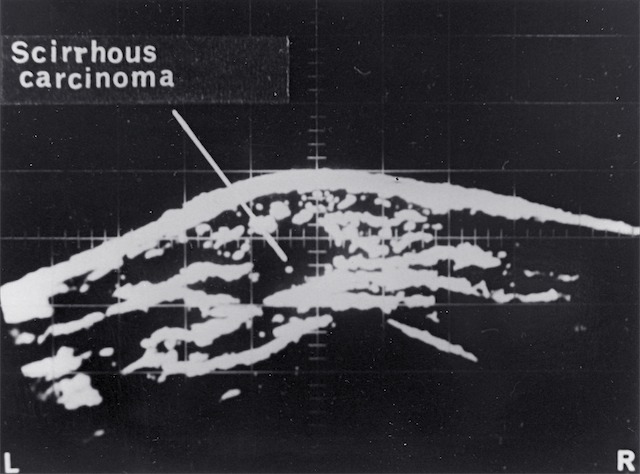 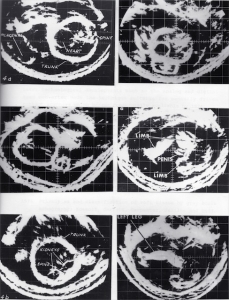 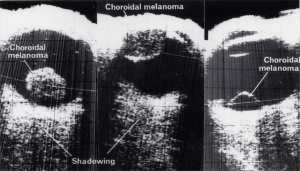 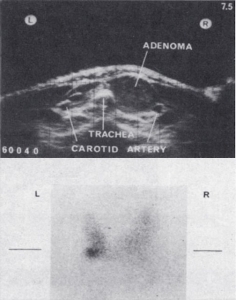 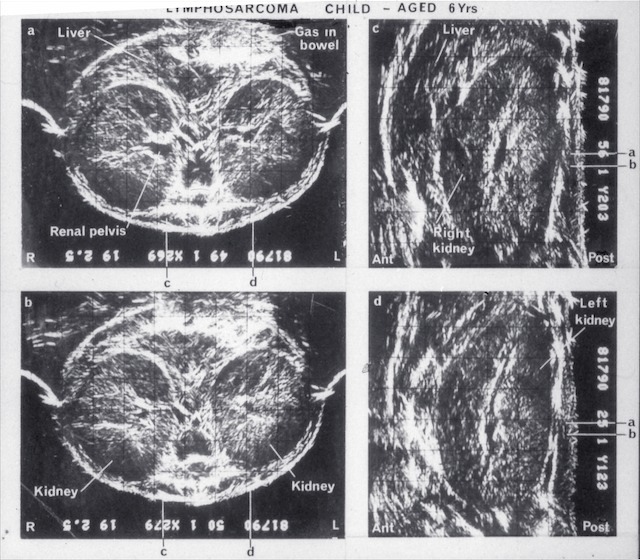 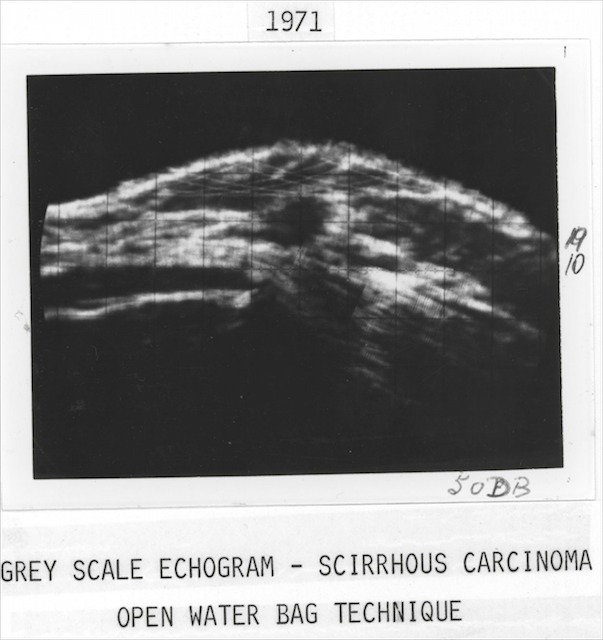 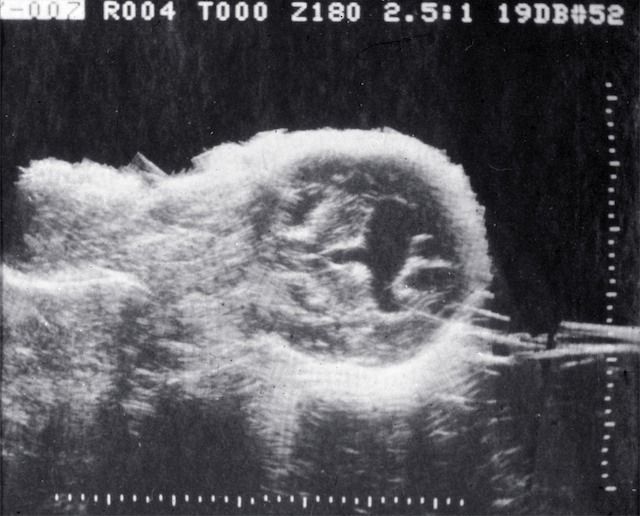 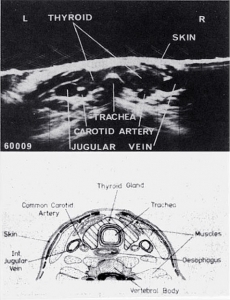 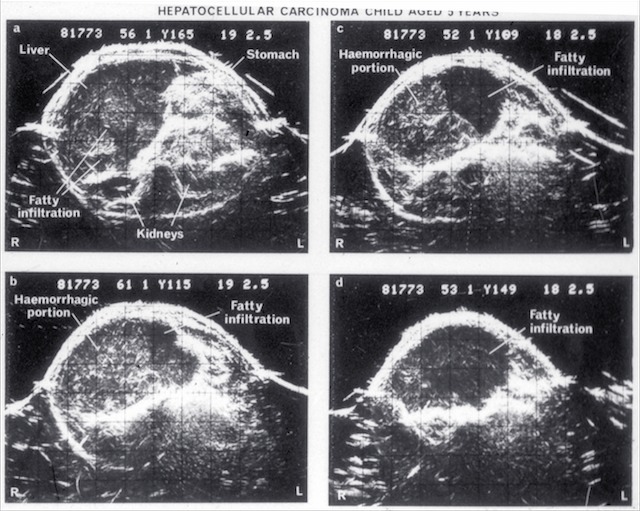 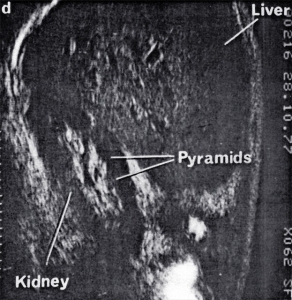 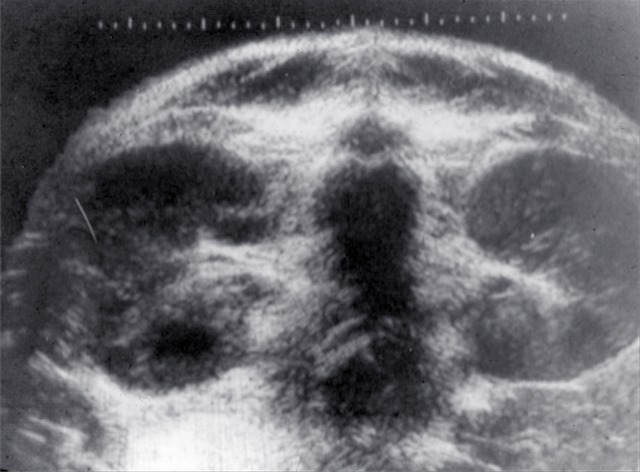 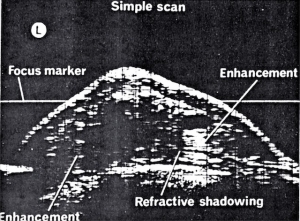 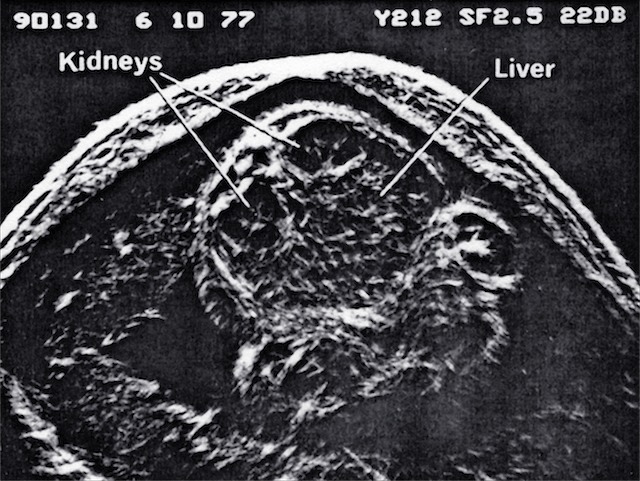 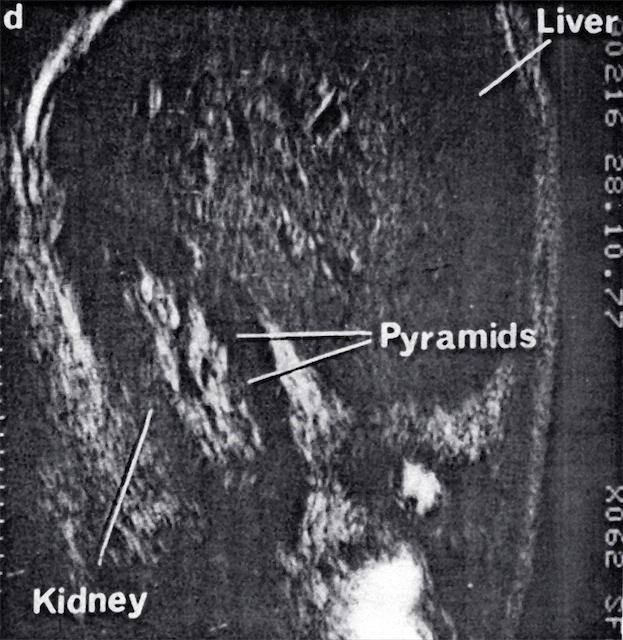 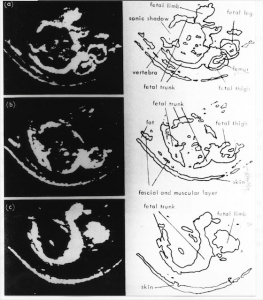 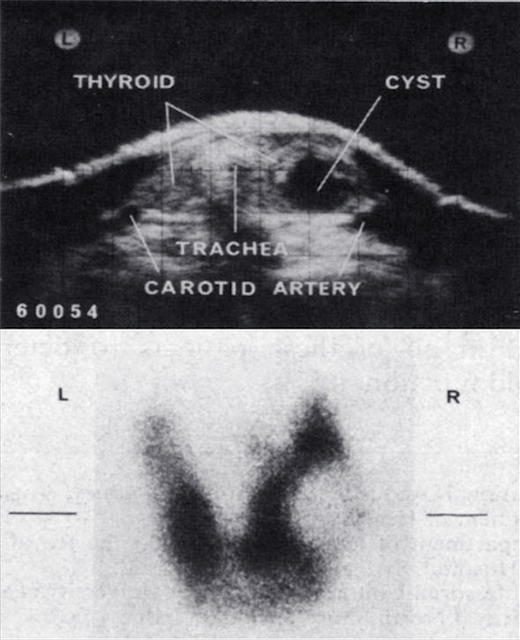 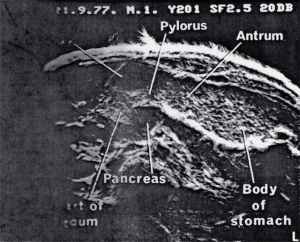 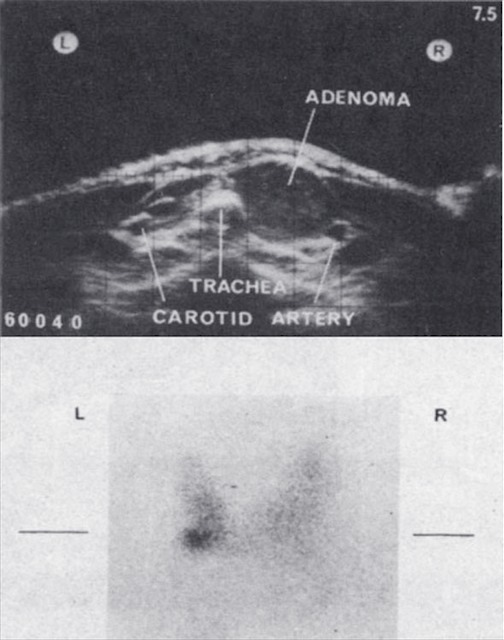 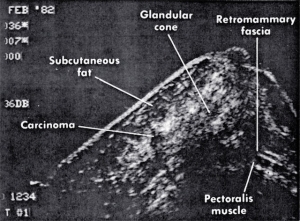 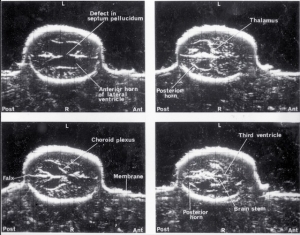 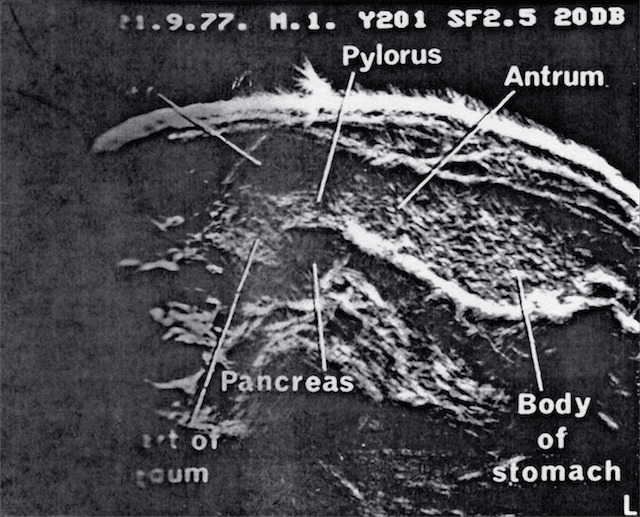 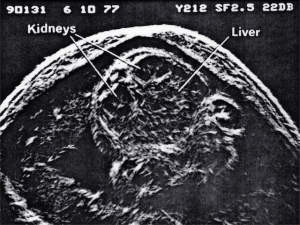 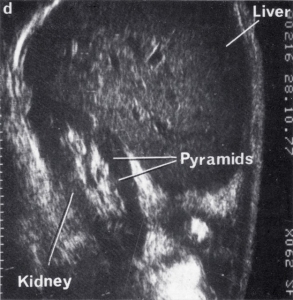 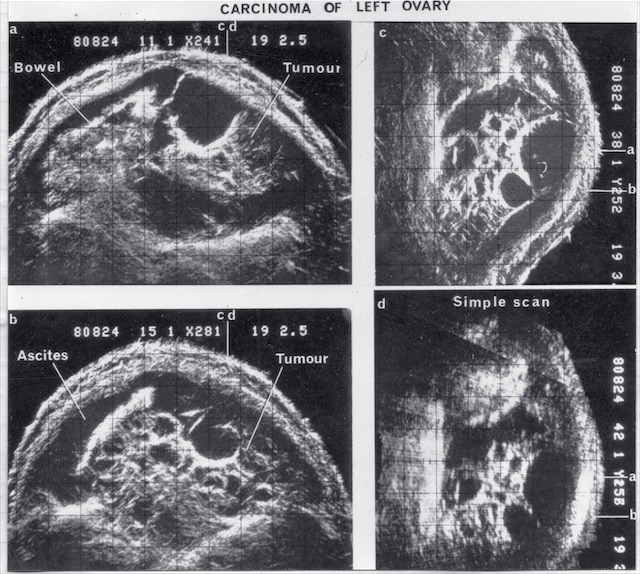 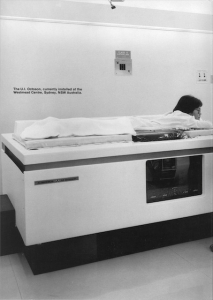 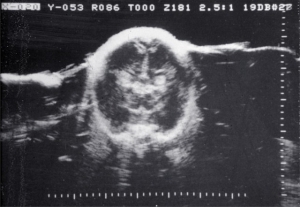 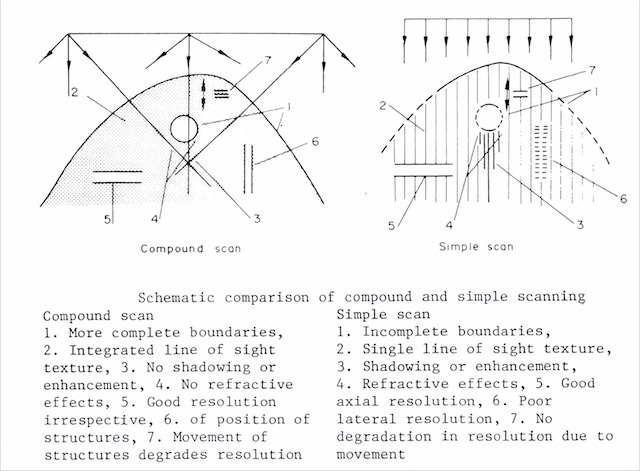 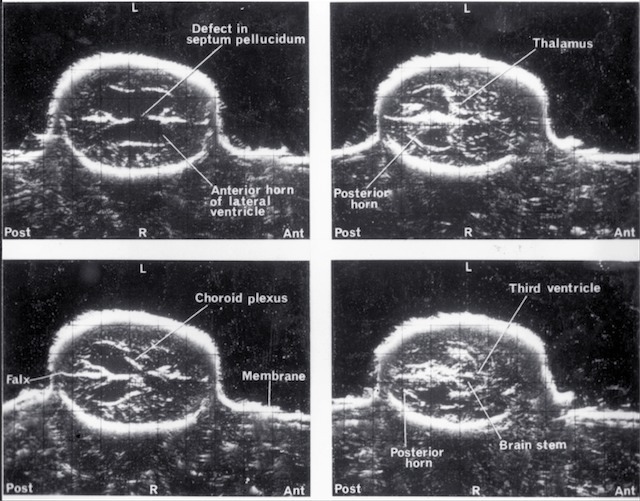 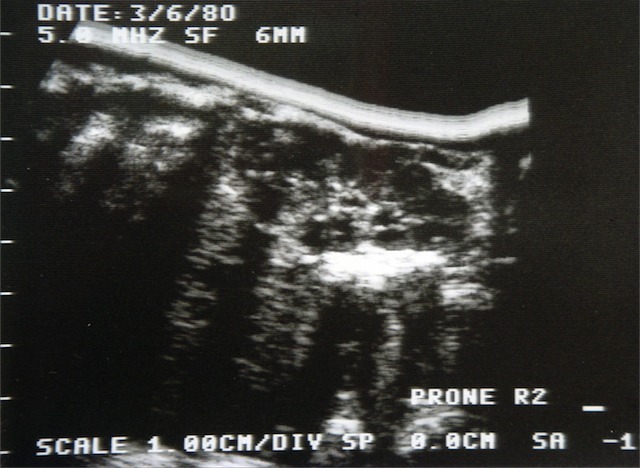 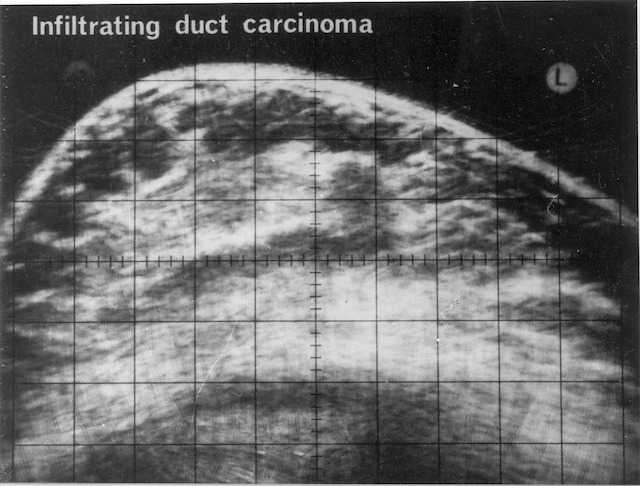 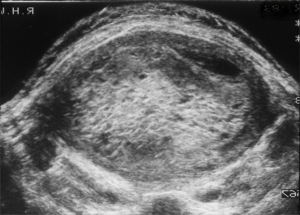 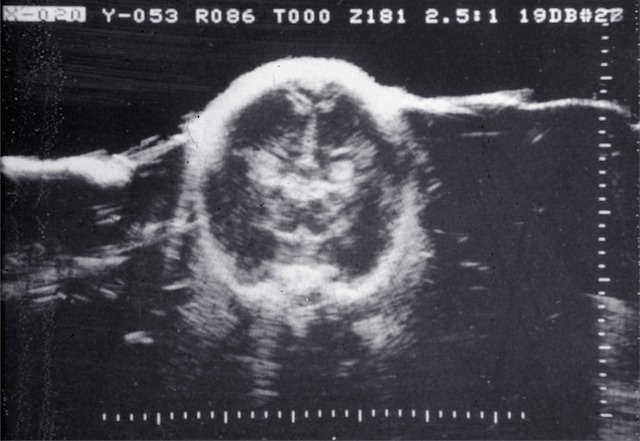 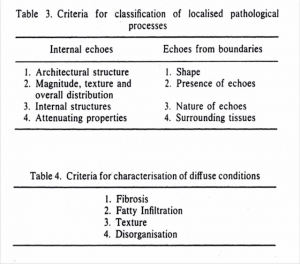 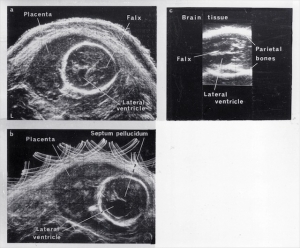 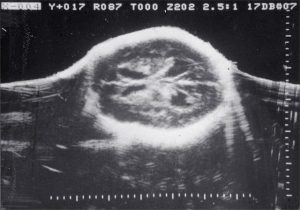 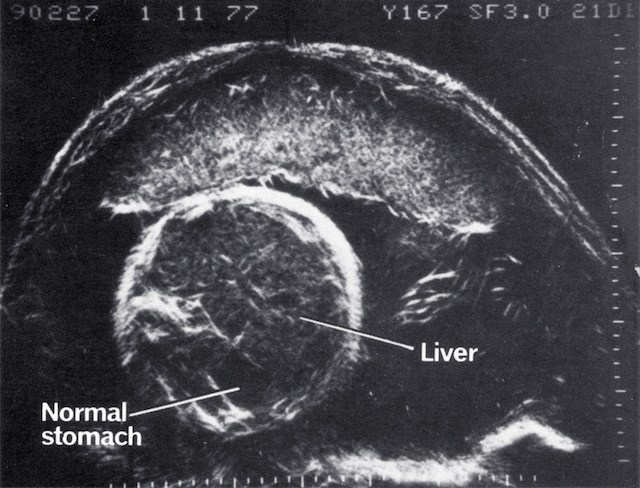 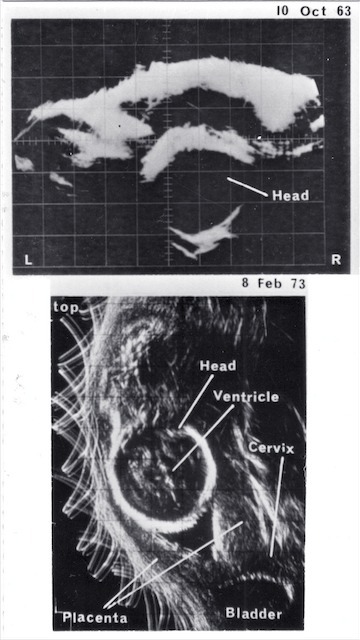 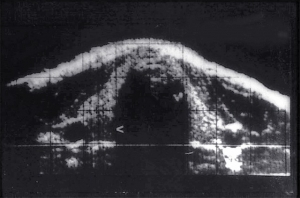 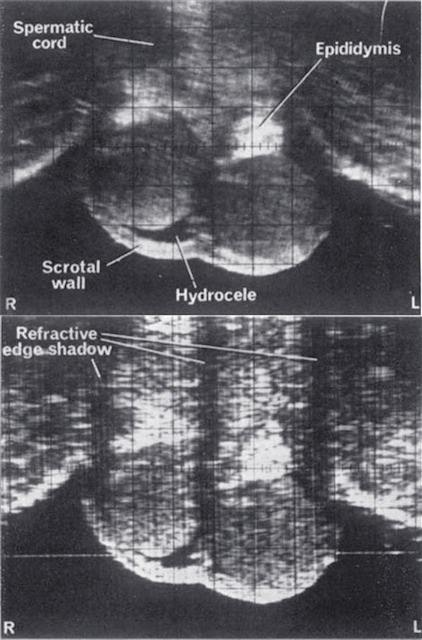 Diagnostic Ultrasound, Peter Verco, Australasian Radiology 1981; 25th Anniversary Issue 115-123. 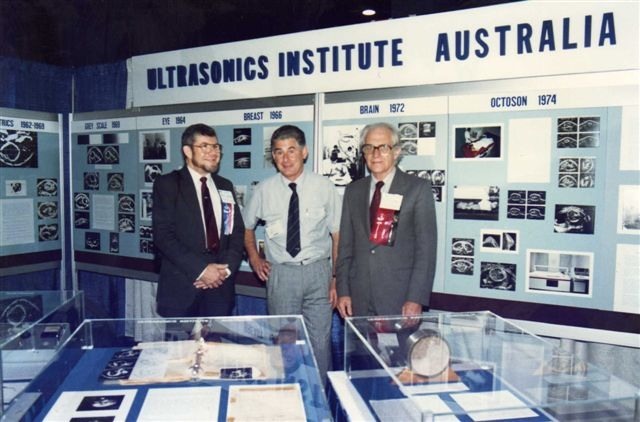 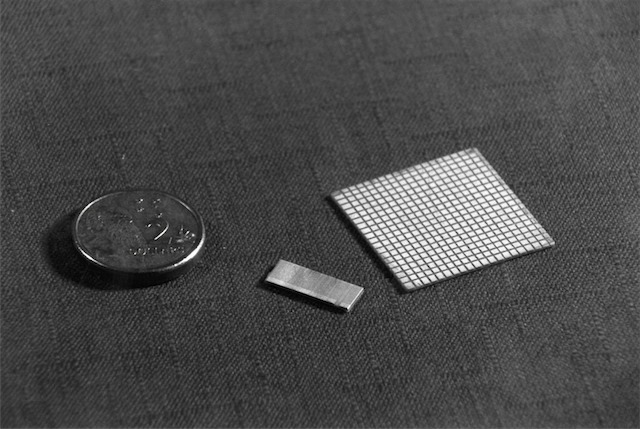 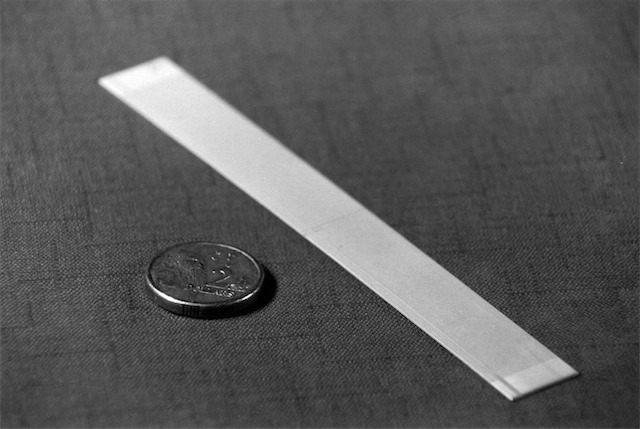 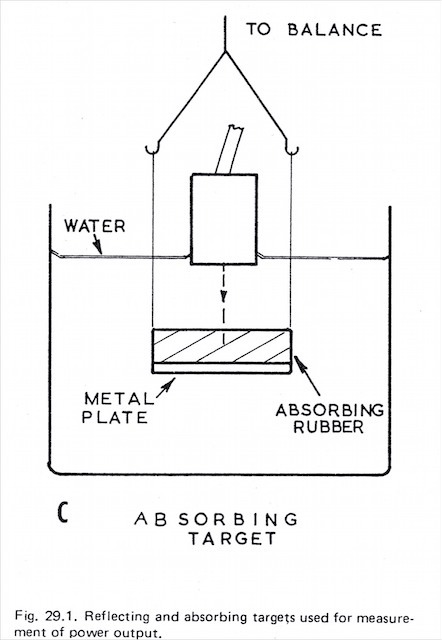 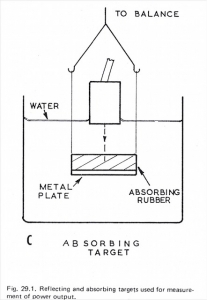 Ultrasonics Research in Australia, David Robinson, Journal of Electrical and Electronics Engineering, Australia 1984; 4(2) 126-132. 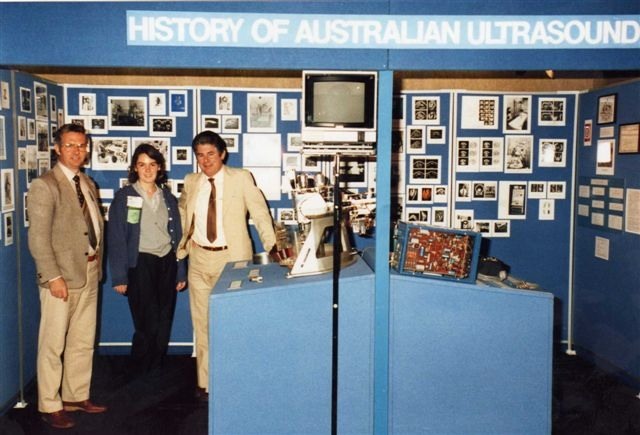 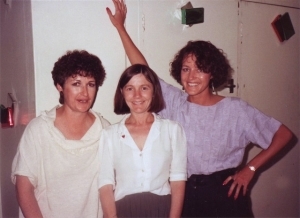 DMU – The First 10 years, Kaye Griffiths and Margaret Tabrett. 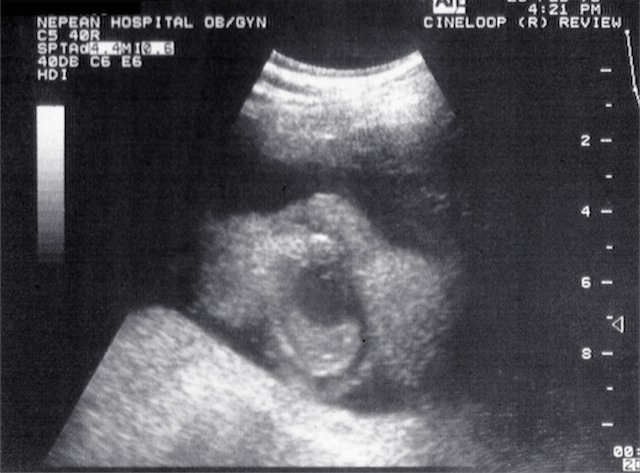 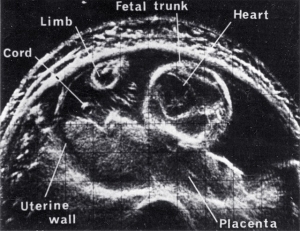 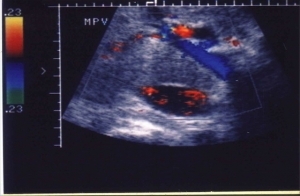 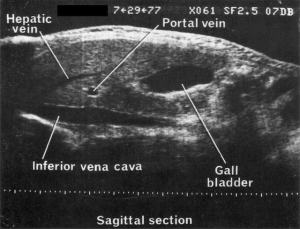 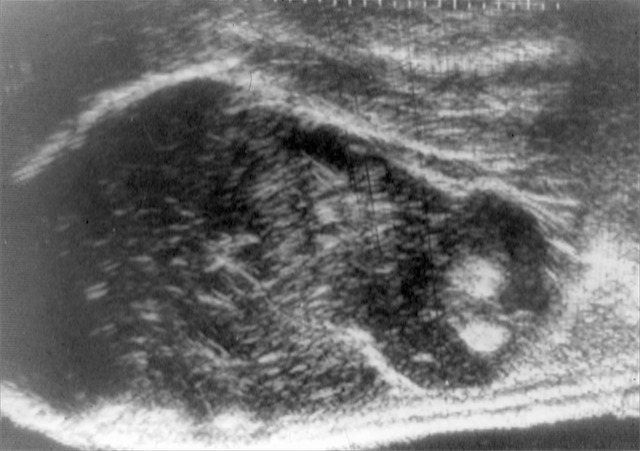 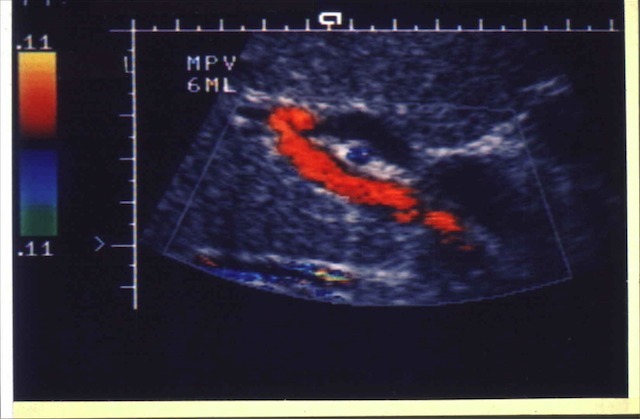 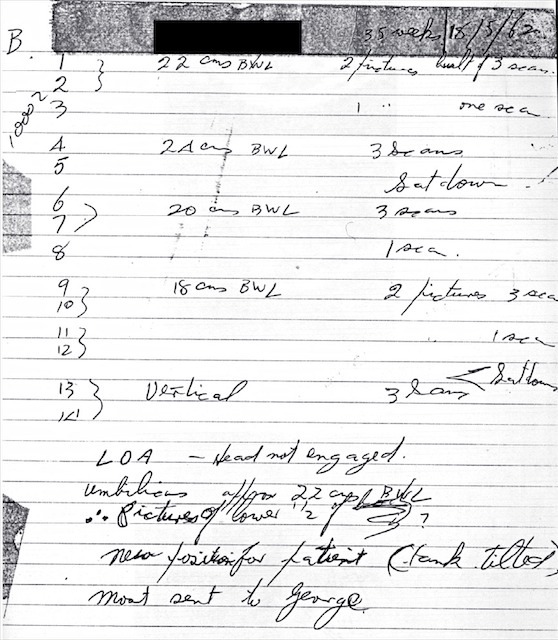 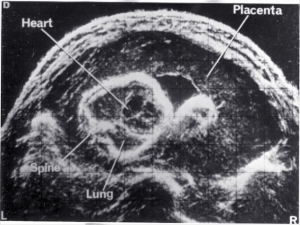 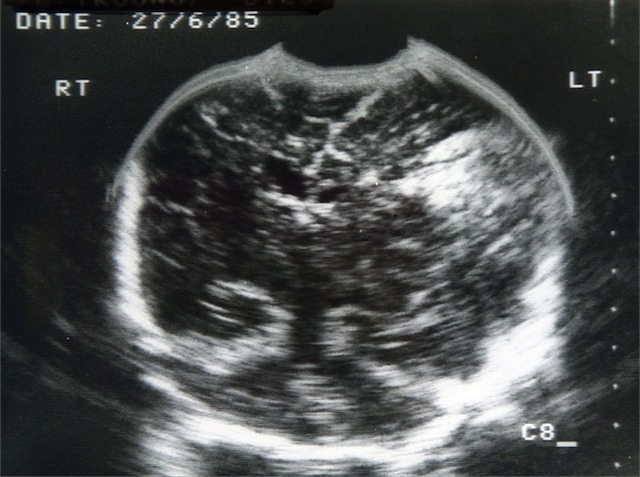 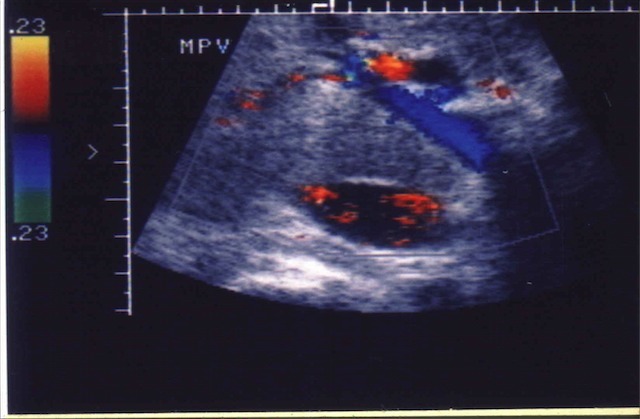 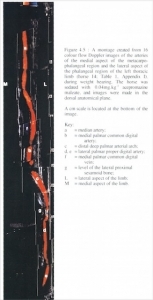 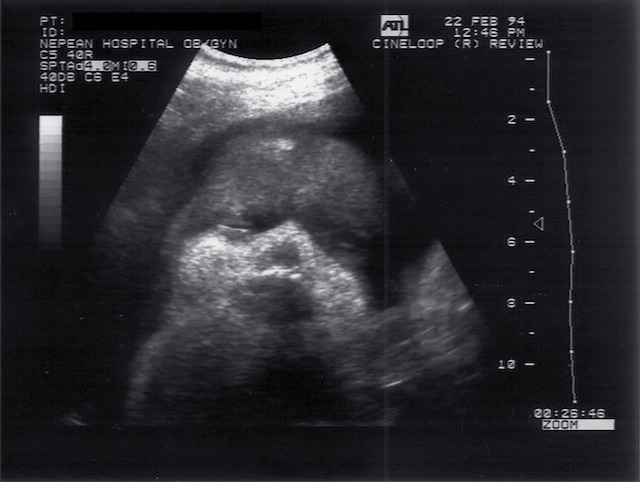 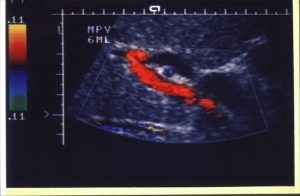 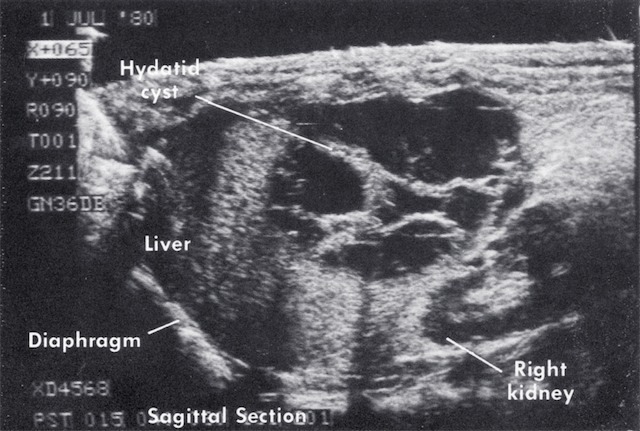 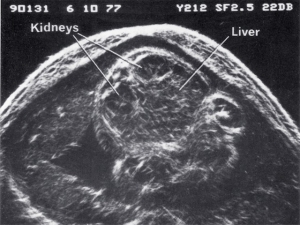 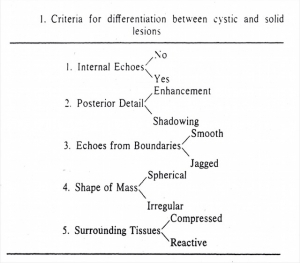 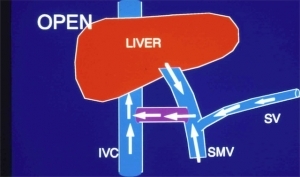 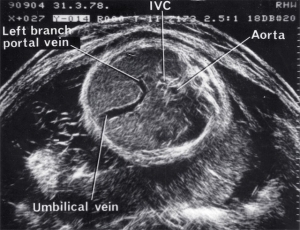 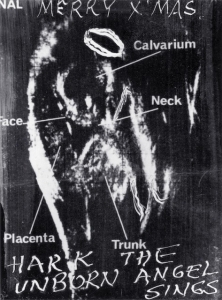 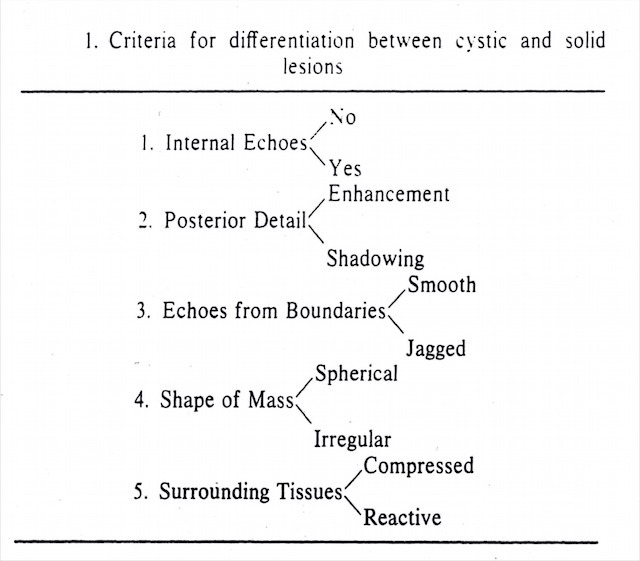 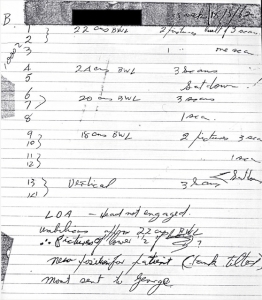 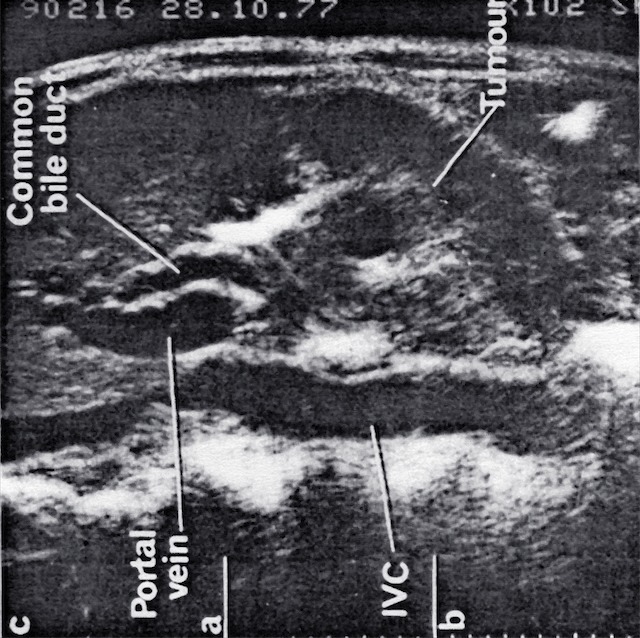 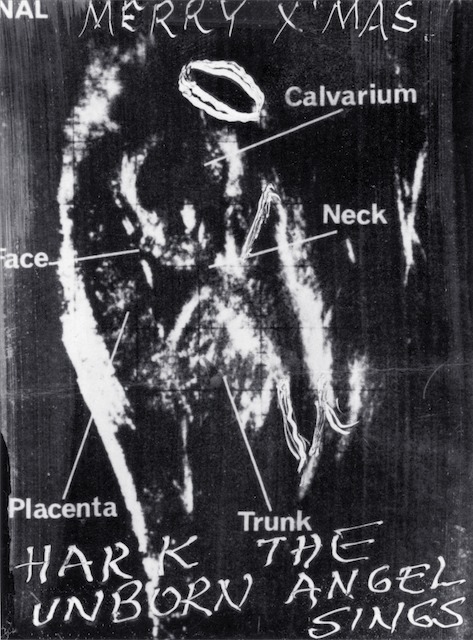 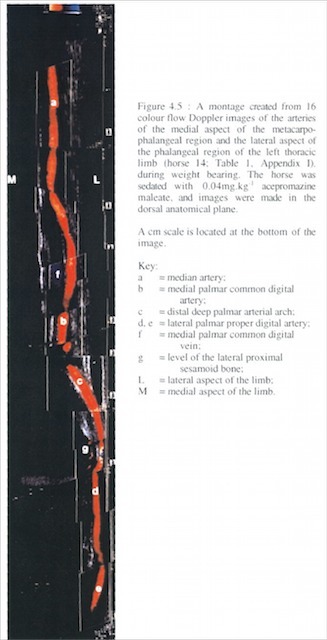 ASUM Ultrasound Bulletin February 1999; 2 (1). 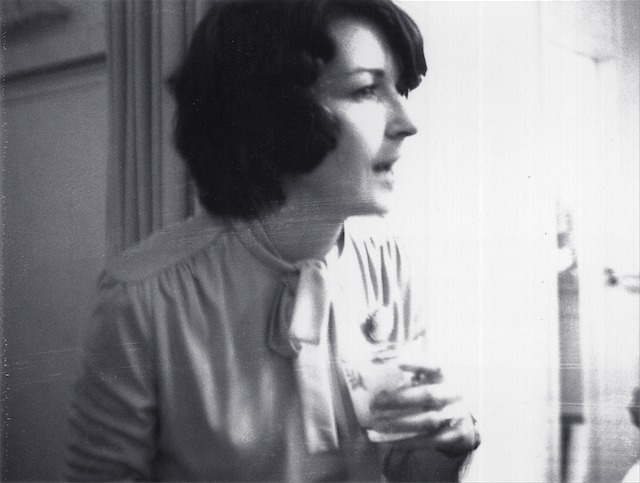 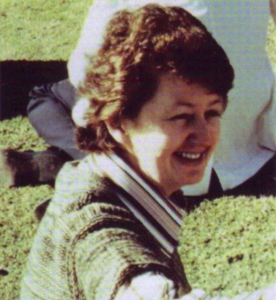 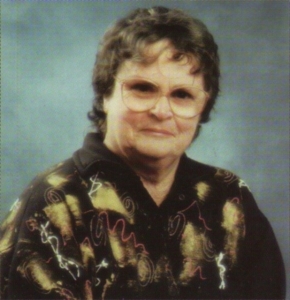 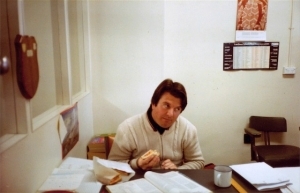 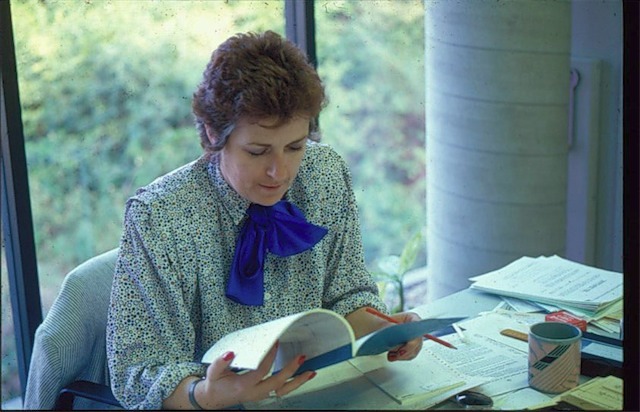 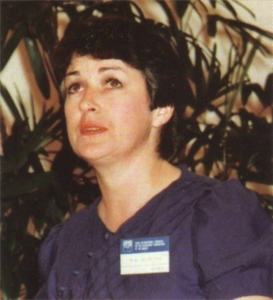 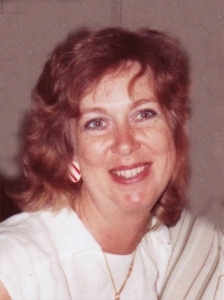 The Second Decade of the DMU 1989 – 1999, Jenny Mitchell. ASUM Ultrasound Bulletin May 1999; 2 (2). 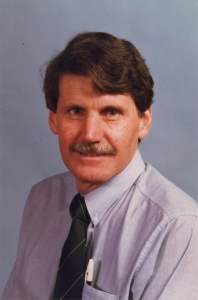 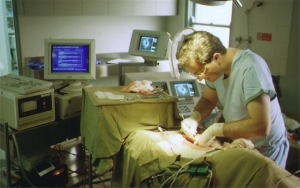 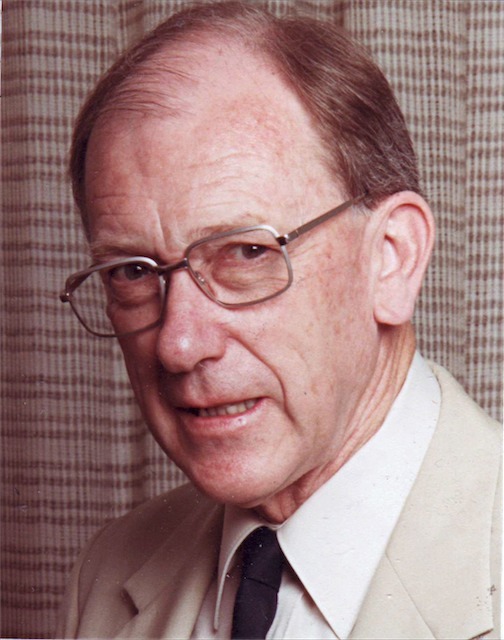 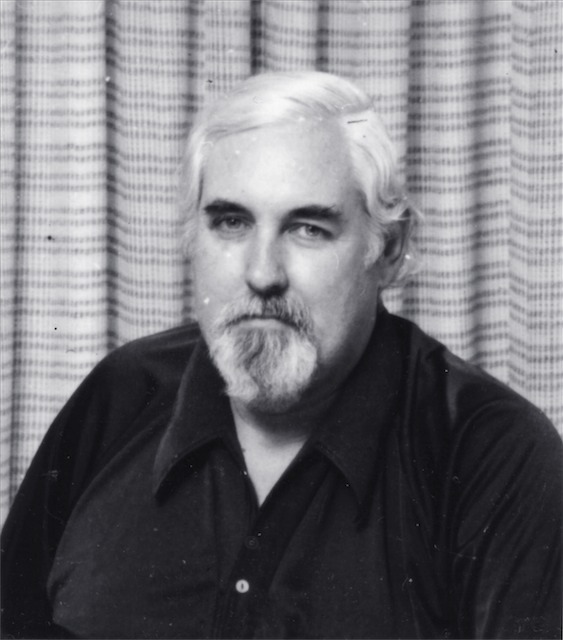 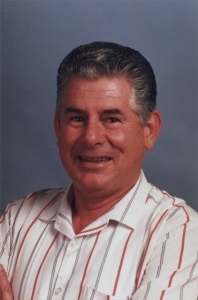 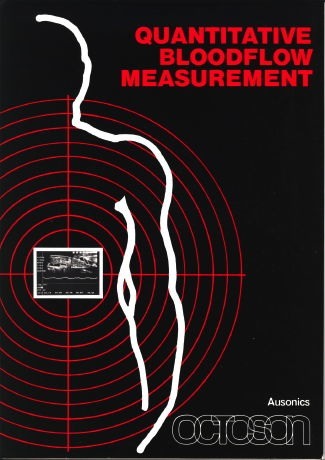 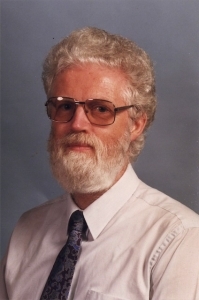 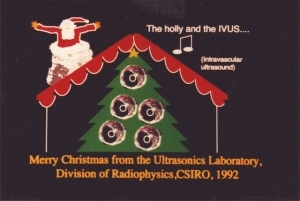 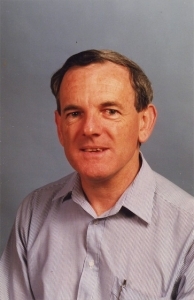 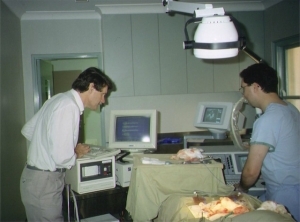 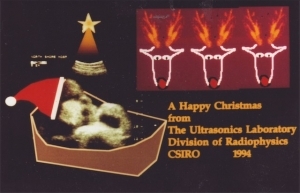 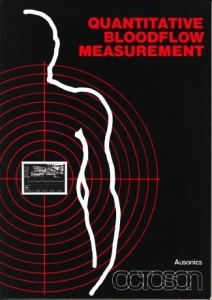 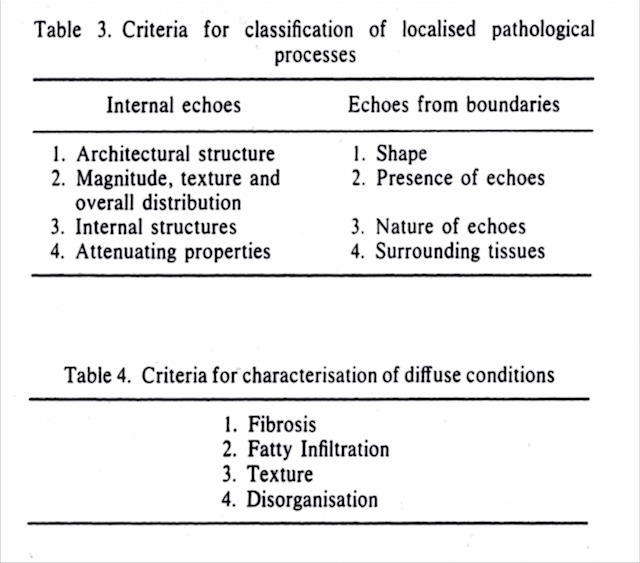 Australian Contributions to Medical Diagnostic Ultrasound, David Robinson, Acoustics Australia 2000; 28(3) 109-112. 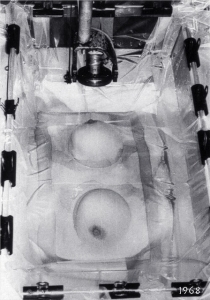 Personal History, George Kossoff and Stanley Barnett, Biological Effects of Ultrasound: Developments of Safety Guidelines Part 1: Personal Histories Ed Nyborg WL. 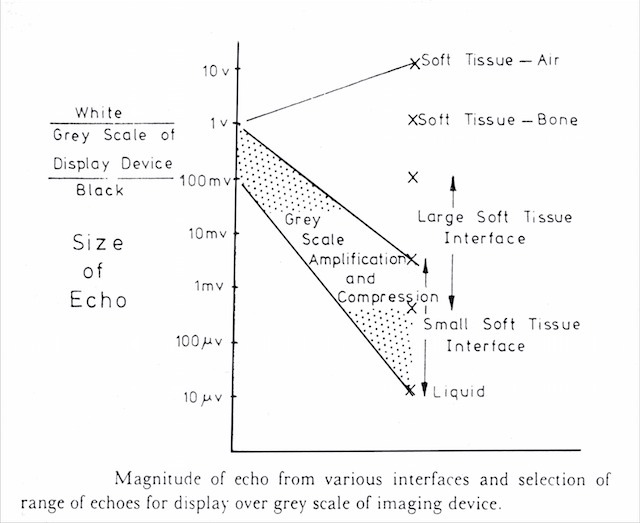 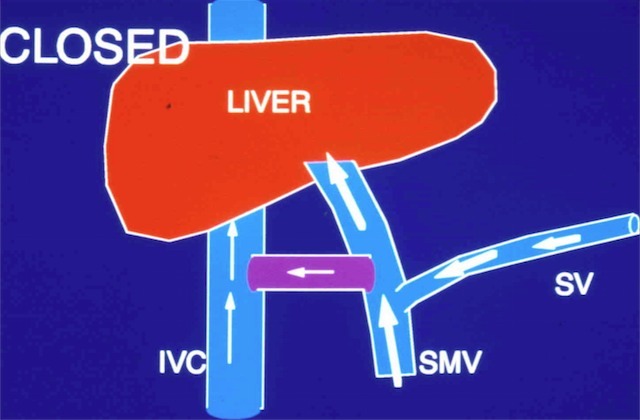 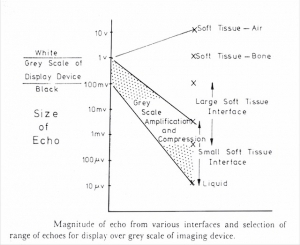 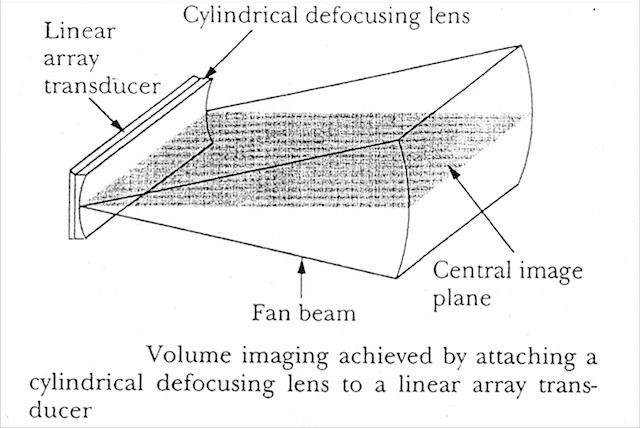 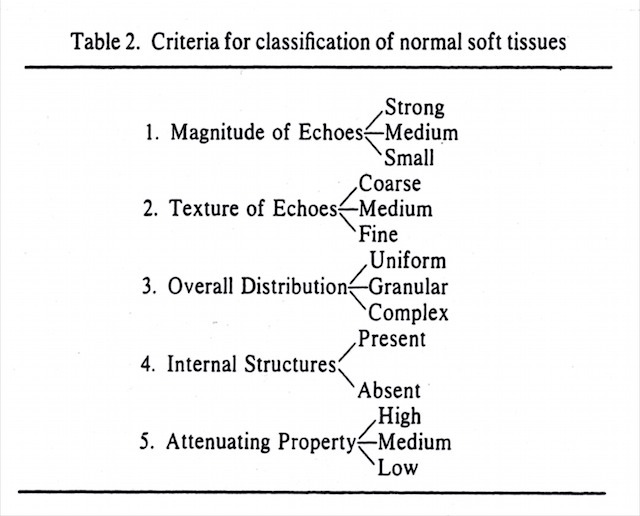 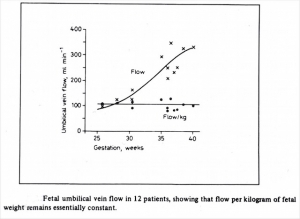 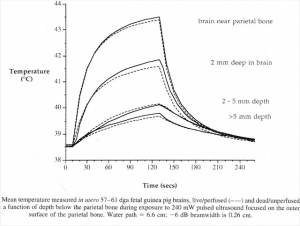 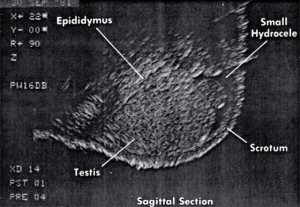 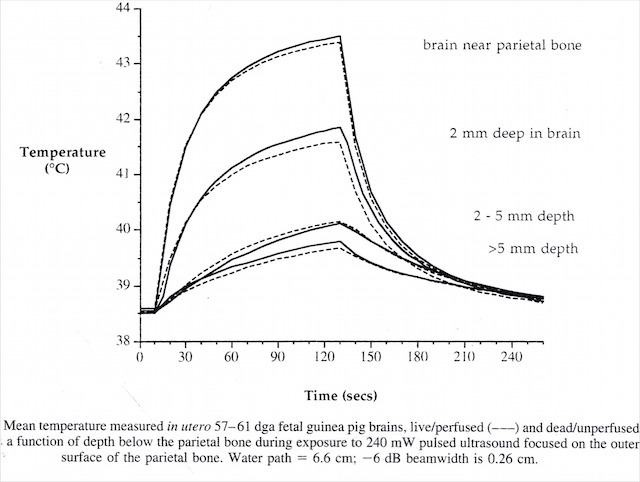 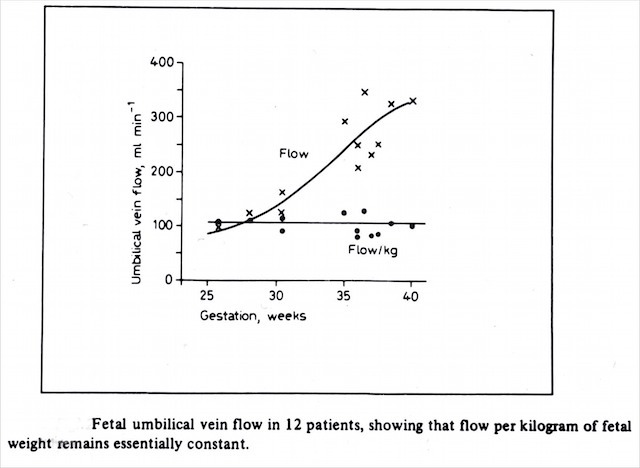 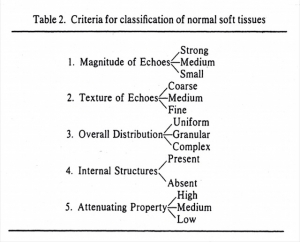 Ultrasound in Medicine & Biol., 2000; 26(6): 911-964. 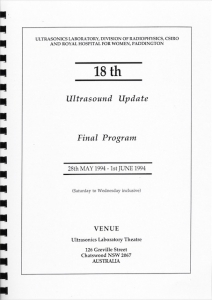 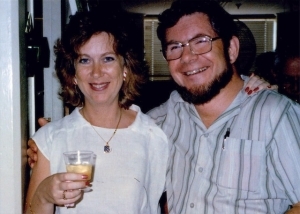 History of the Australasian Society for Ultrasound in Medicine, David Carpenter and Kaye Griffiths, ASUM Ultrasound Bulletin March 2003; 6 (1). 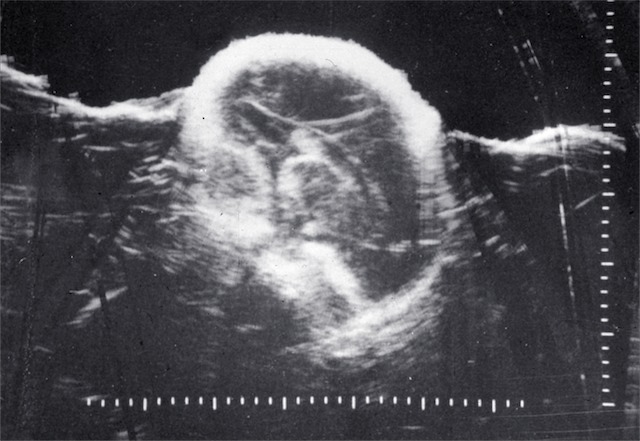 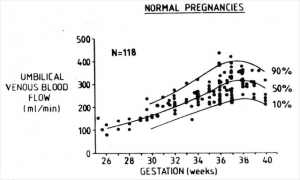 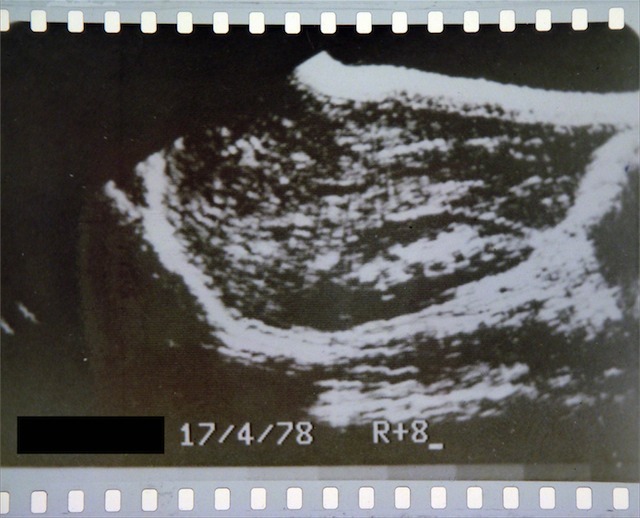 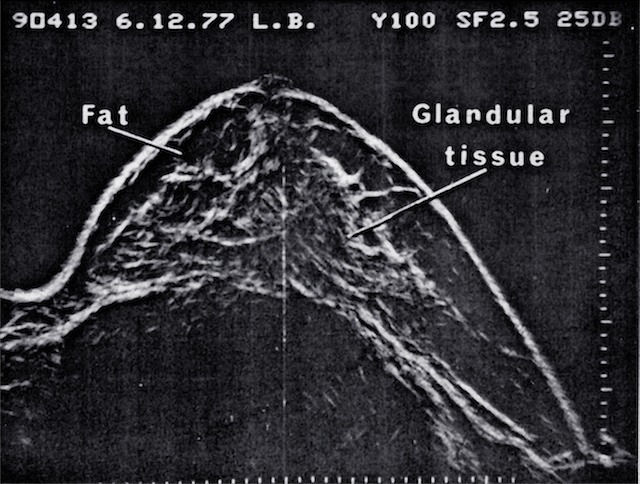 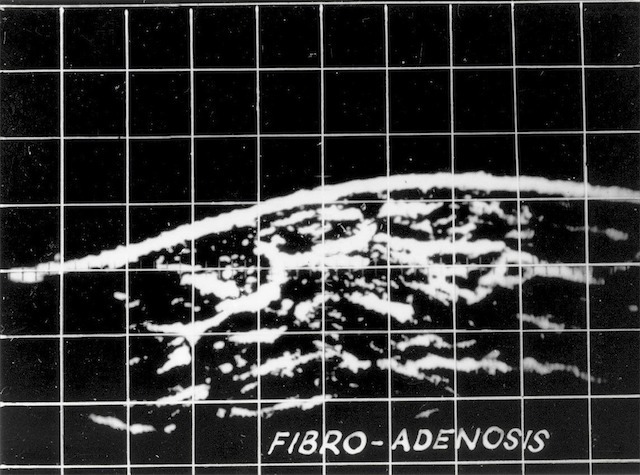 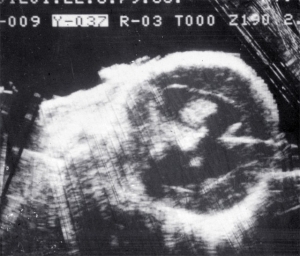 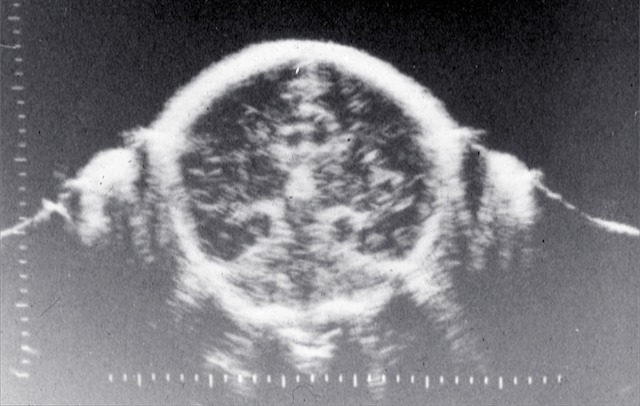 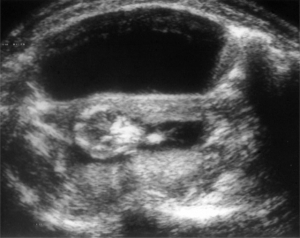 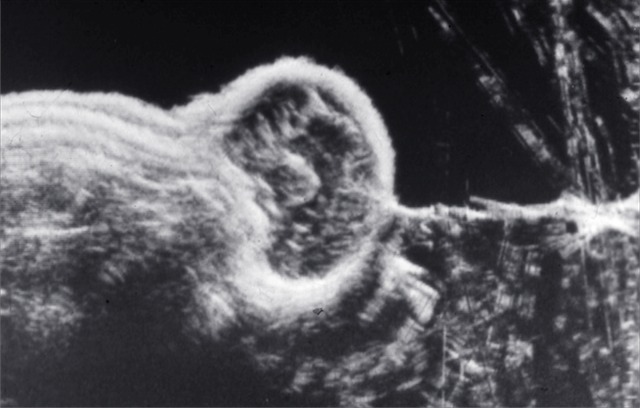 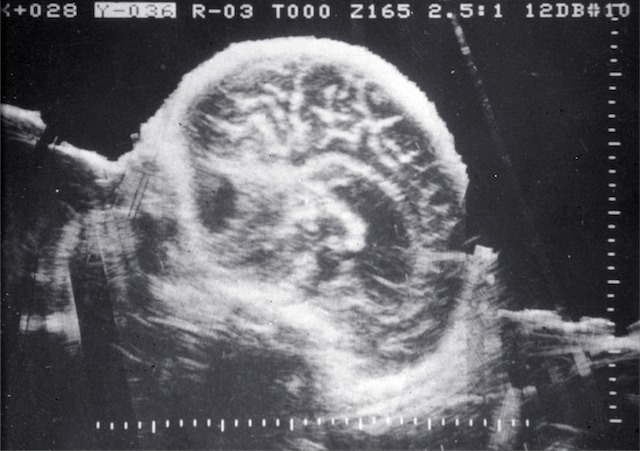 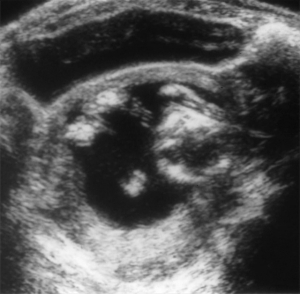 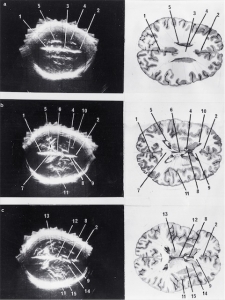 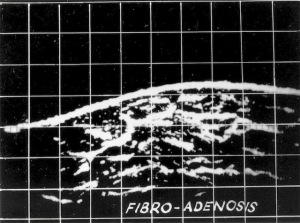 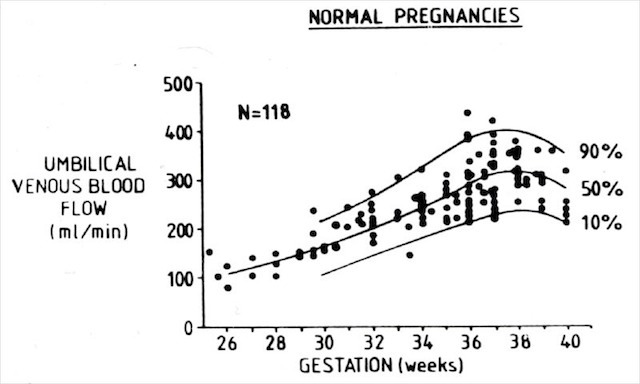 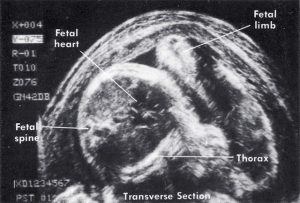 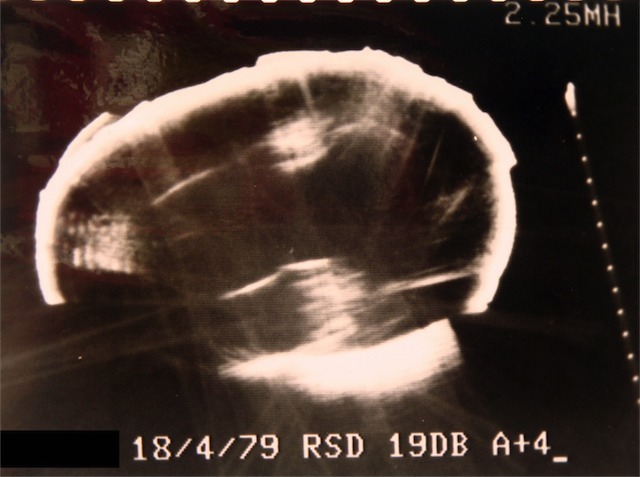 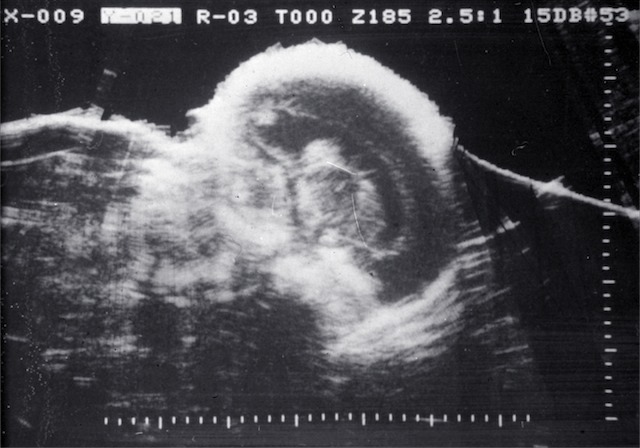 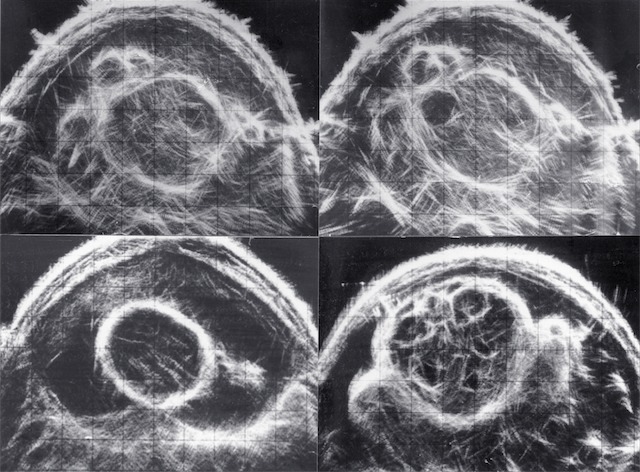 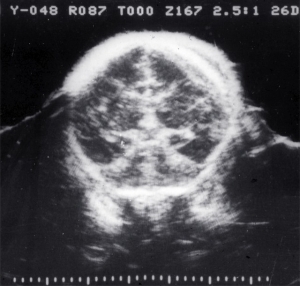 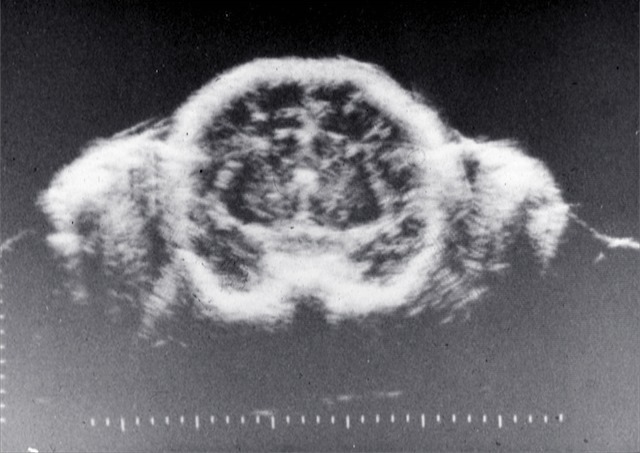 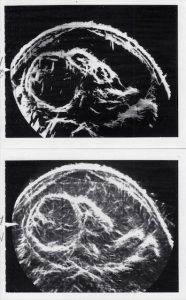 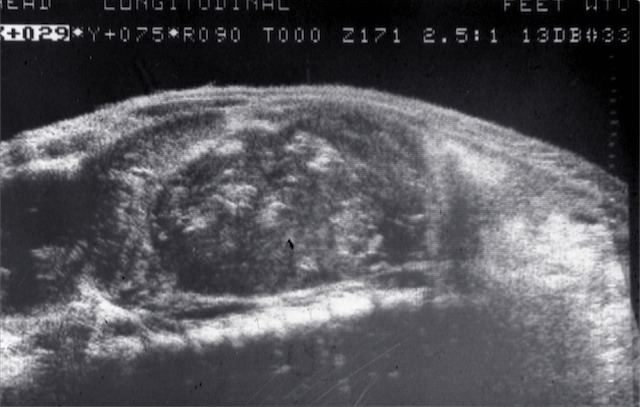 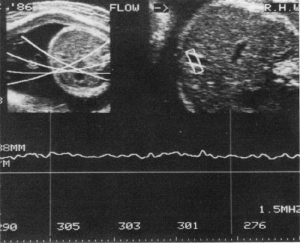 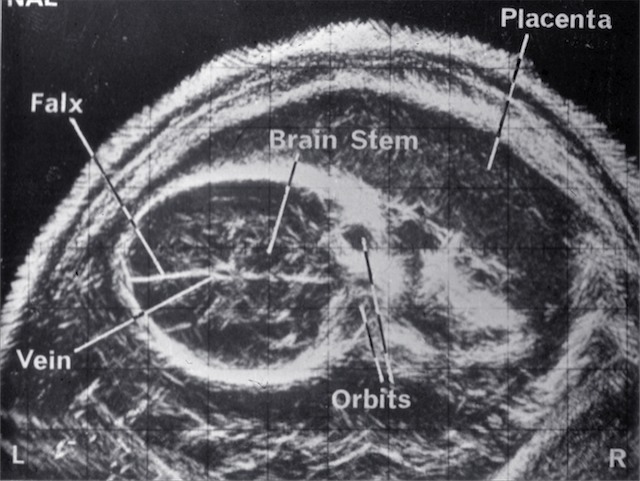 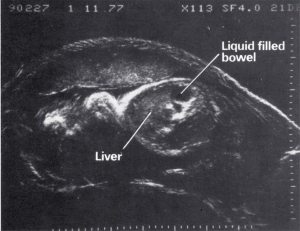 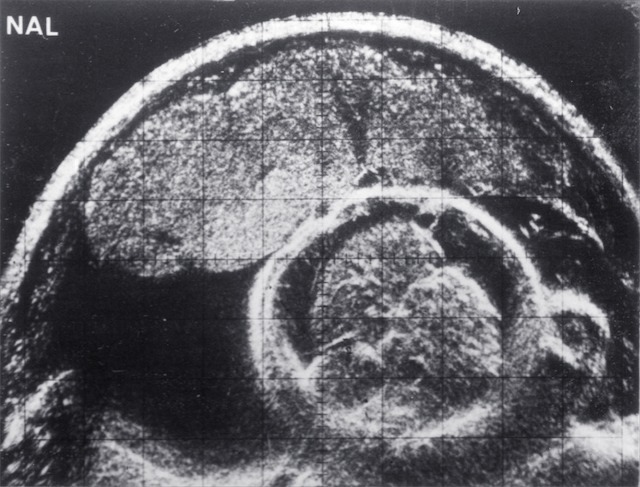 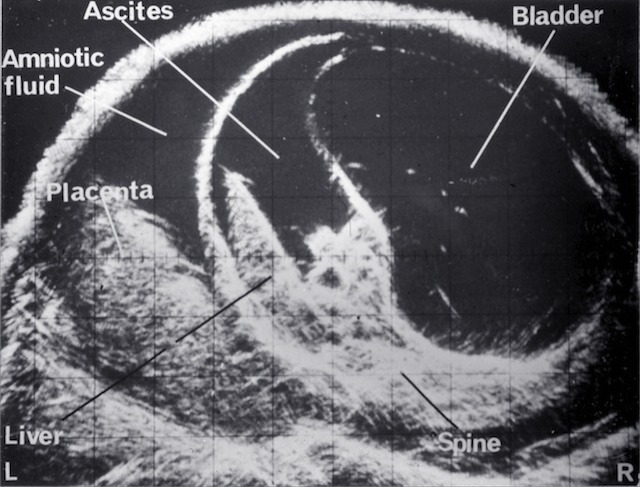 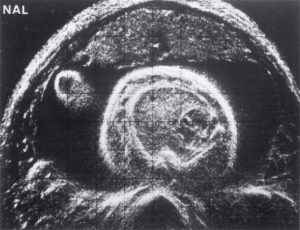 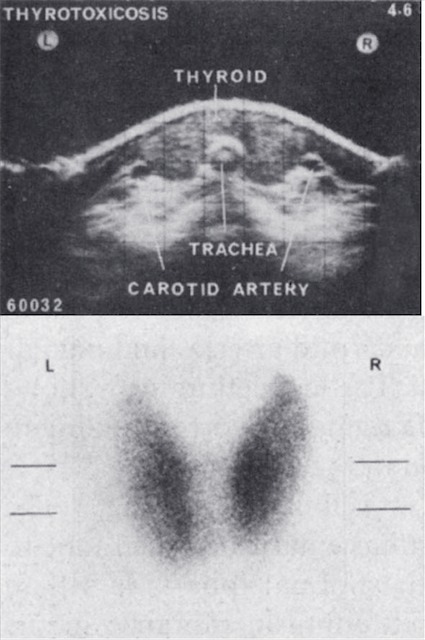 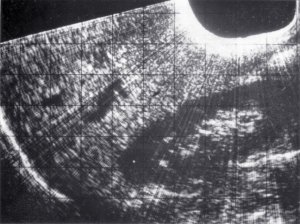 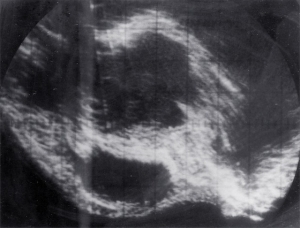 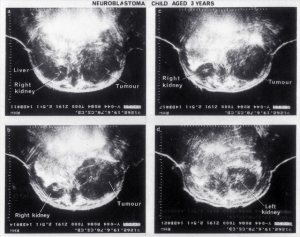 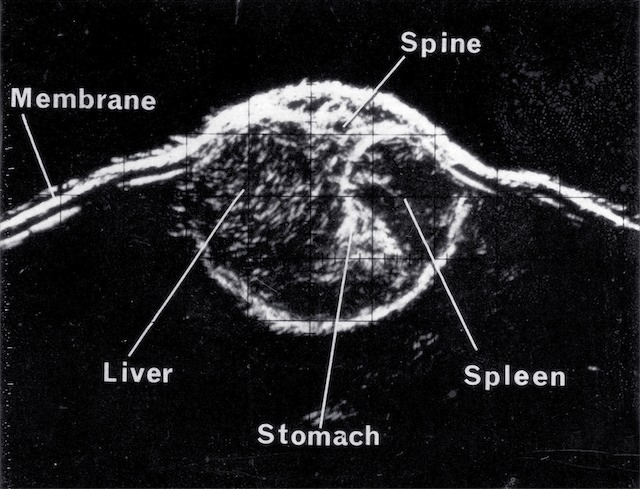 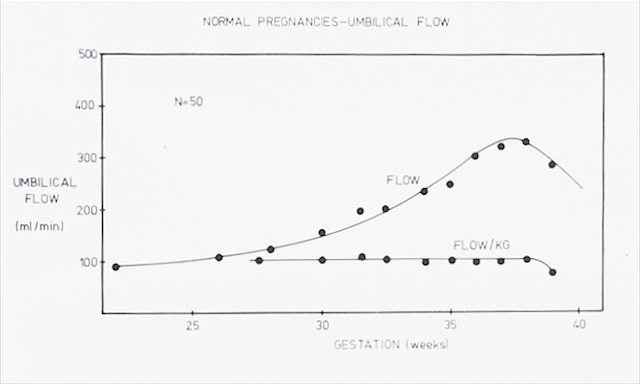 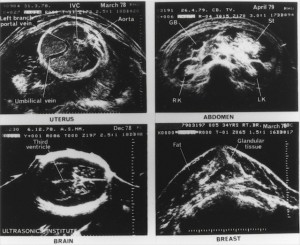 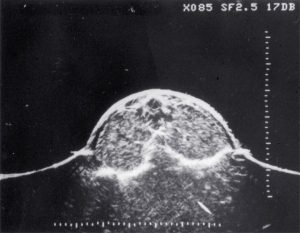 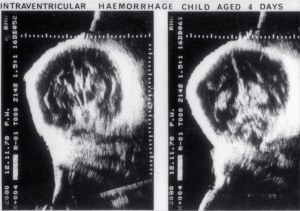 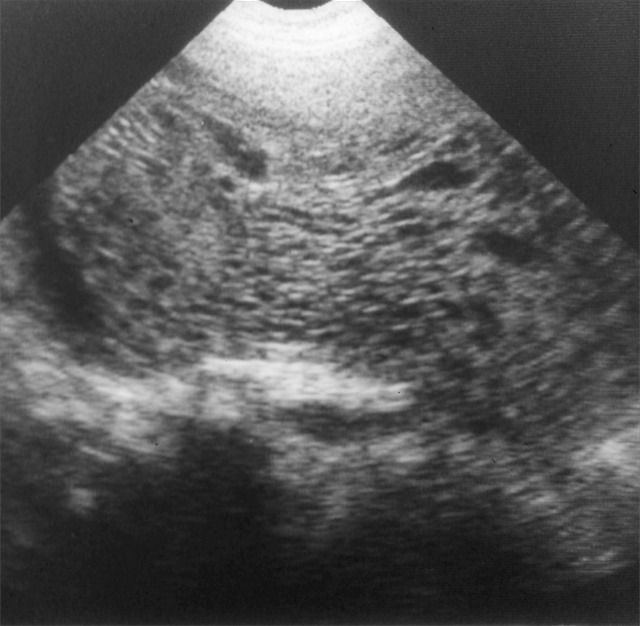 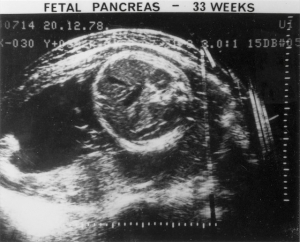 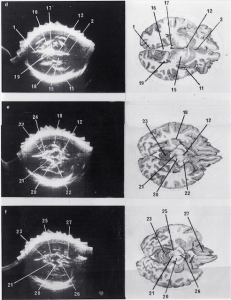 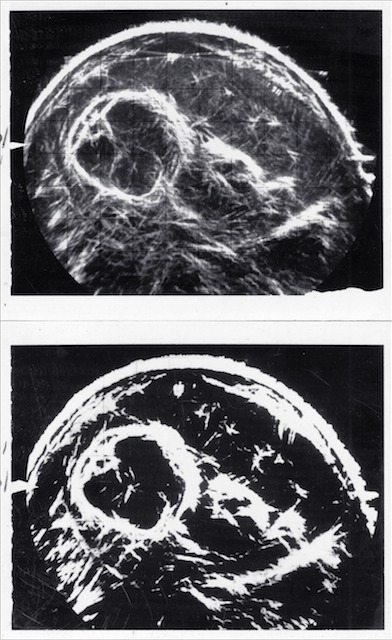 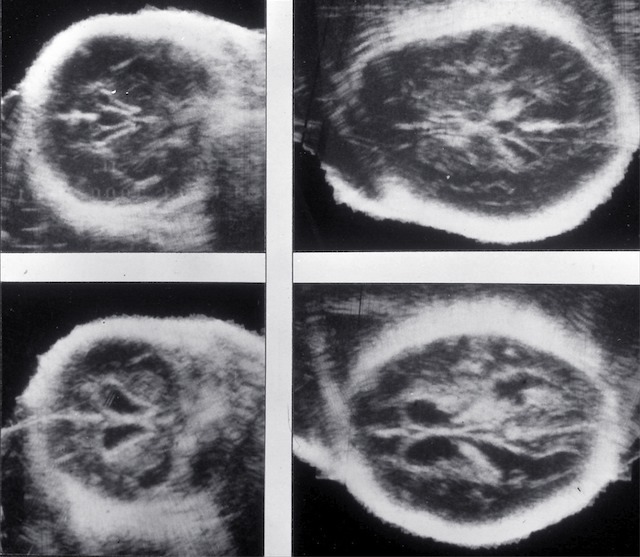 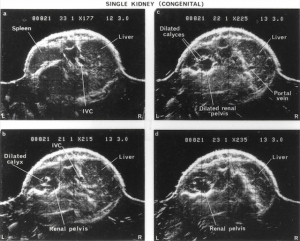 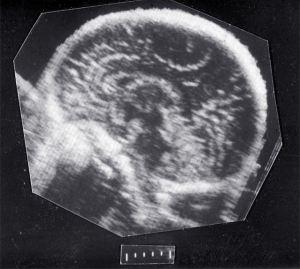 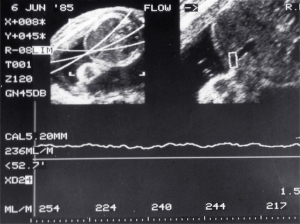 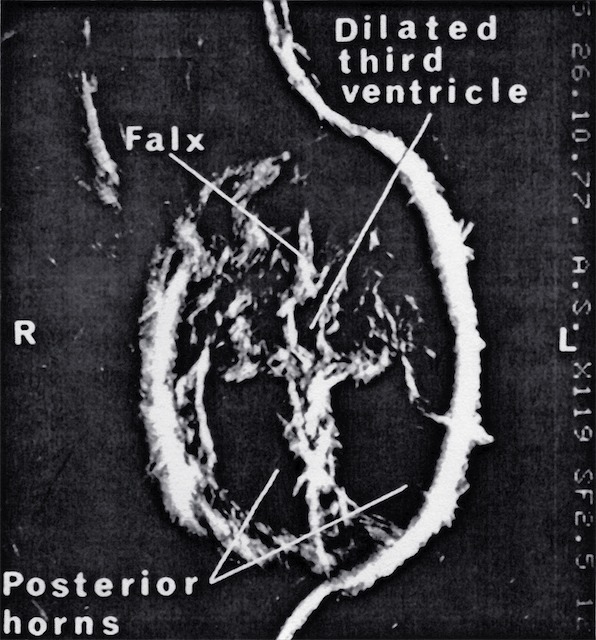 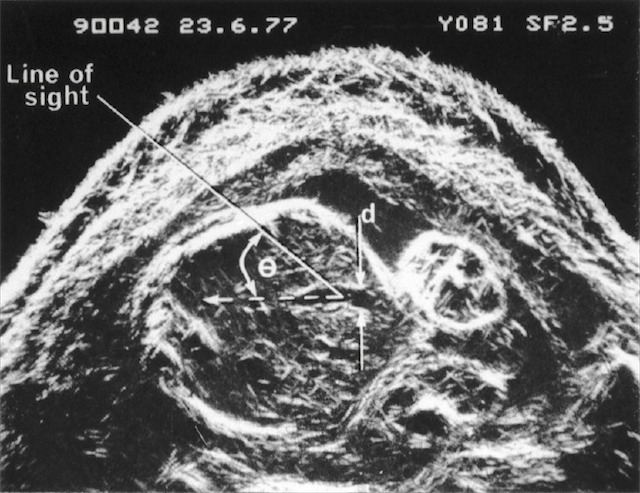 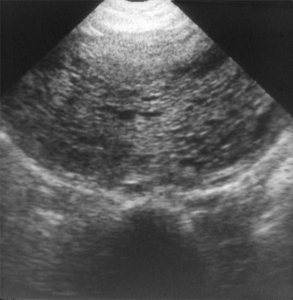 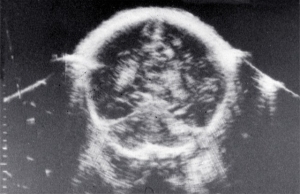 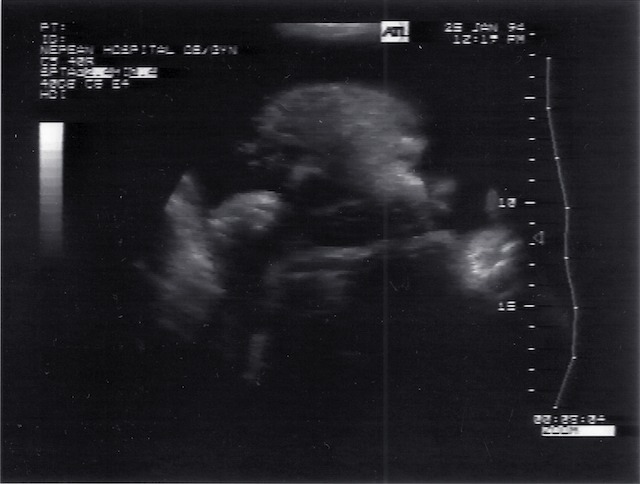 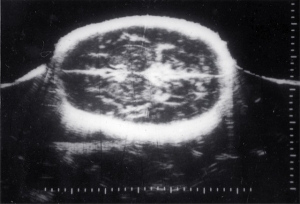 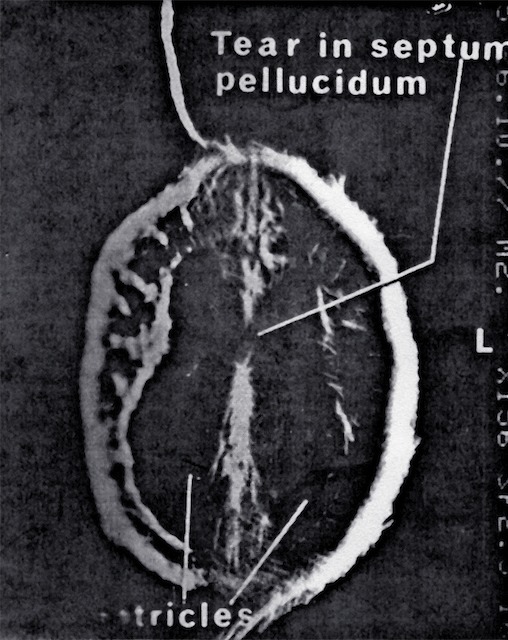 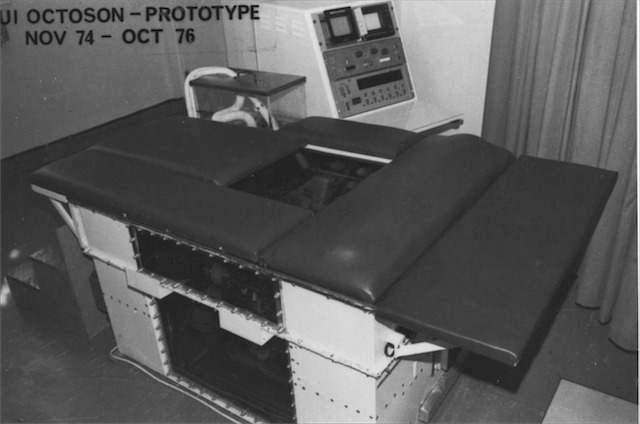 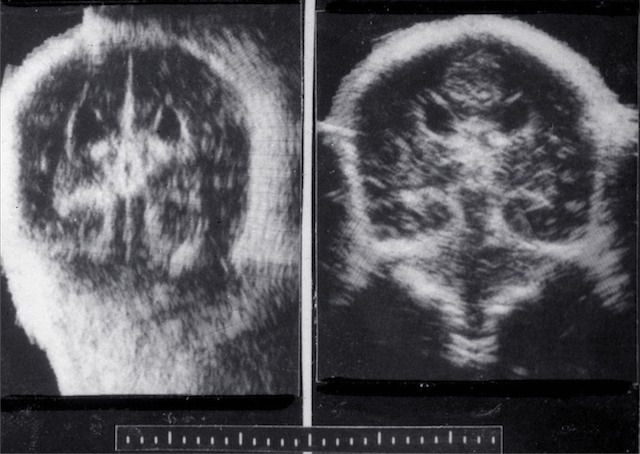 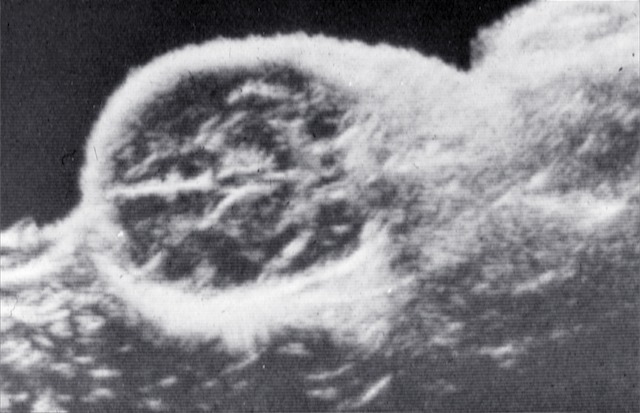 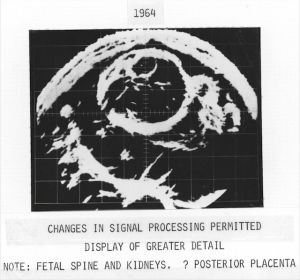 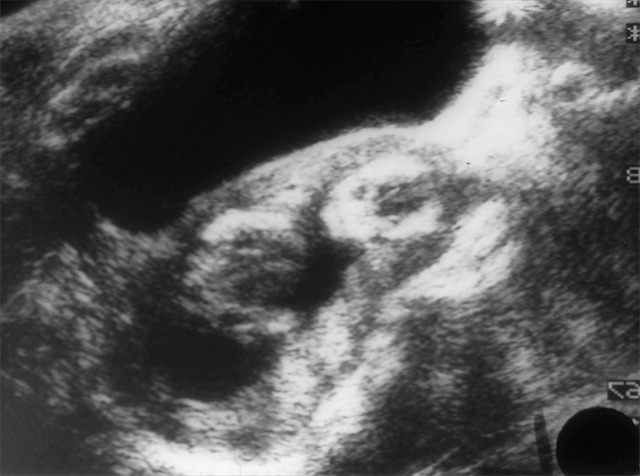 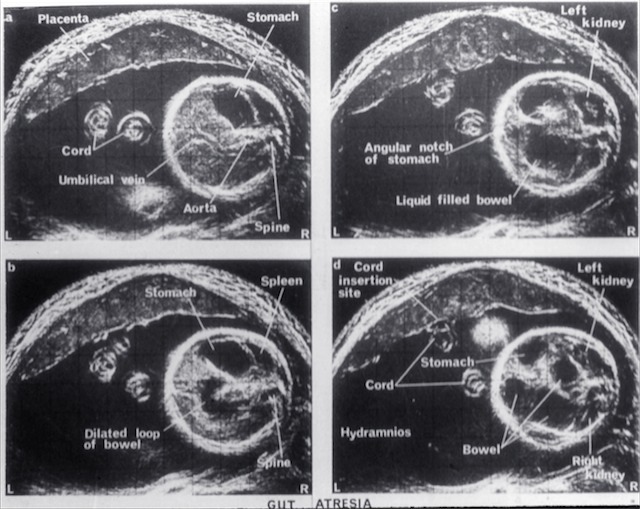 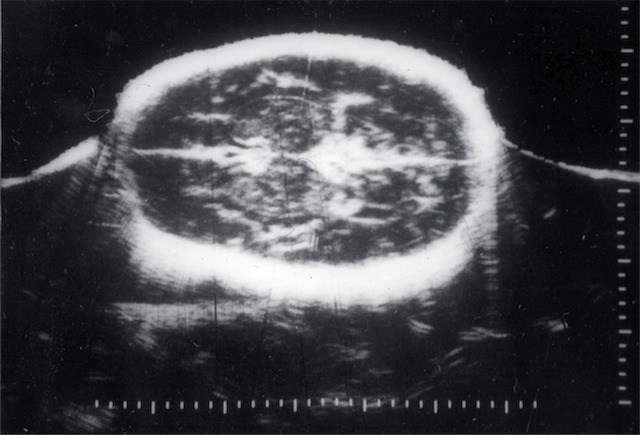 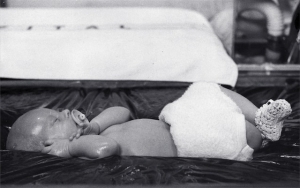 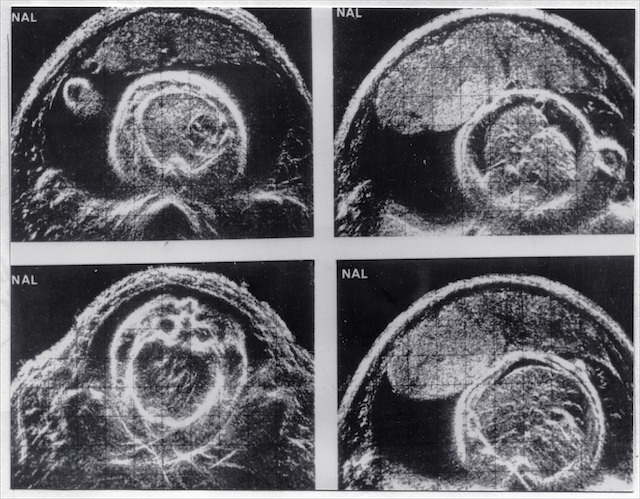 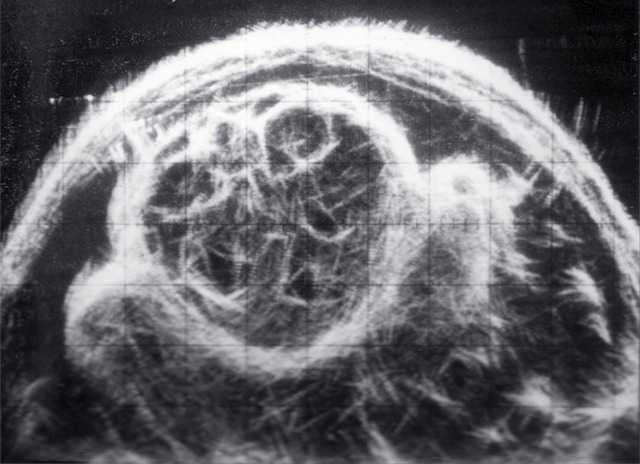 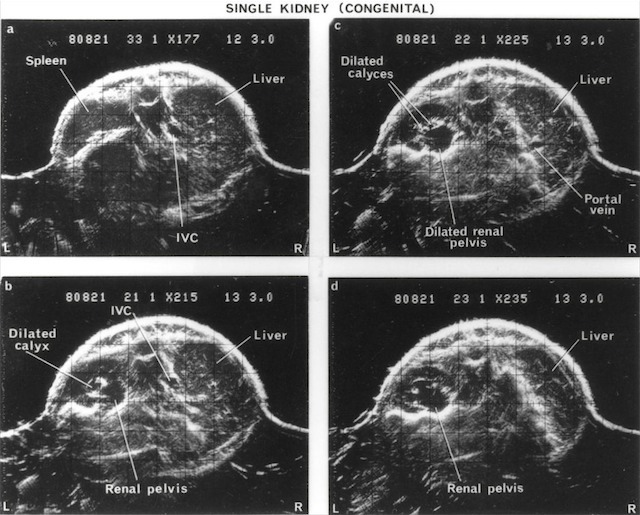 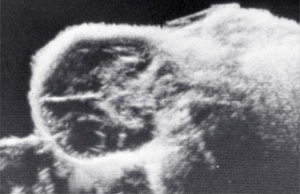 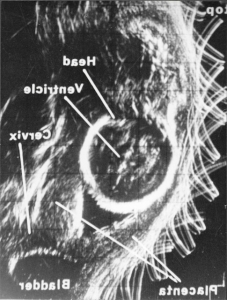 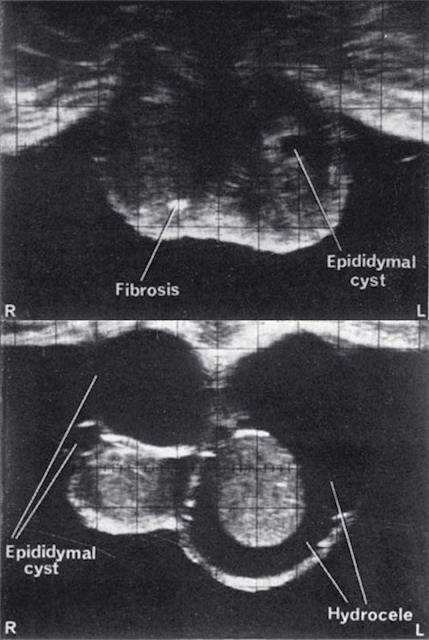 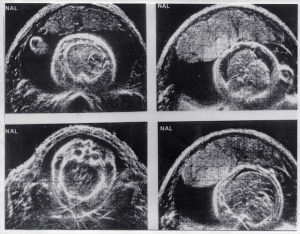 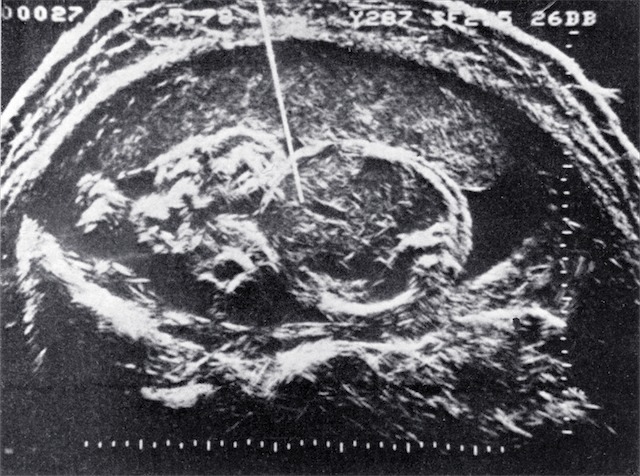 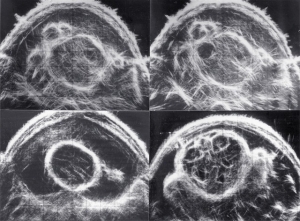 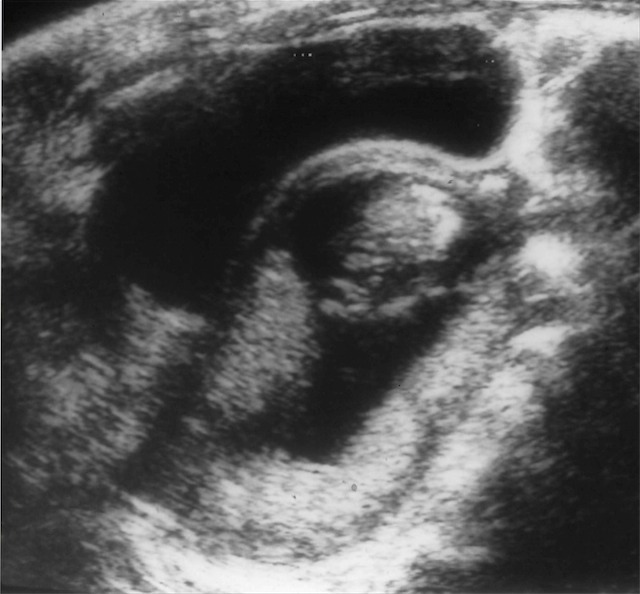 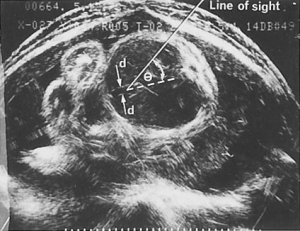 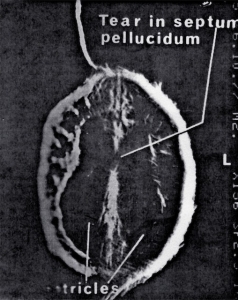 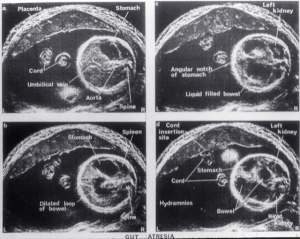 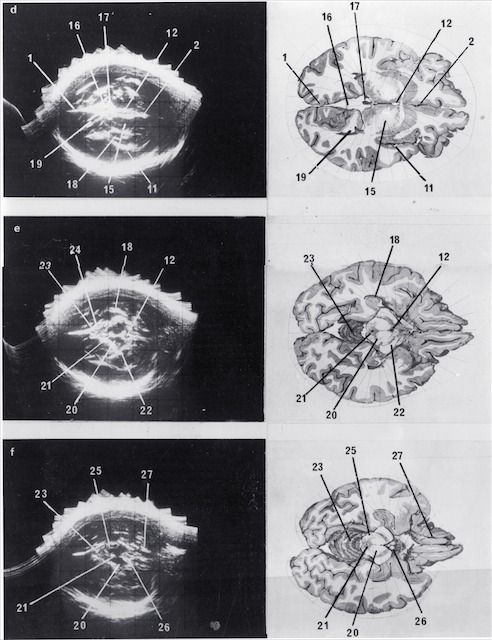 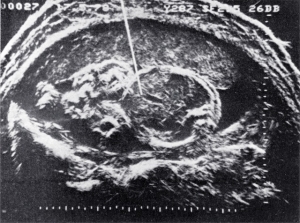 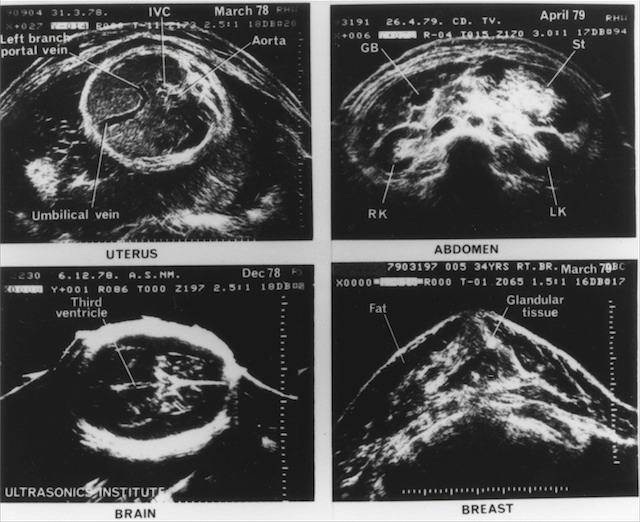 As early as 1969 it was becoming clear that ultrasound would become an important diagnostic modality. 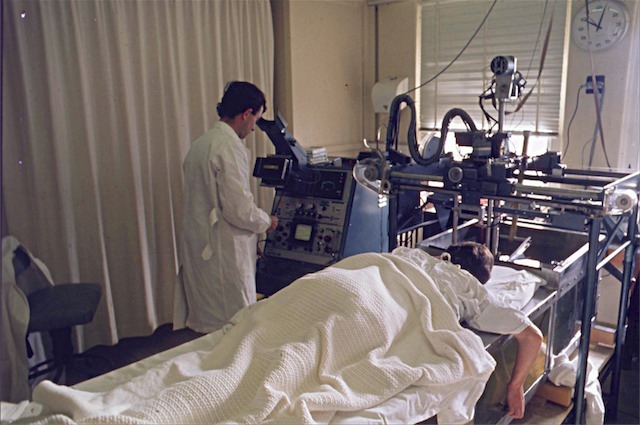 A professional society was needed to address issues such as education and training, professional standards, research and scientific interchange, bioeffects and safety. 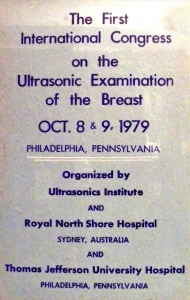 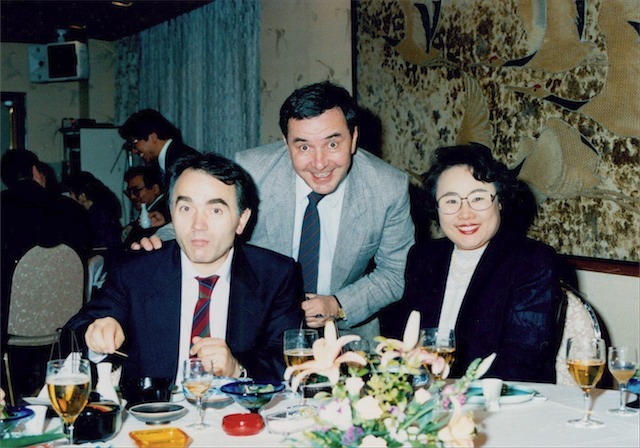 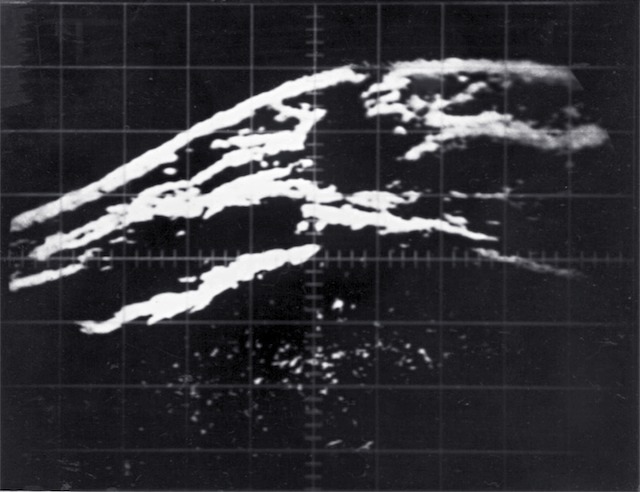 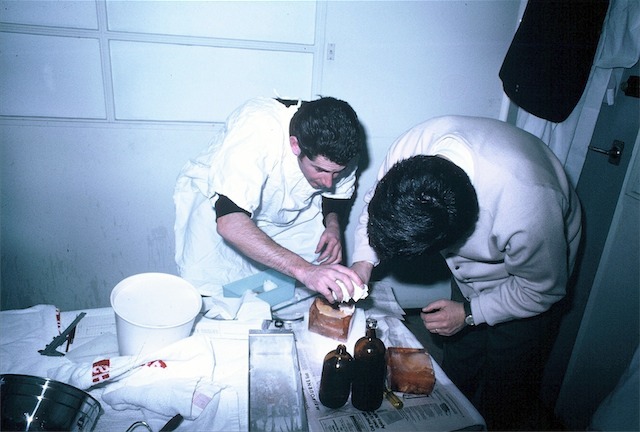 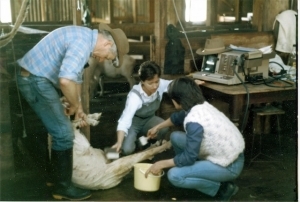 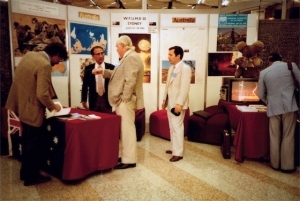 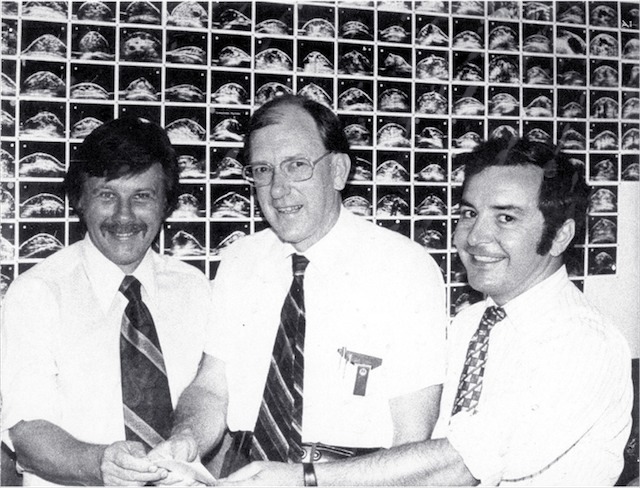 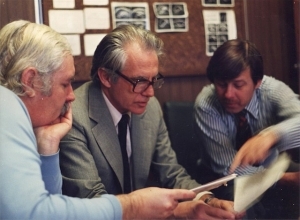 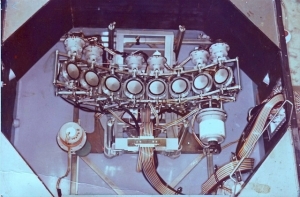 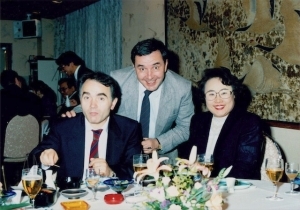 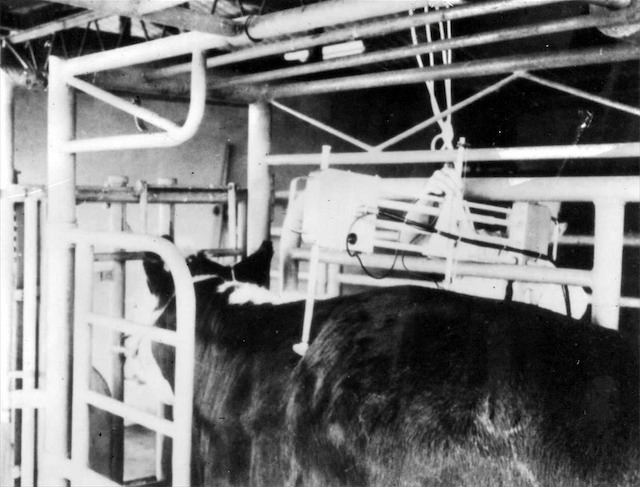 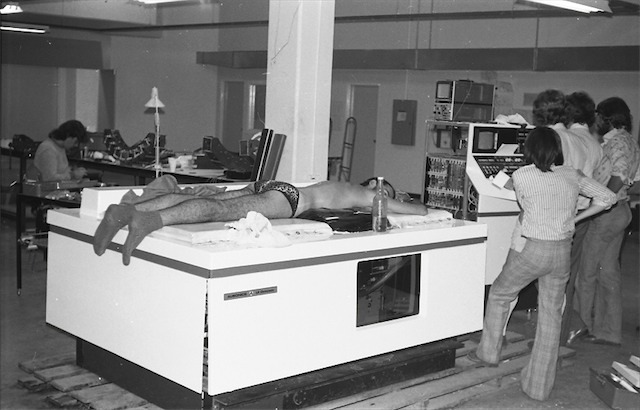 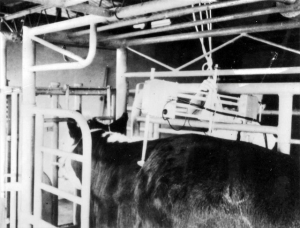 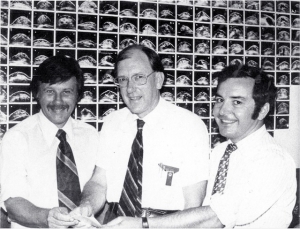 ASUM was formed in 1970, and its first Annual Scientific Meeting was held the following year. 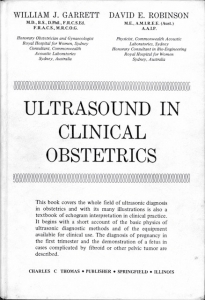 This makes it one of the earliest national ultrasound societies to be formed, and it was the first to establish qualifications (the DDU and DMU) to facilitate the regulation of standards of practice. 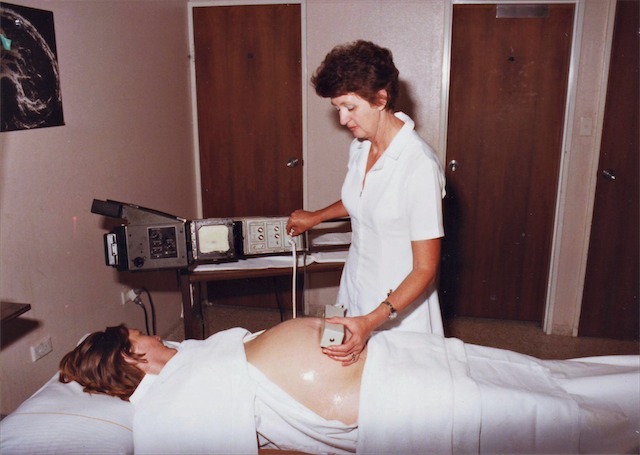 A distinctive feature of ASUM is that it brings together on an equal footing medical practitioners, sonographers and scientists from a multitude of specialist areas. 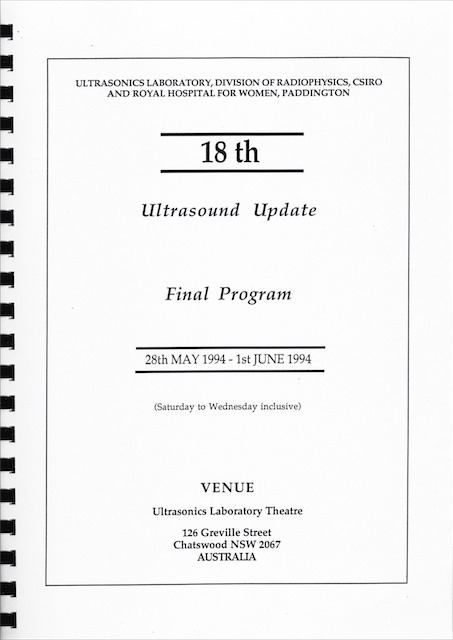 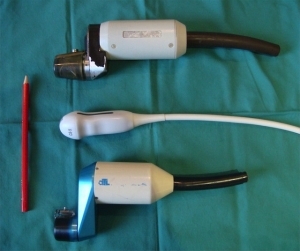 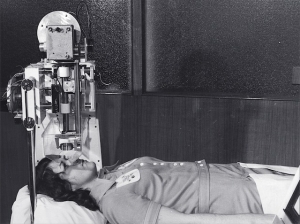 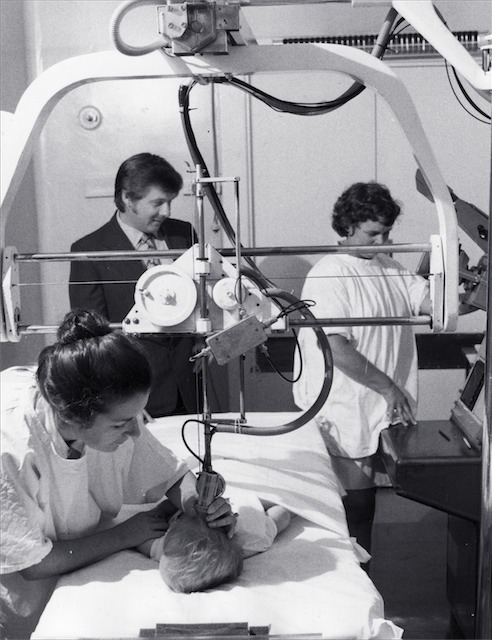 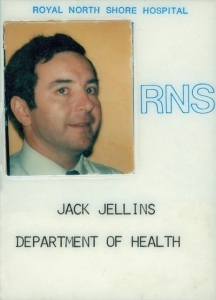 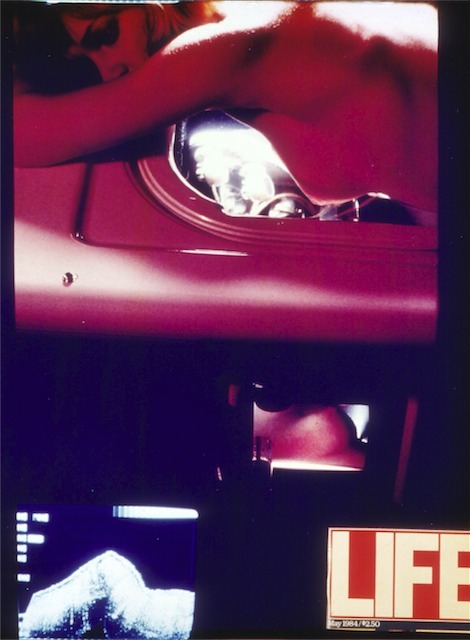 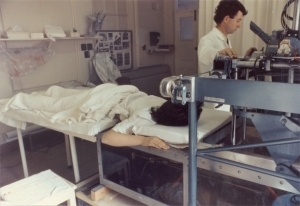 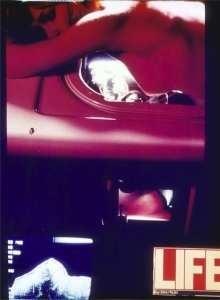 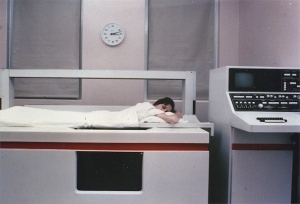 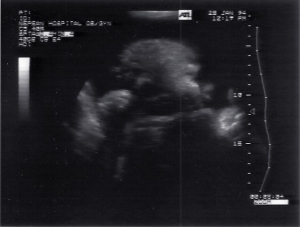 Ten years after the establishment of ultrasound research in Australia, and with commercial equipment becoming available, it was clear that there was a need for a specialized society to perform the learned society role for this new modality. 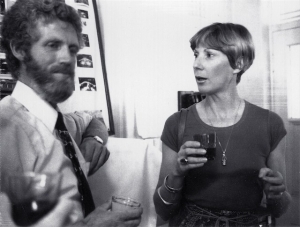 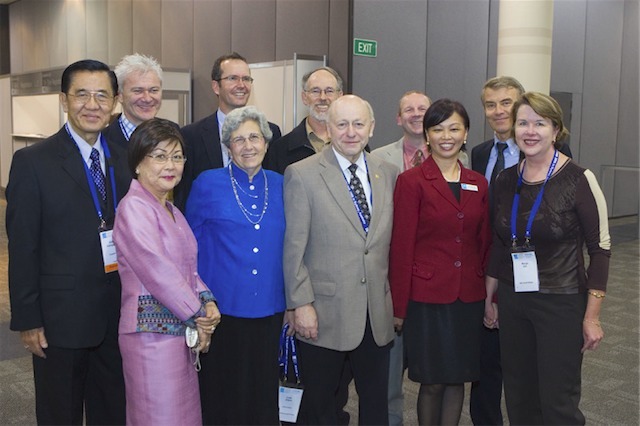 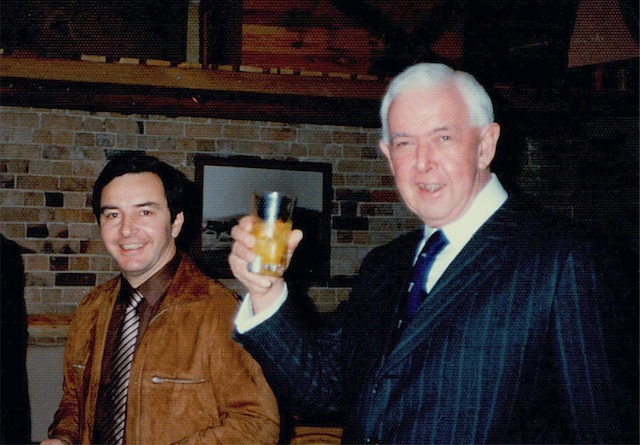 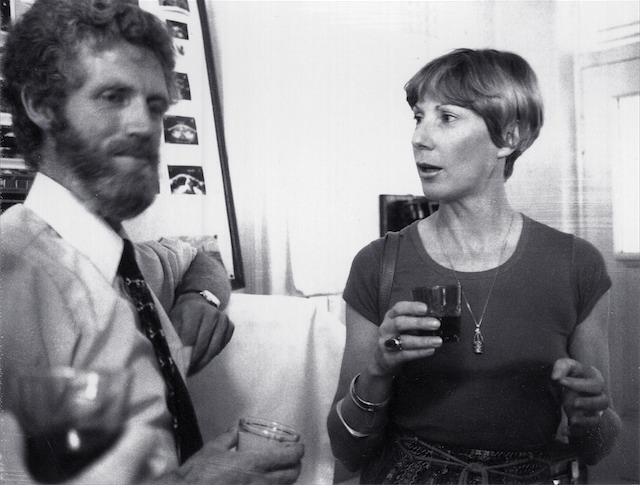 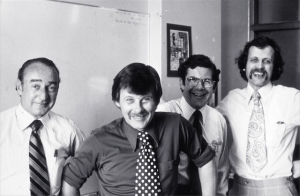 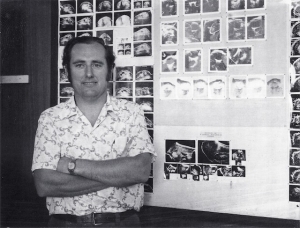 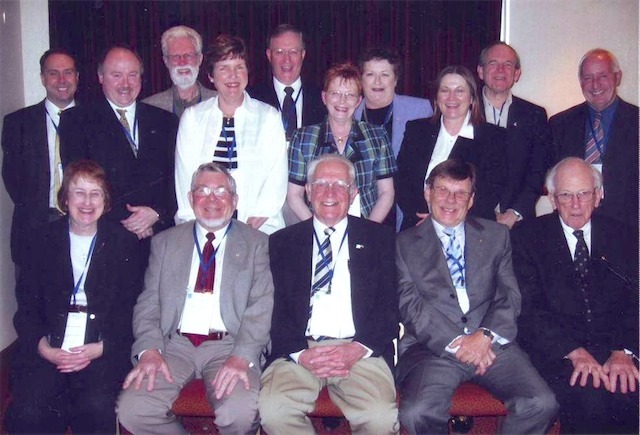 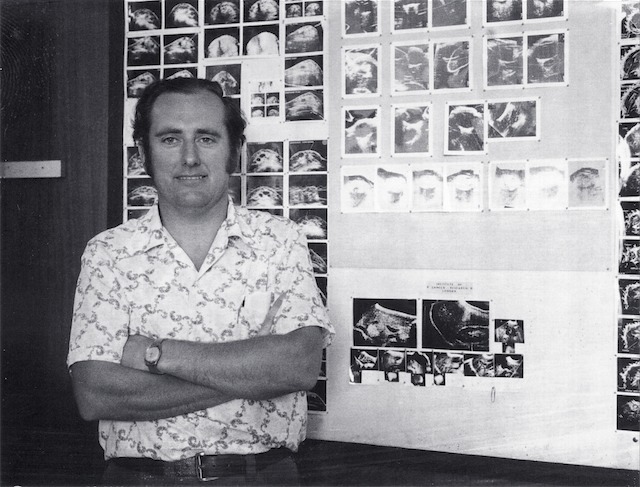 At a meeting attended largely by UI staff and their medical collaborators the Australian Society for Ultrasound in Medicine and Biology was formed. A Constitution was agreed to, and a newsletter and series of Annual Scientific Meetings* were commenced. 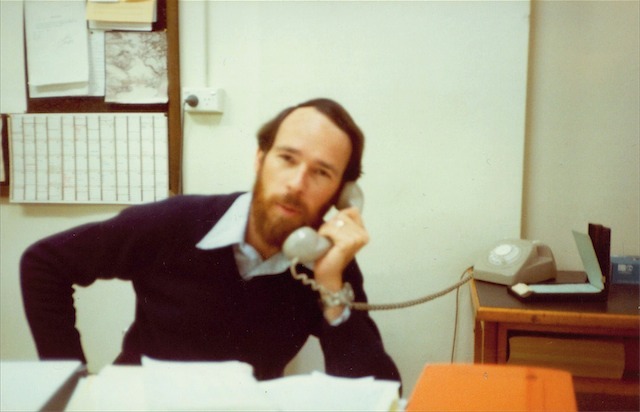 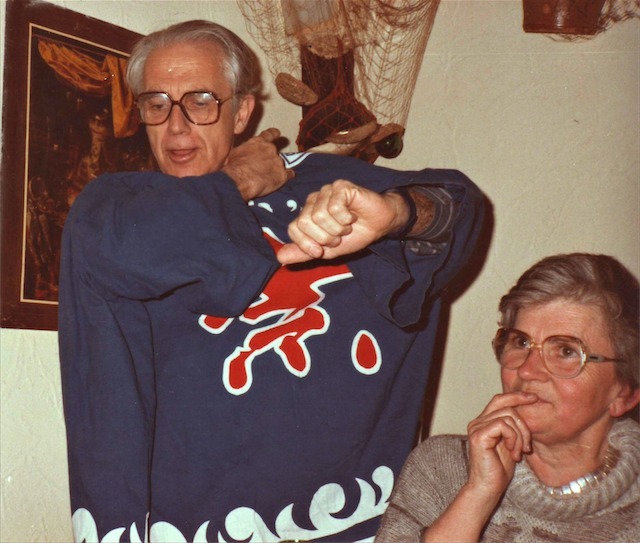 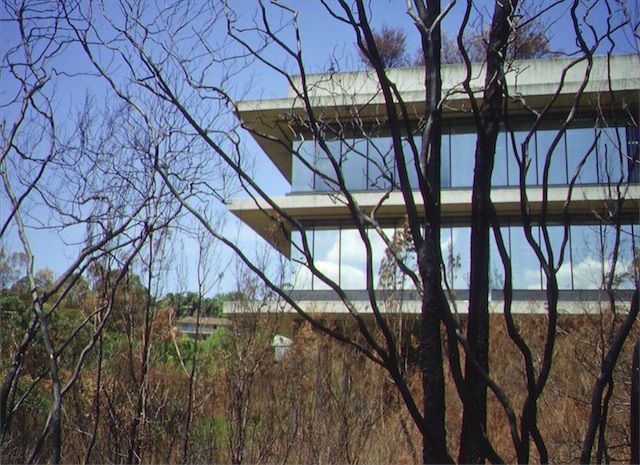 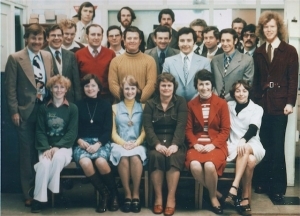 By the end of 1970 there were 40 members, and the first Annual Scientific meeting in 1971 attracted 60 participants. 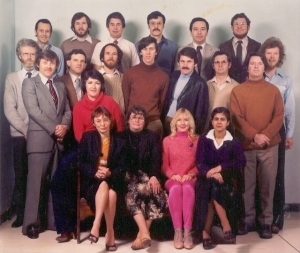 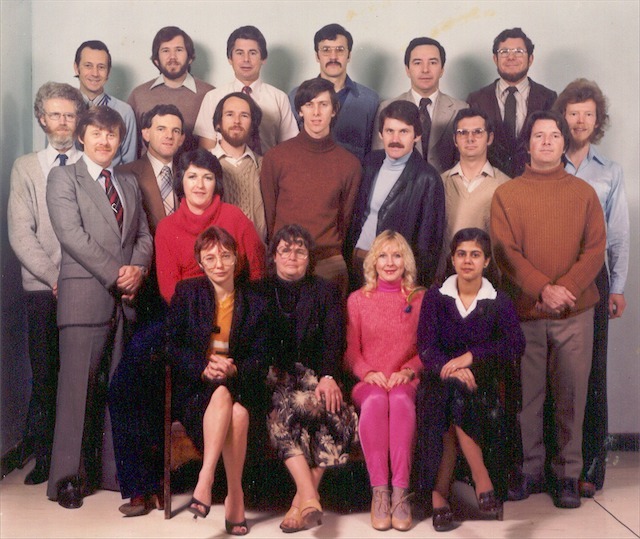 DMU Board of Examiners (1978). 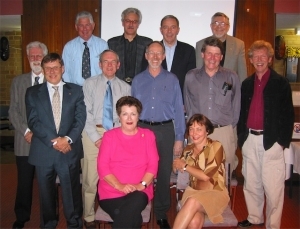 Back row: Dr Jim Ryan, Ms Clare State, Ms Pam Craig, Ms Kaye Griffiths, Ms Susan Joels, Dr Peter Verco. 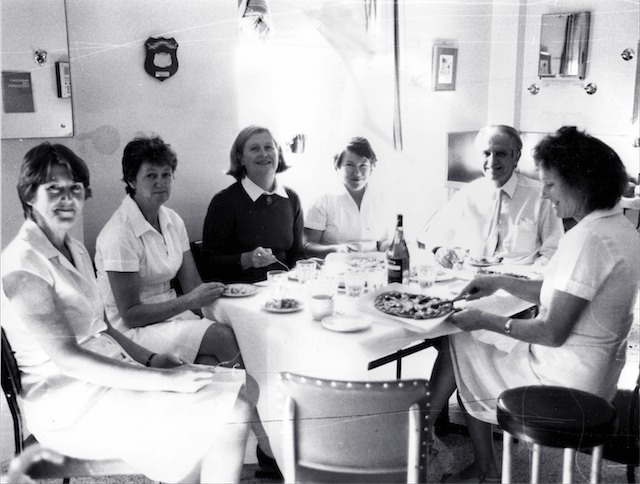 Front: Mrs Margaret Tabrett, Dr Jack Jellins, Mrs Sue Davies, Ms Sue Duffield. 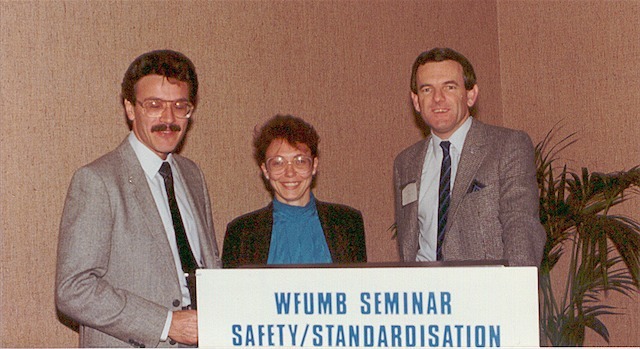 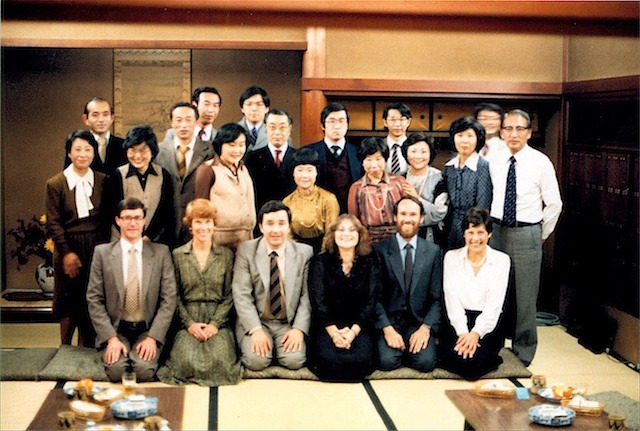 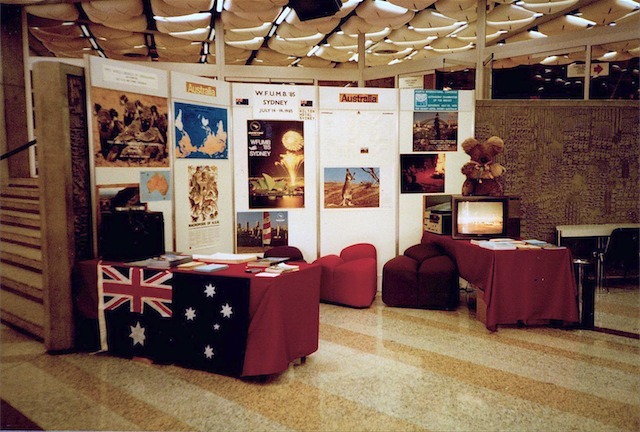 ASUM and WFUMB Councils at the 1985 WFUMB Congress in Sydney. 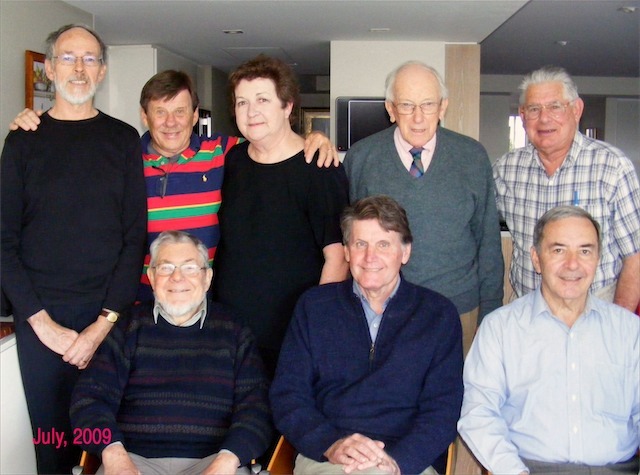 From left: Dr “Tommy” Thompson, Prof Tom Reeve, Mrs Mary-Jo Reeve, Mrs Nancy Garrett, Prof Barry Goldberg, Lady Stephen, Dr David Robinson, Sir Ninian Stephen (Governor General of Australia), Dr Jack Jellins, Dr Bill Garrett, Dr Christopher (“Kit”) Hill, Dr Marjorie Kossoff, Dr George Kossoff, Ms Maureen Varga. 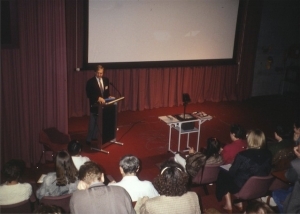 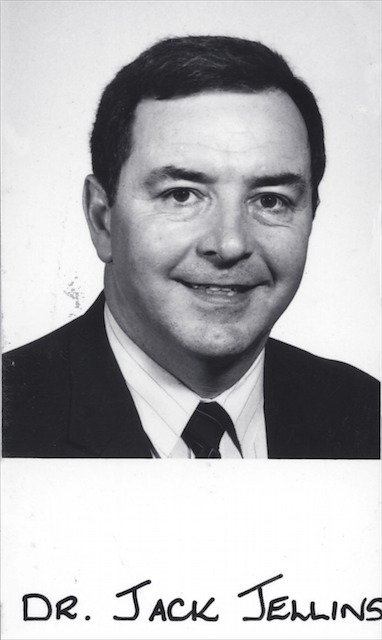 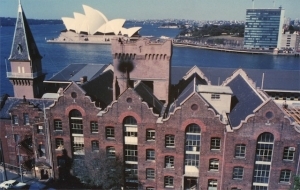 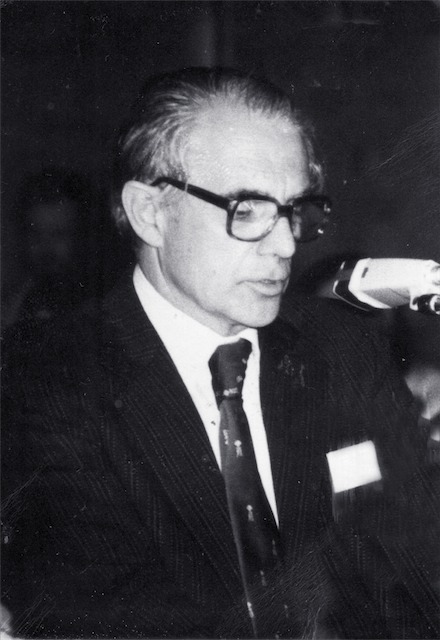 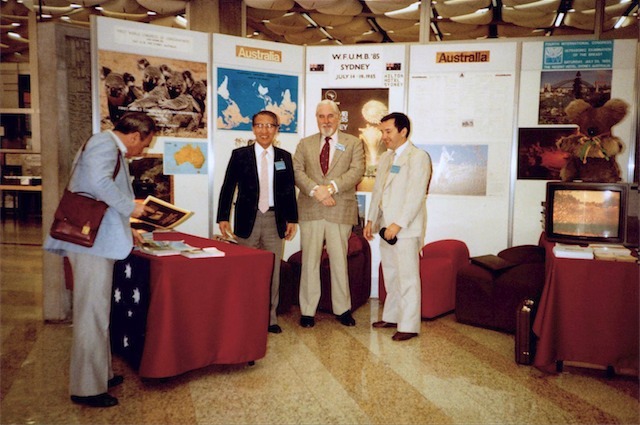 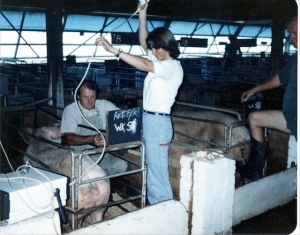 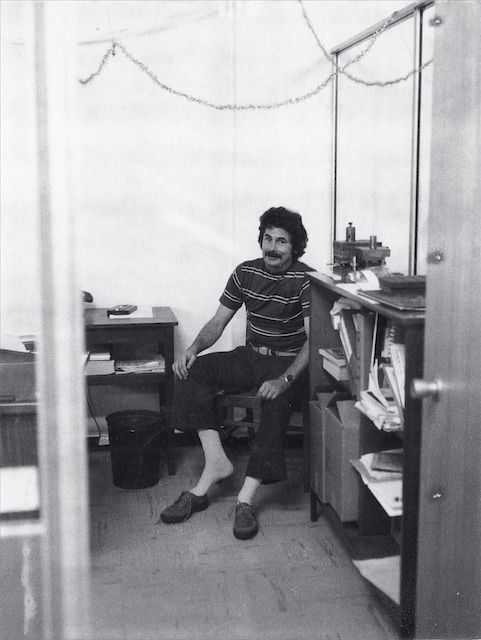 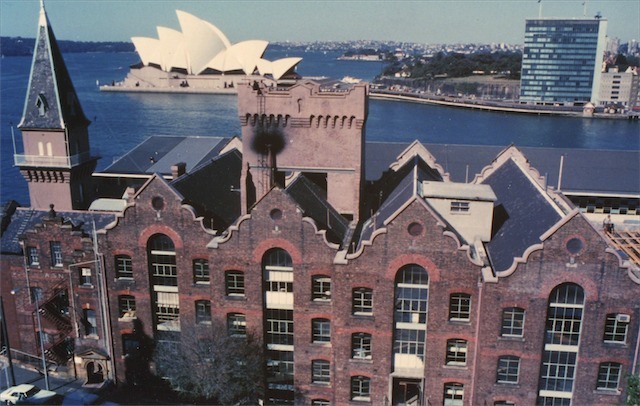 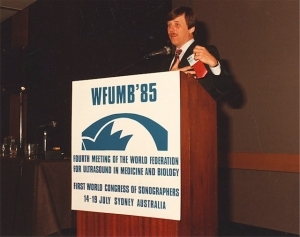 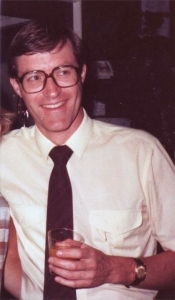 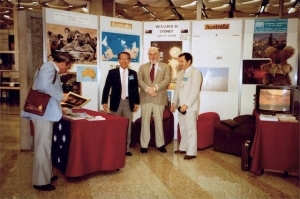 Dr. George Kossoff speaking at WFUMB’85 Sydney. Drs. 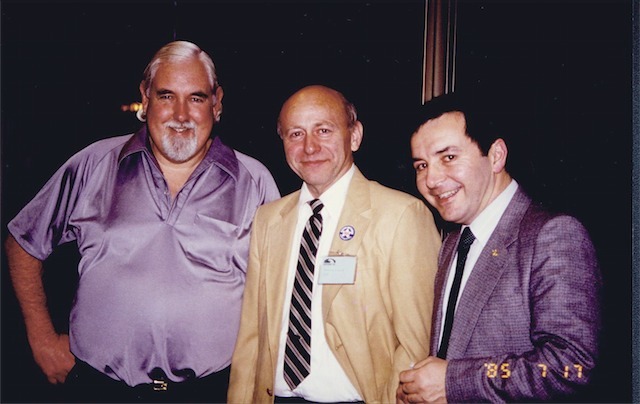 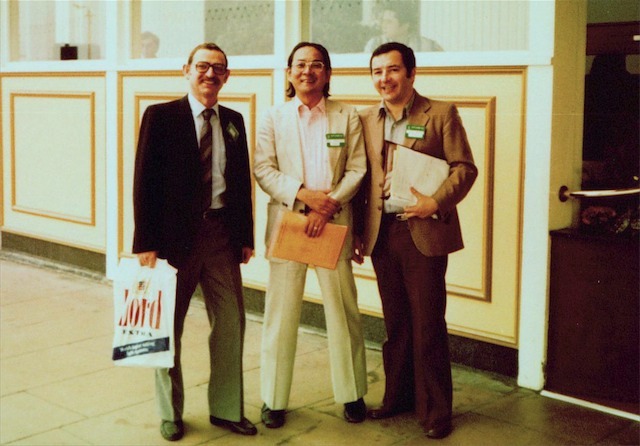 Richard Picker, Marvin Ziskin, Jack Jellins at WFUMB’85. 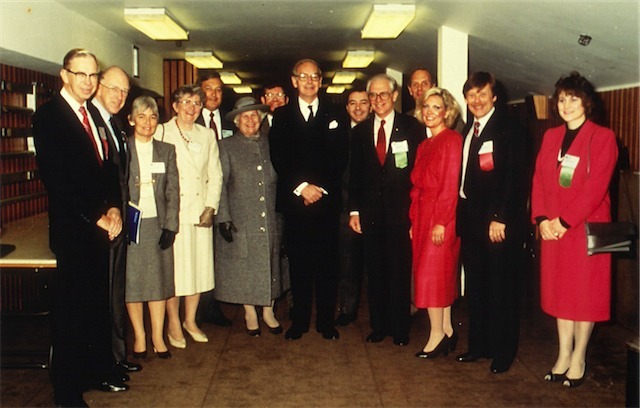 Presidents of the Society (S) and the Ultrasonographers Group (UG) (1990) Back row: Dr. David Rogers (S), Dr. Glen McNally (S), Mr. Michael Dadd (S), Dr. Sue Woodward (S), Dr. Peter Warren (S), Mrs. Sue Davies (UG), Ms Kaye Griffiths AM (UG), Ms Maureen Varga (UG), Dr. David Carpenter (S), Mr. Roy Manning (UG). Front row: Dr. Beverley Barraclough (S), Dr. David Robinson AM (S), Dr. William Garrett AM (S), Dr. George Kossoff AO (S), Prof. Thomas Reeve AC, CBE (S).